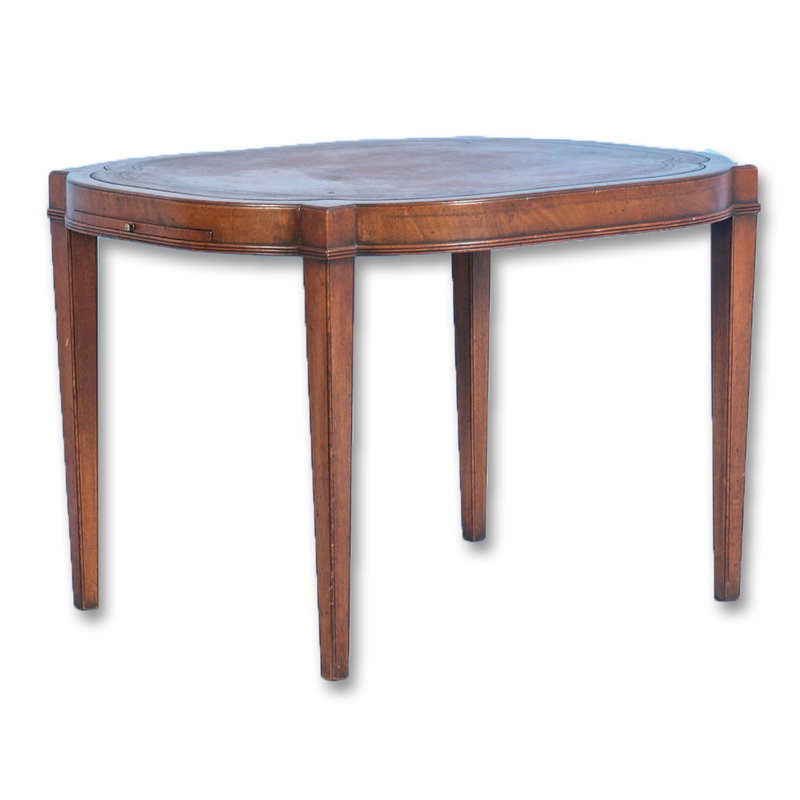 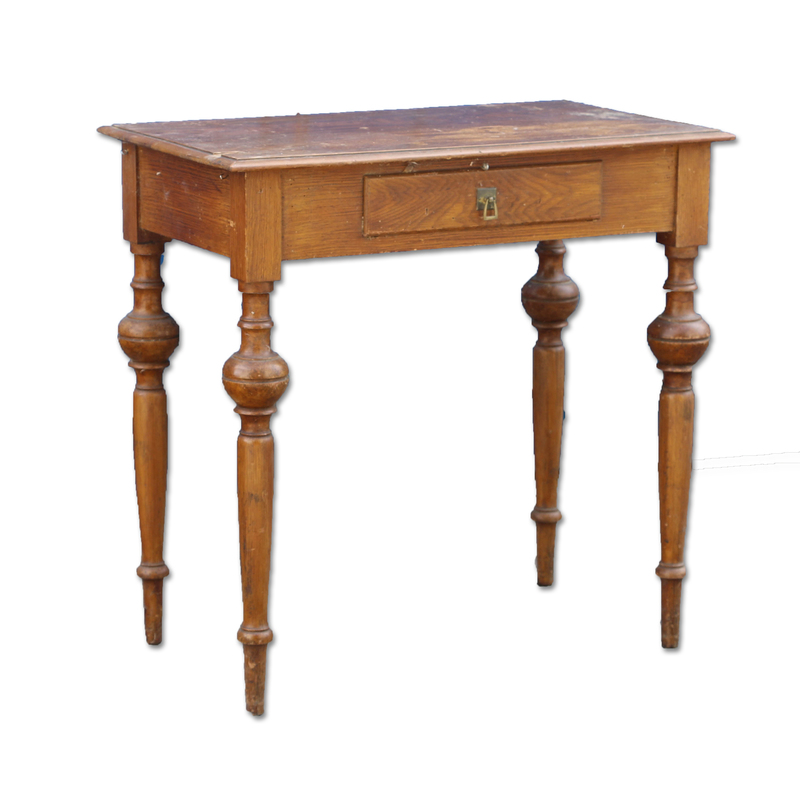 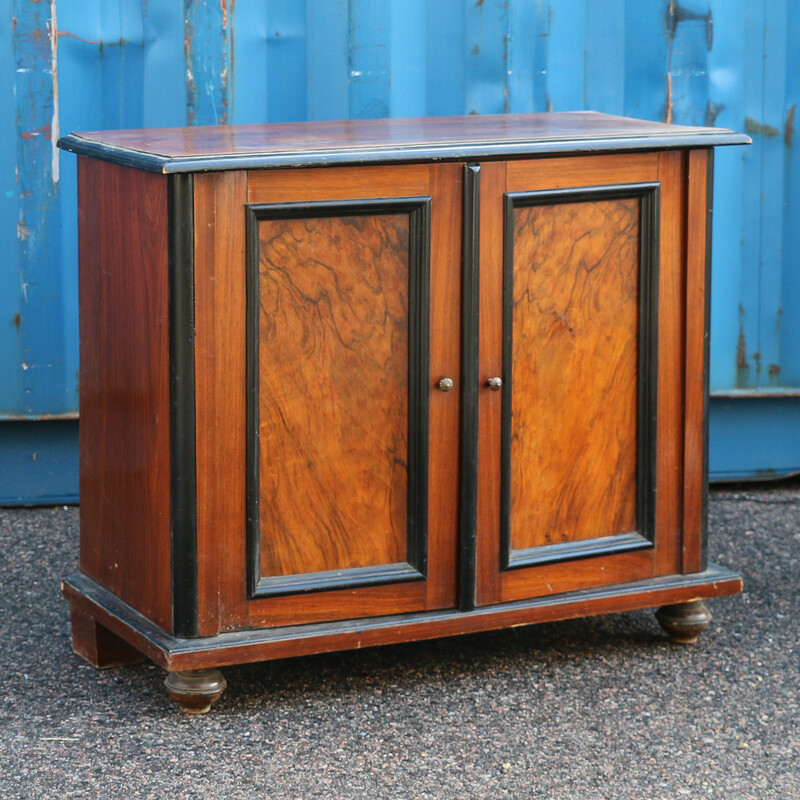 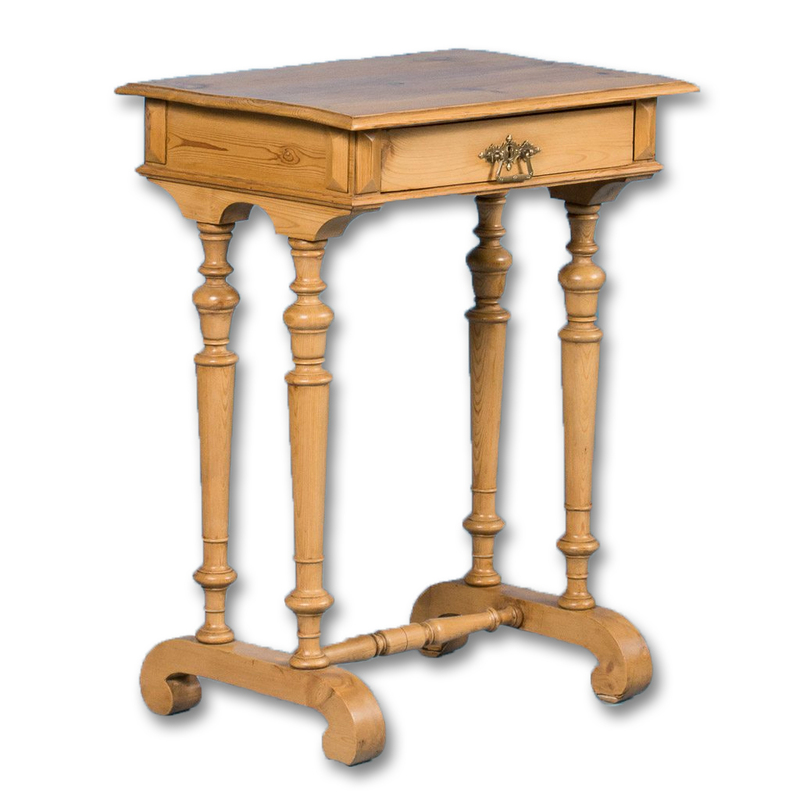 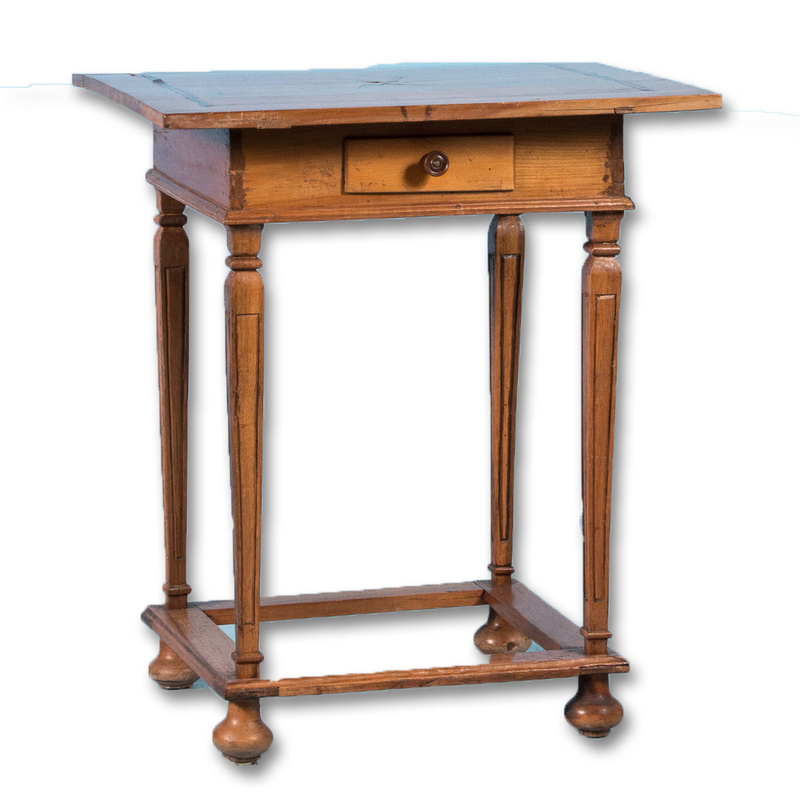 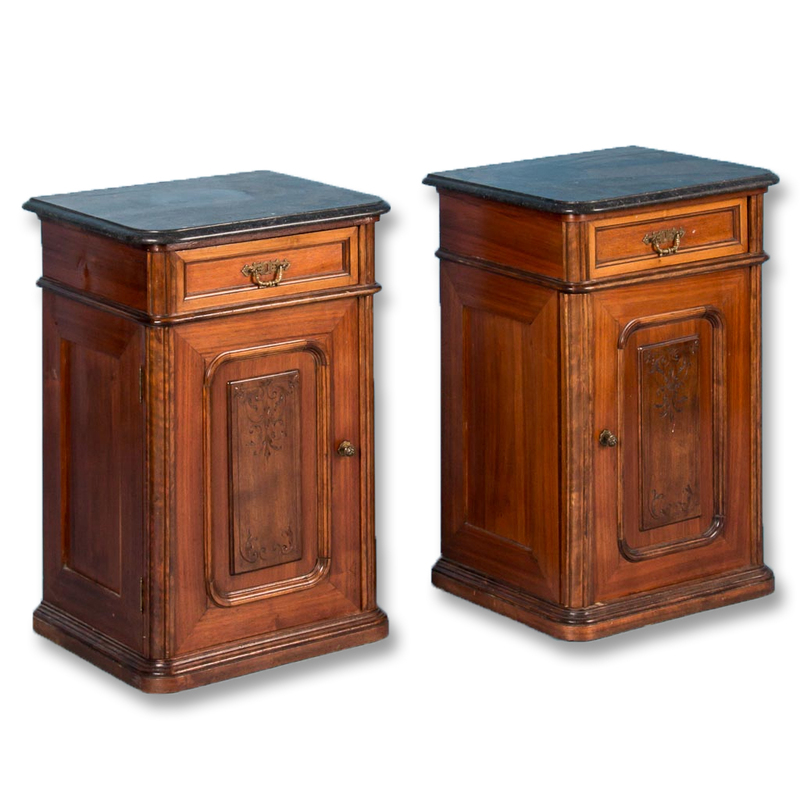 Pair of antique walnut nightstands from England circa 1910, with a single door and drawer and a black marble top. 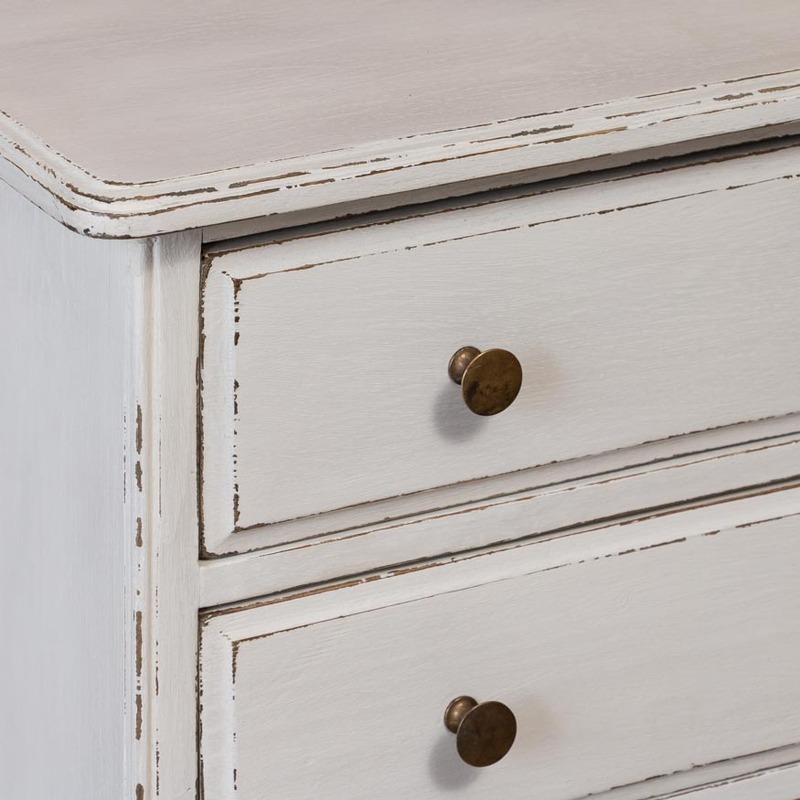 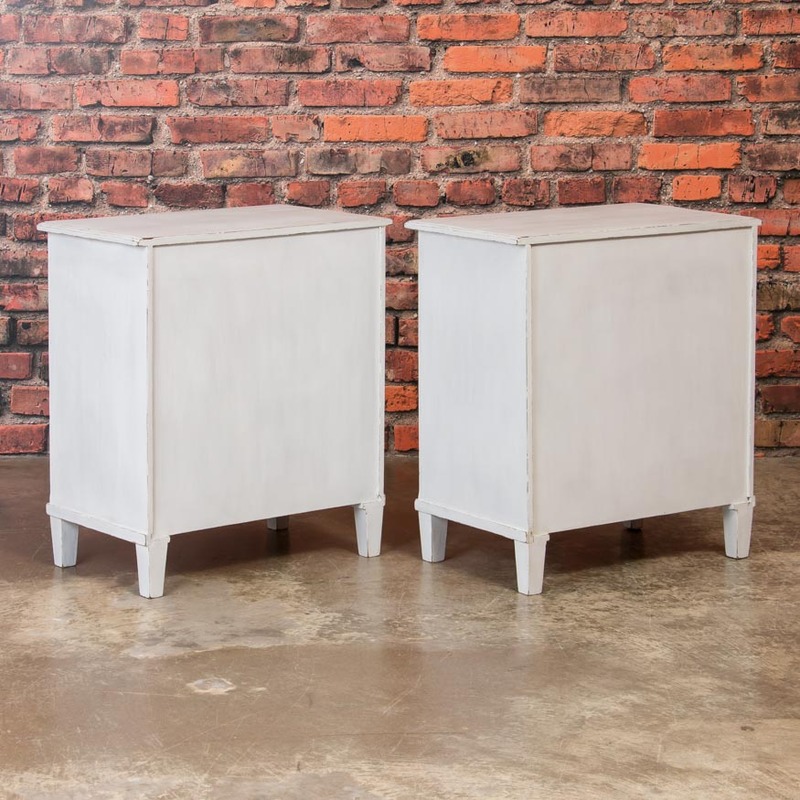 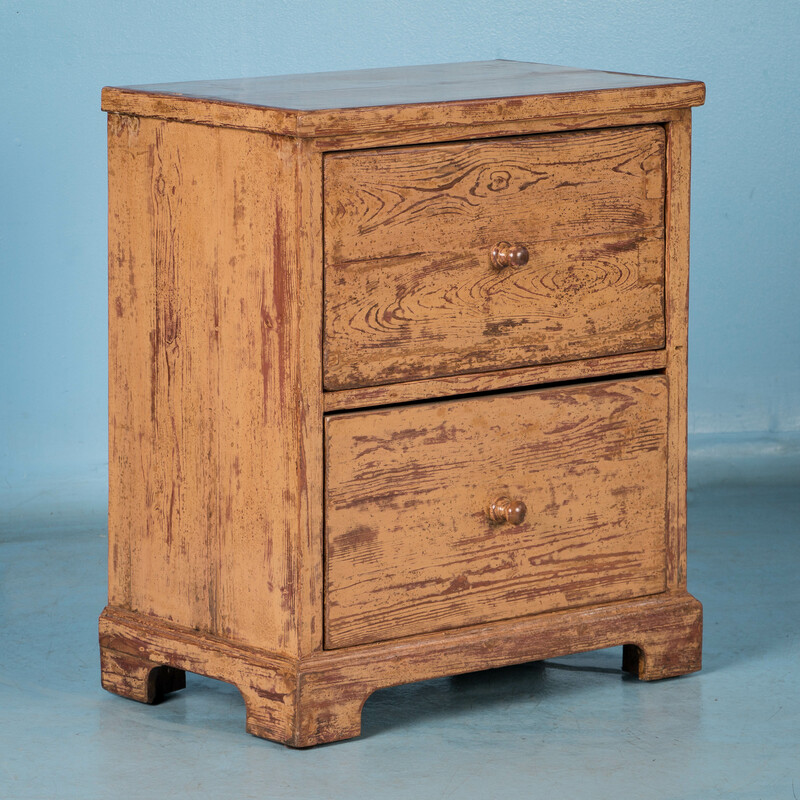 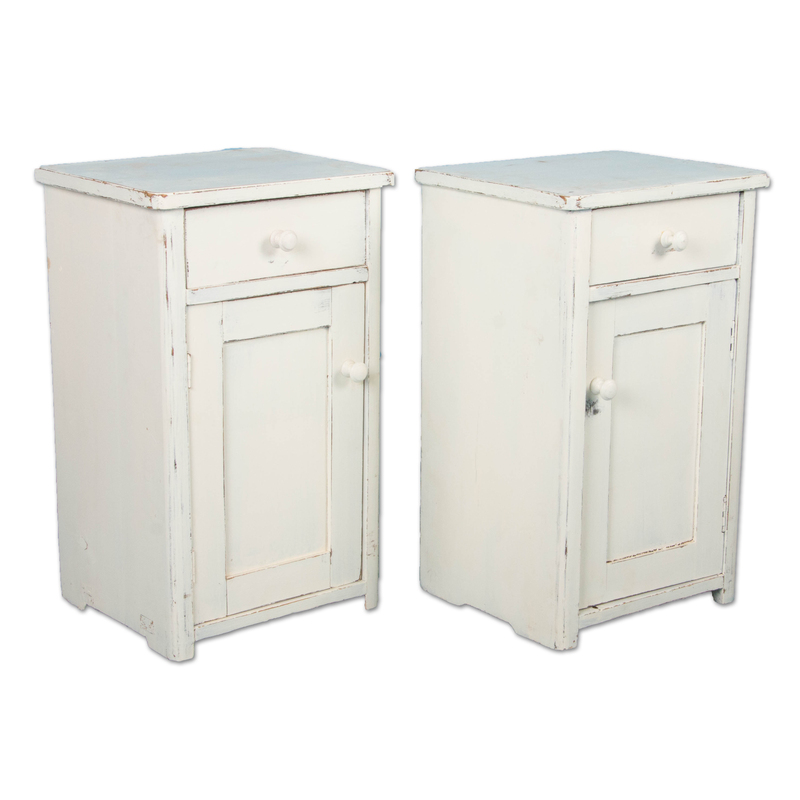 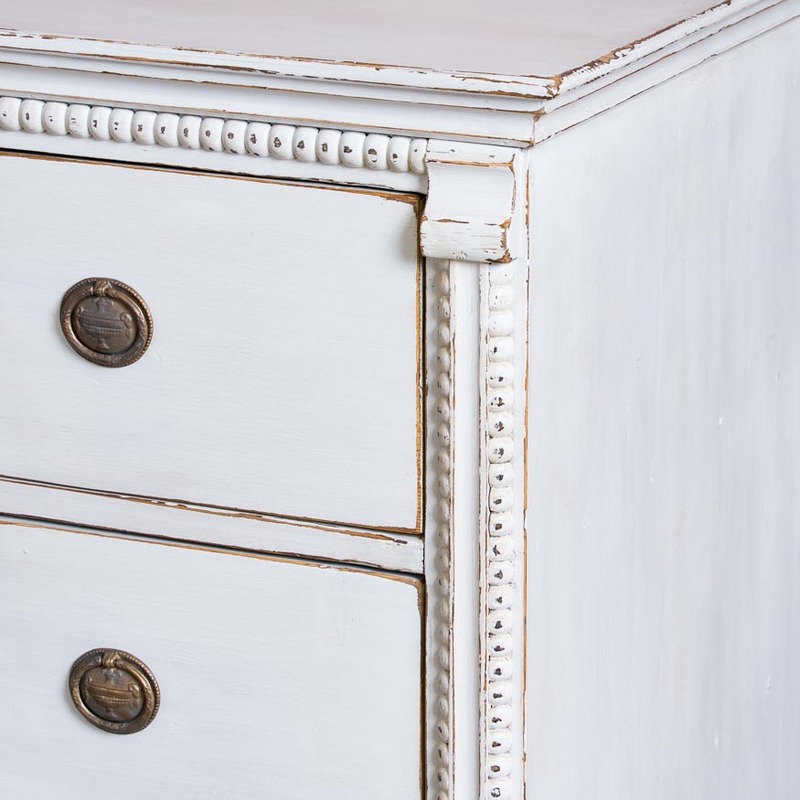 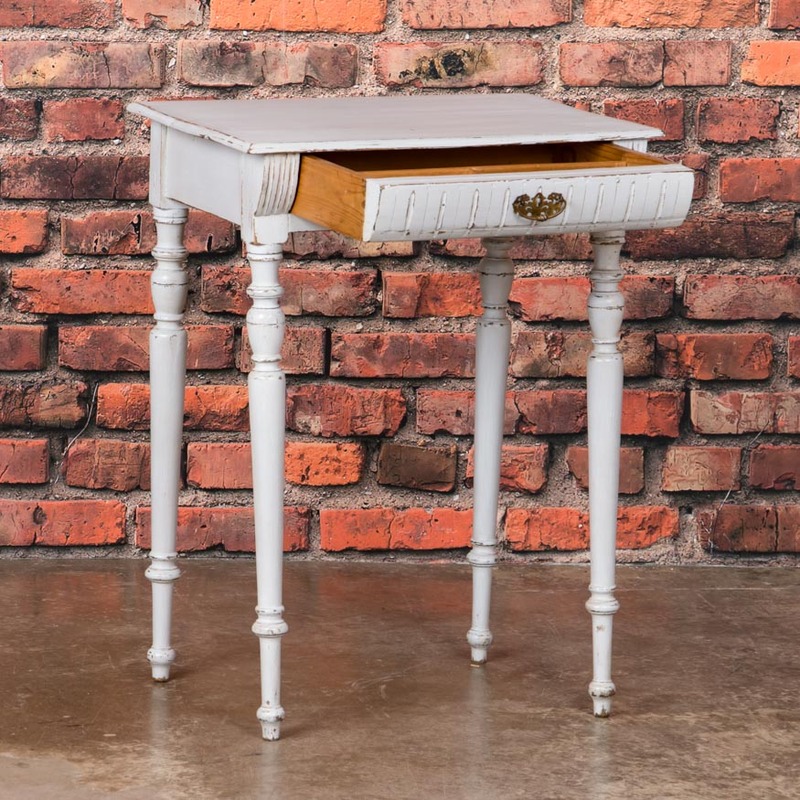 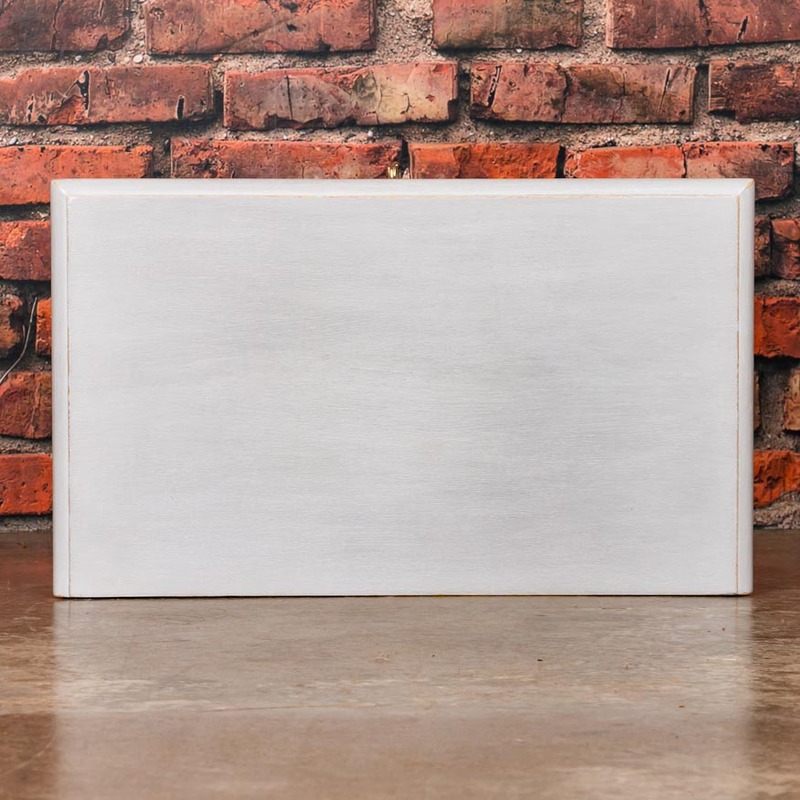 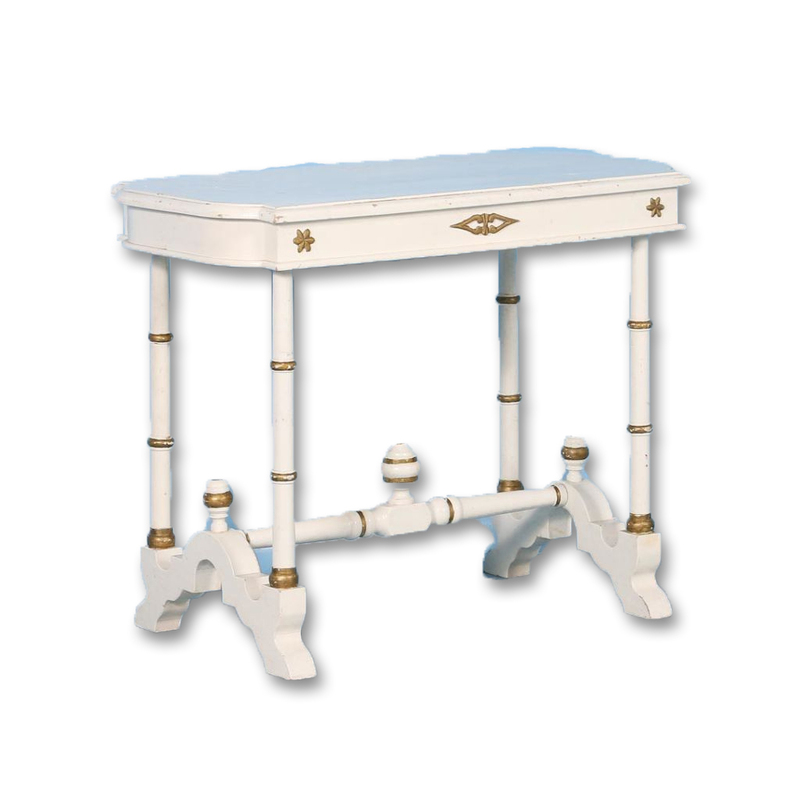 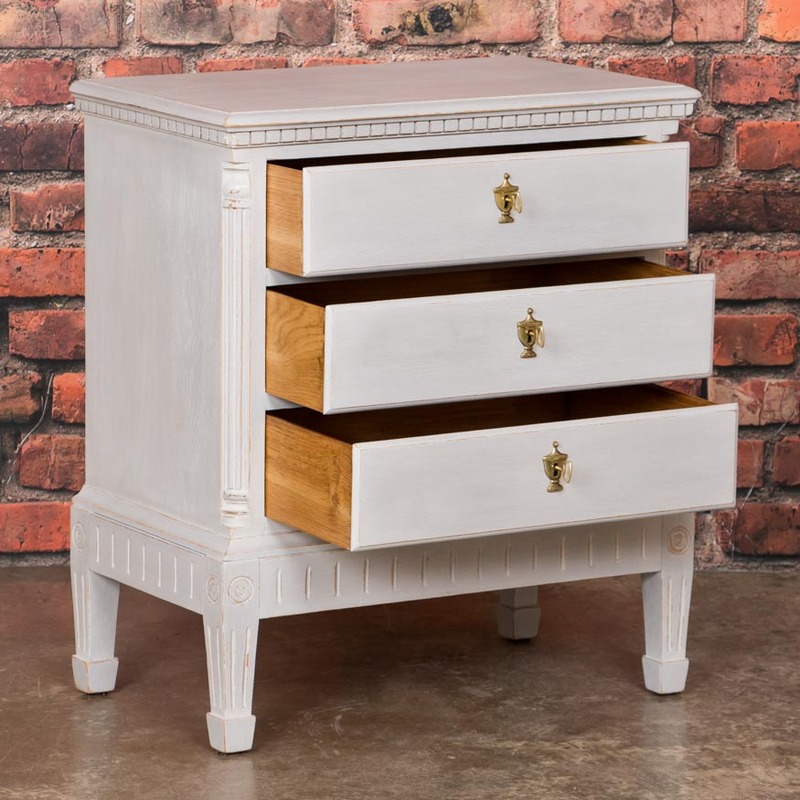 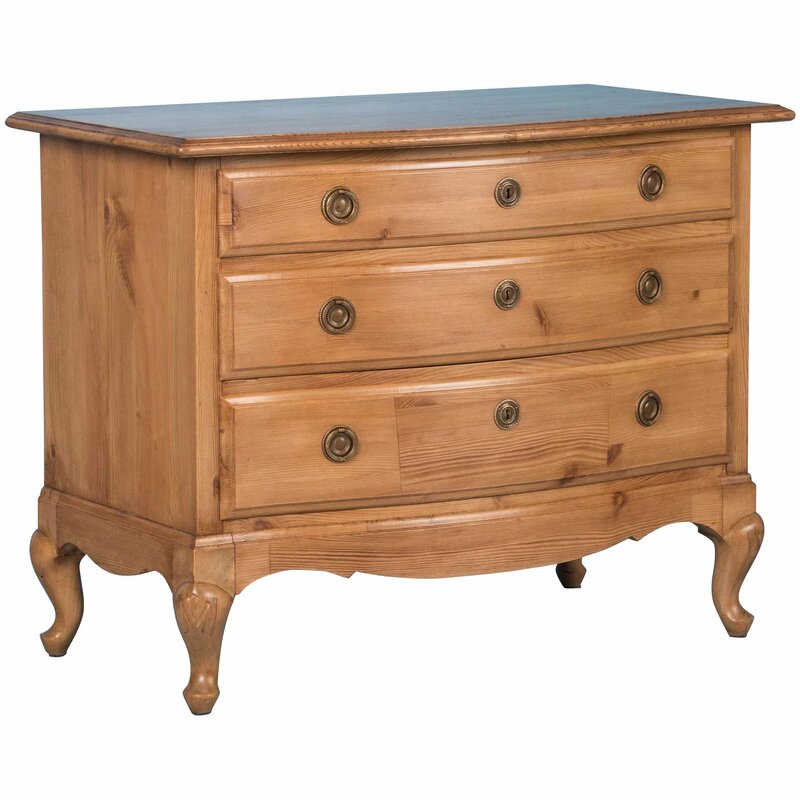 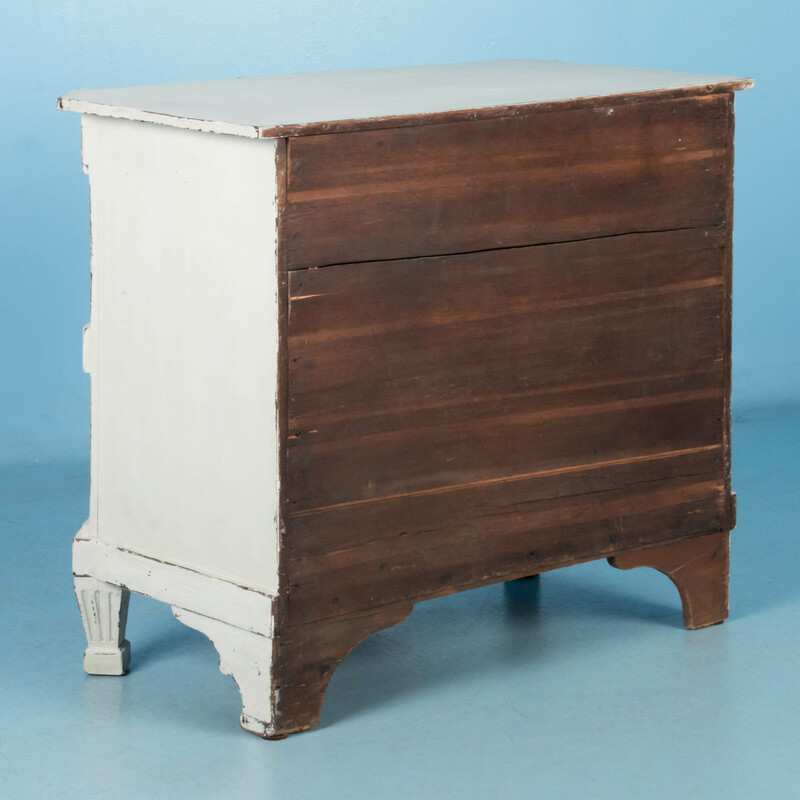 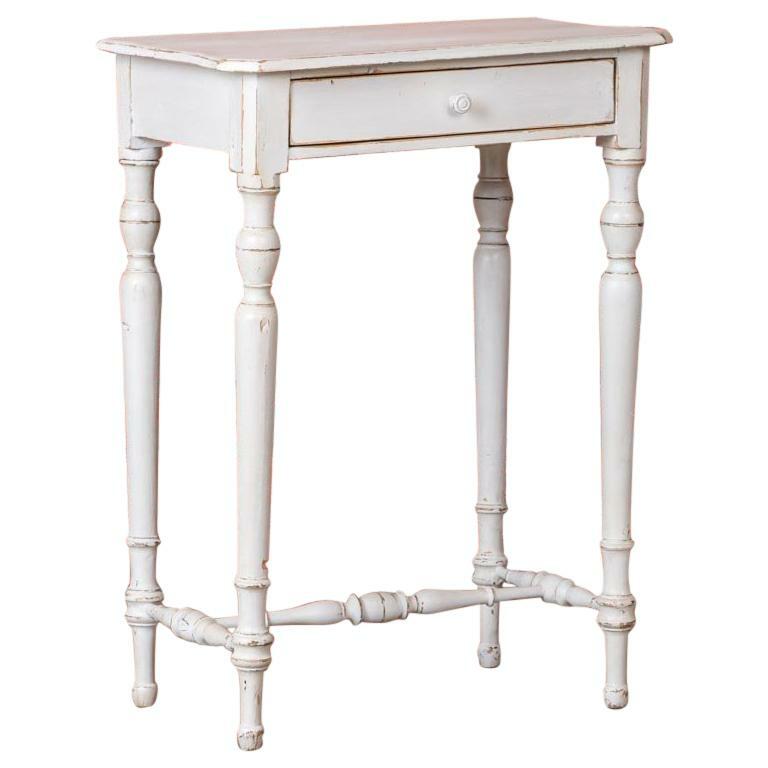 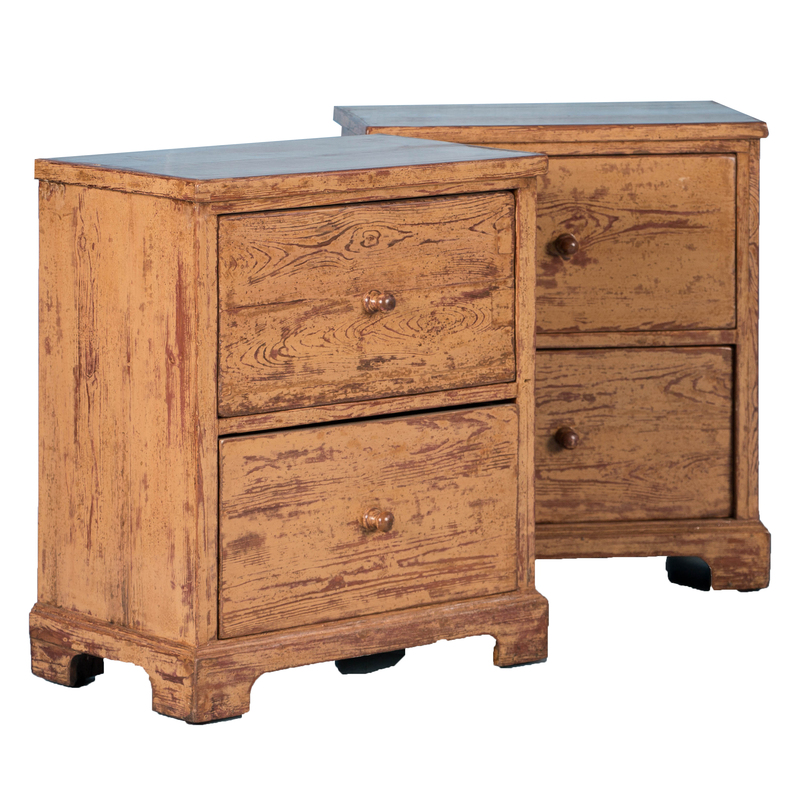 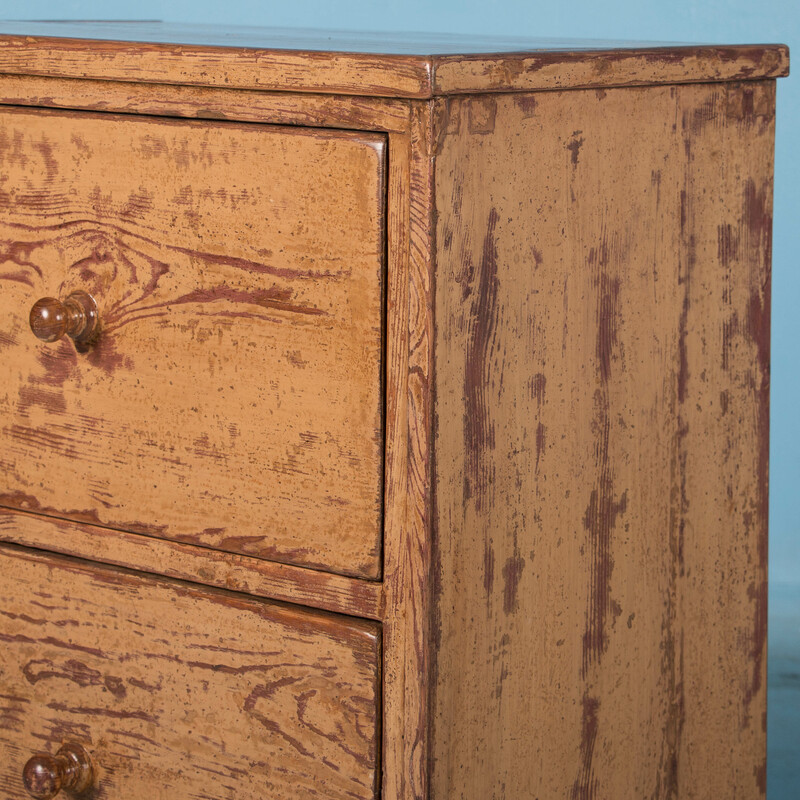 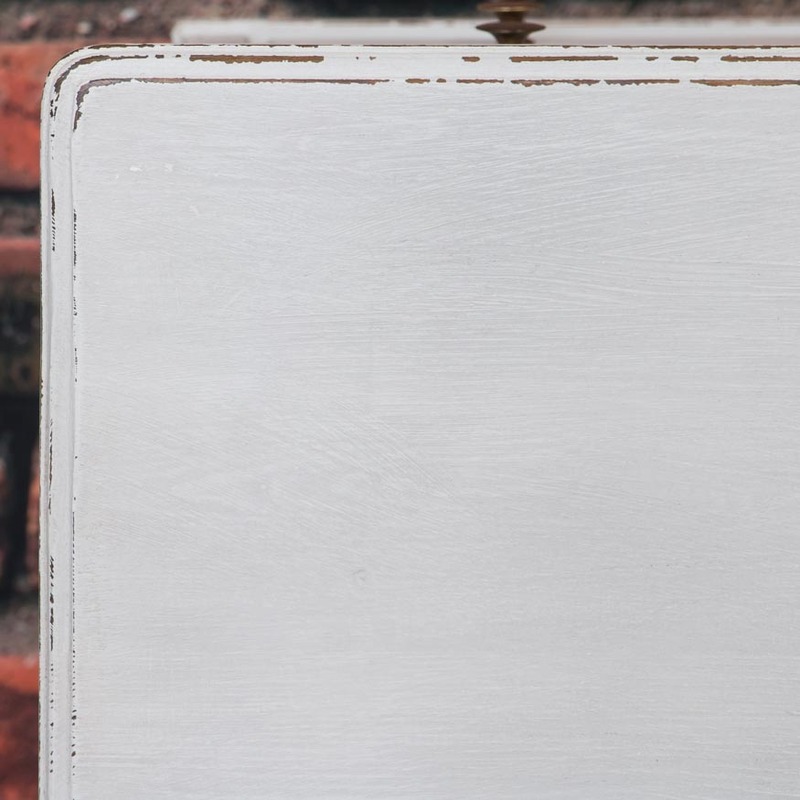 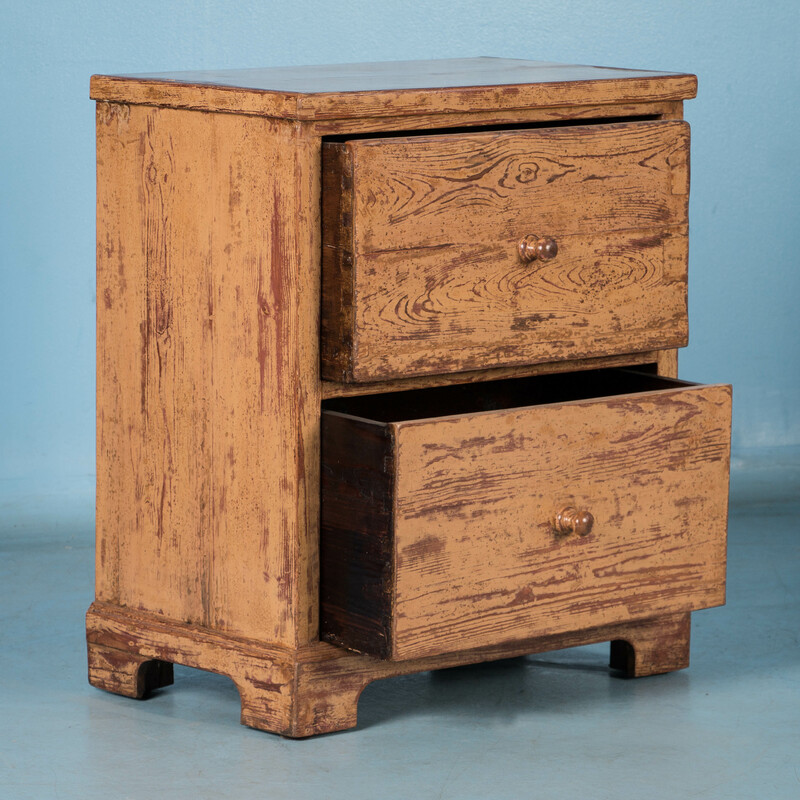 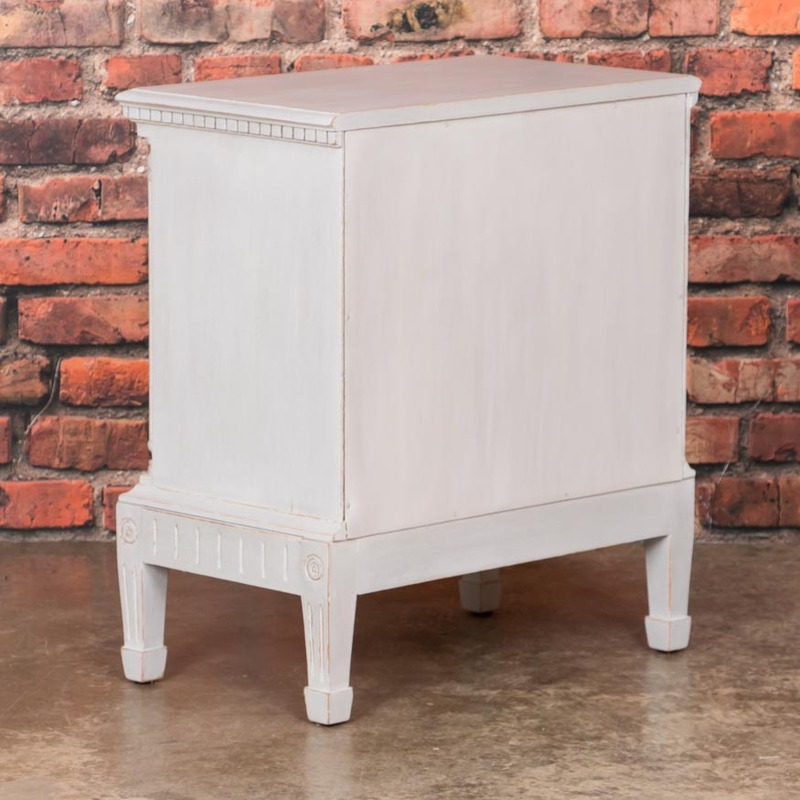 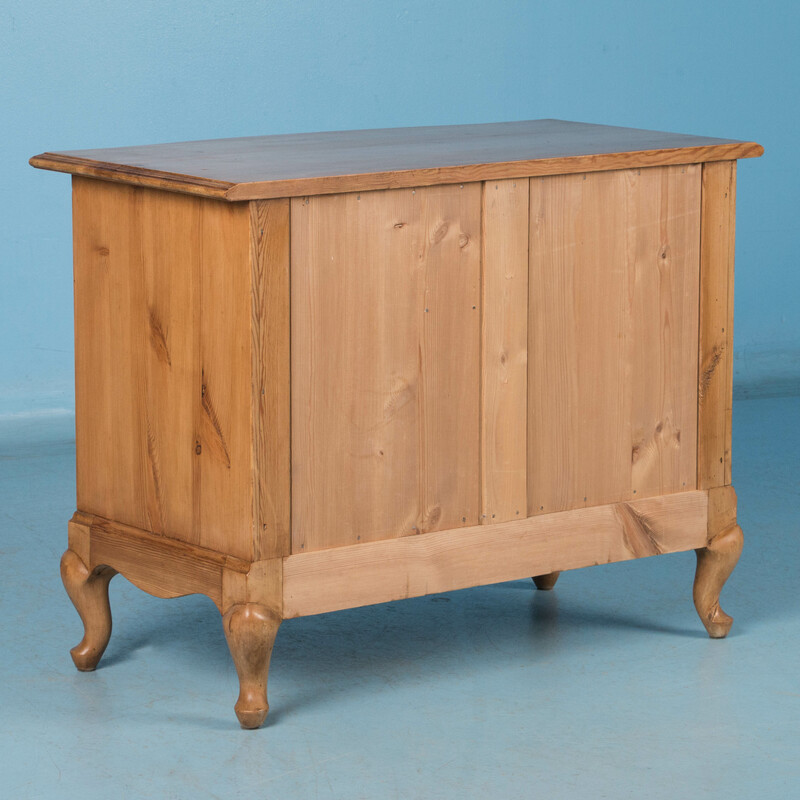 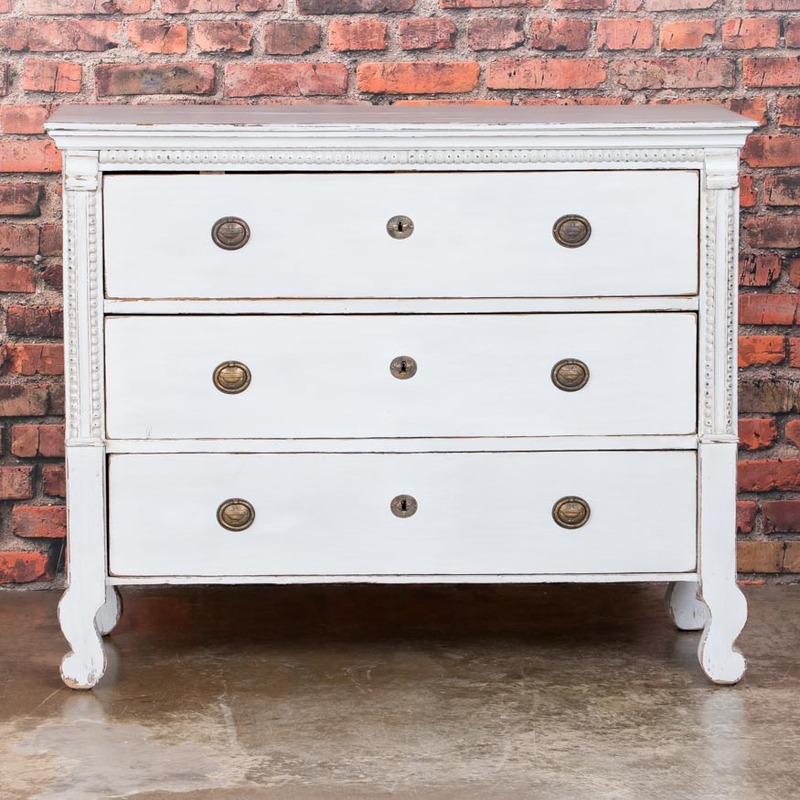 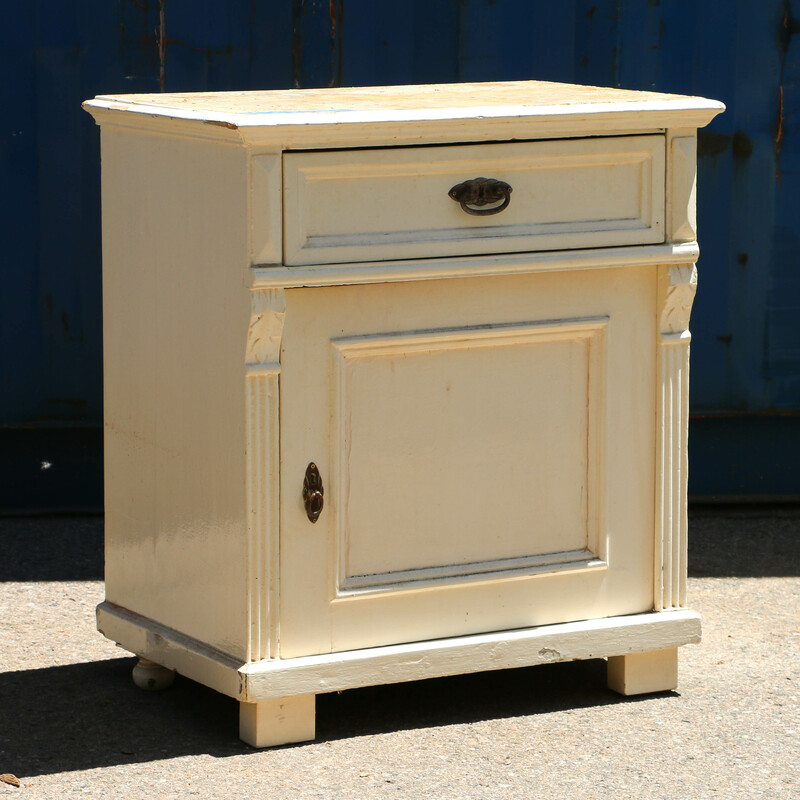 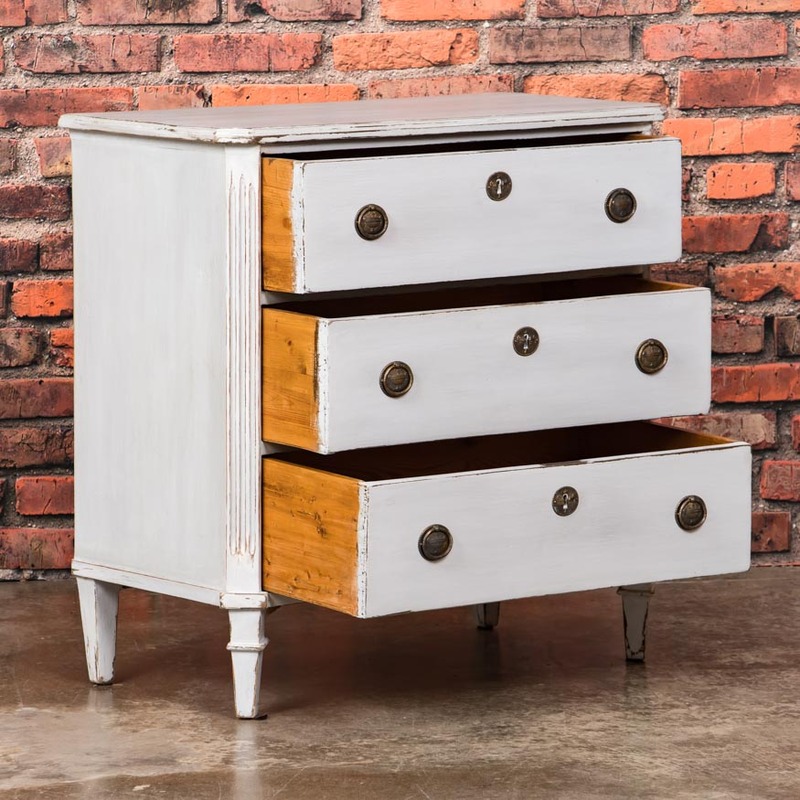 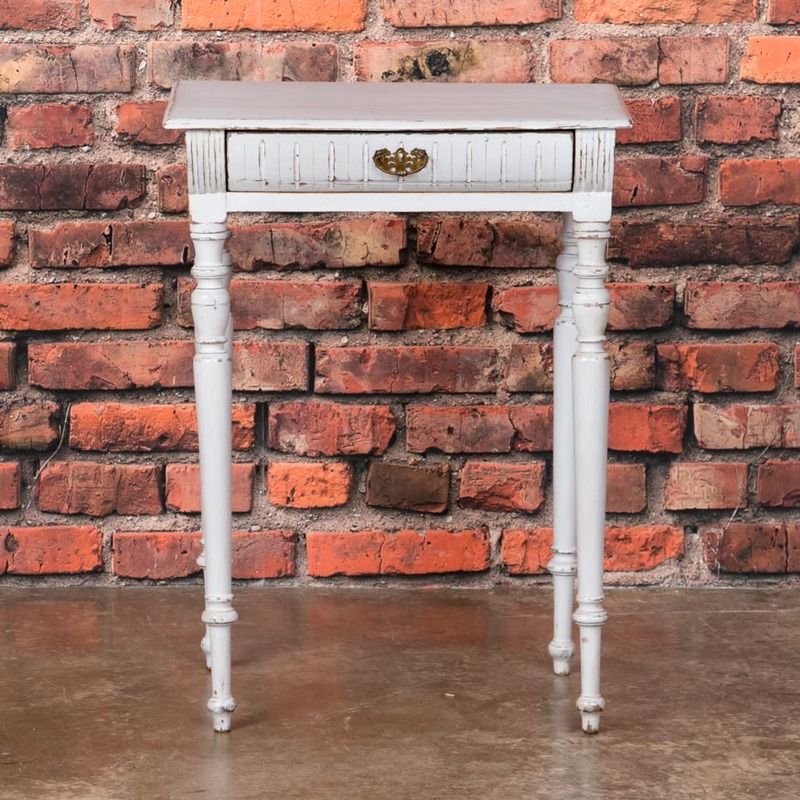 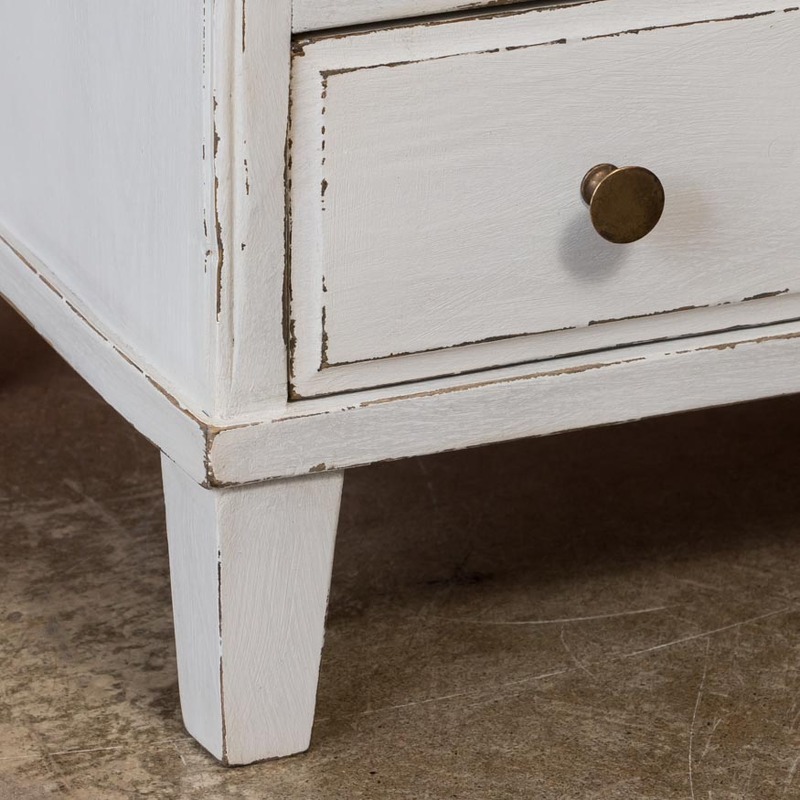 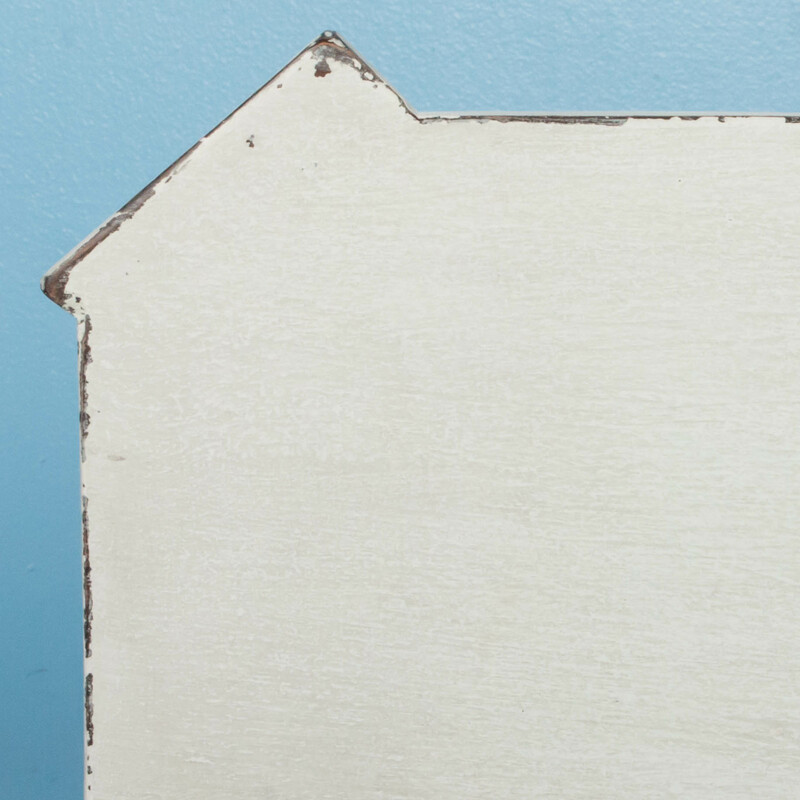 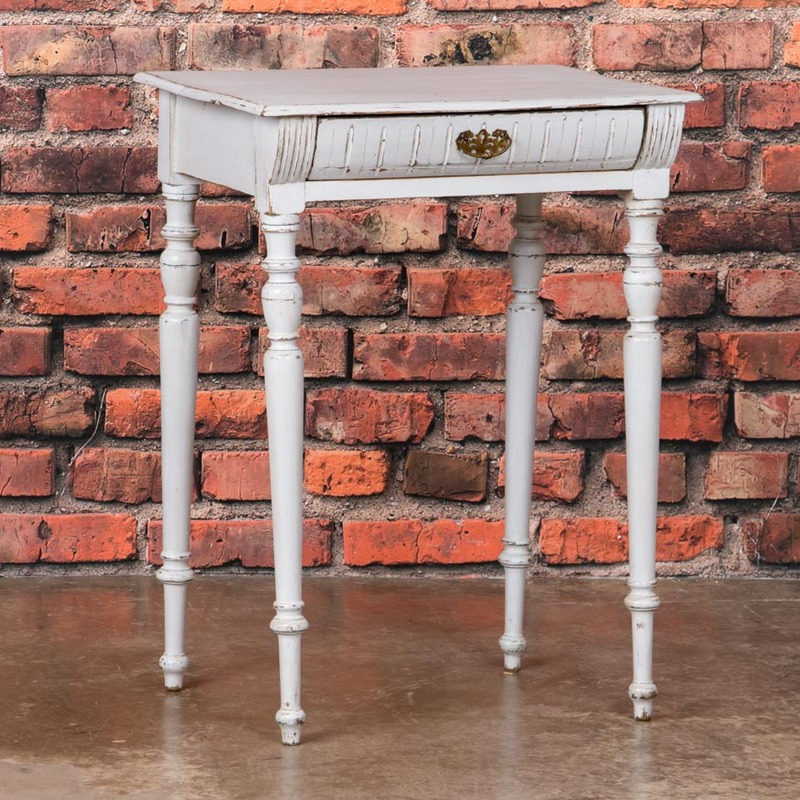 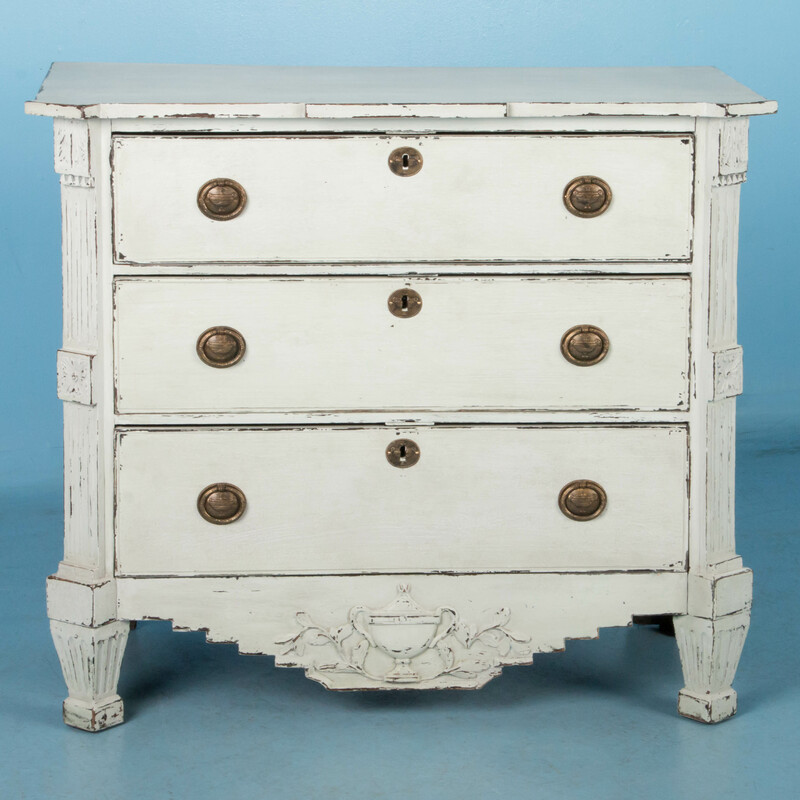 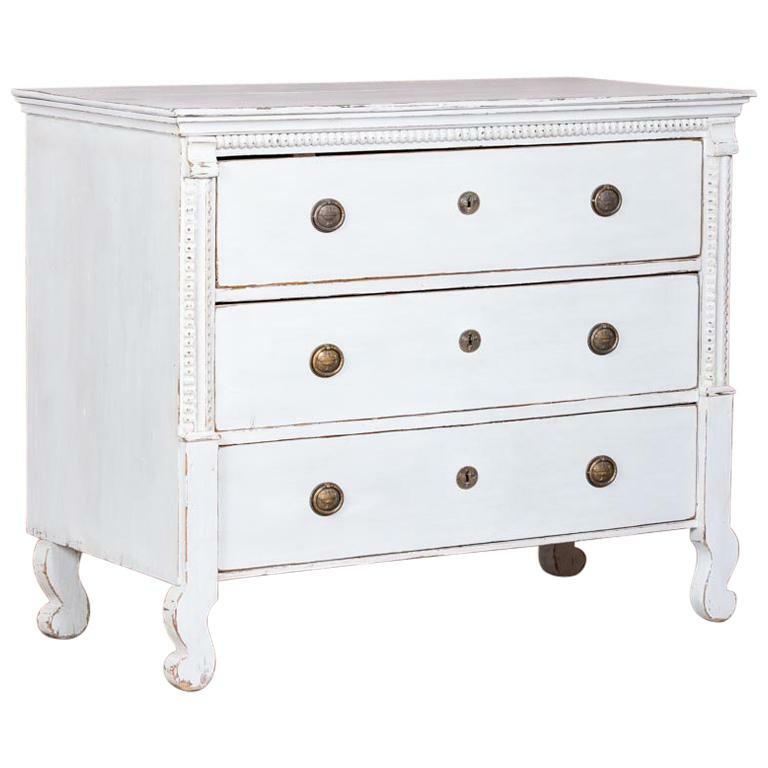 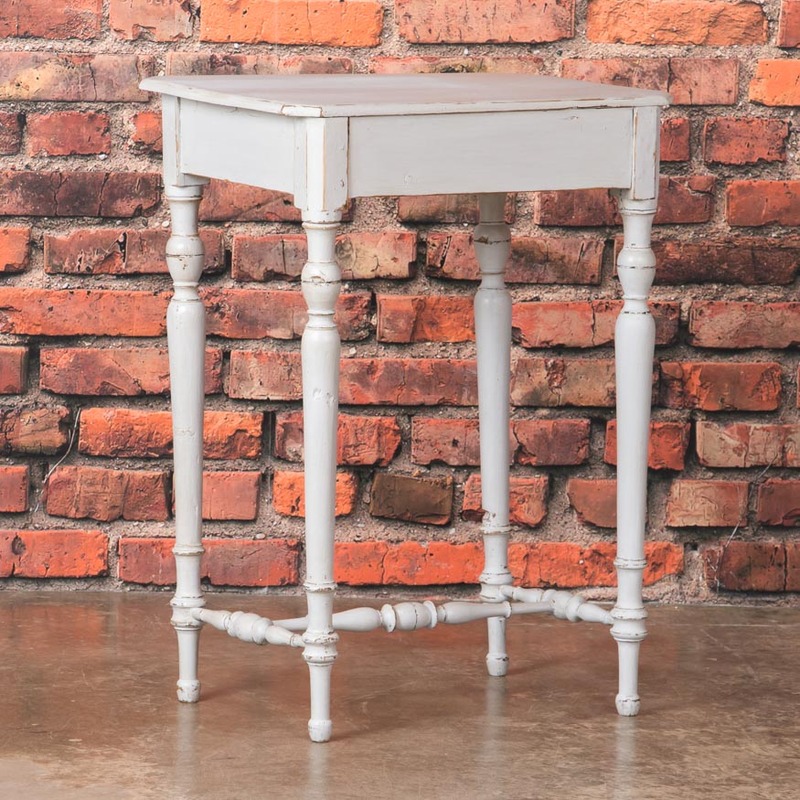 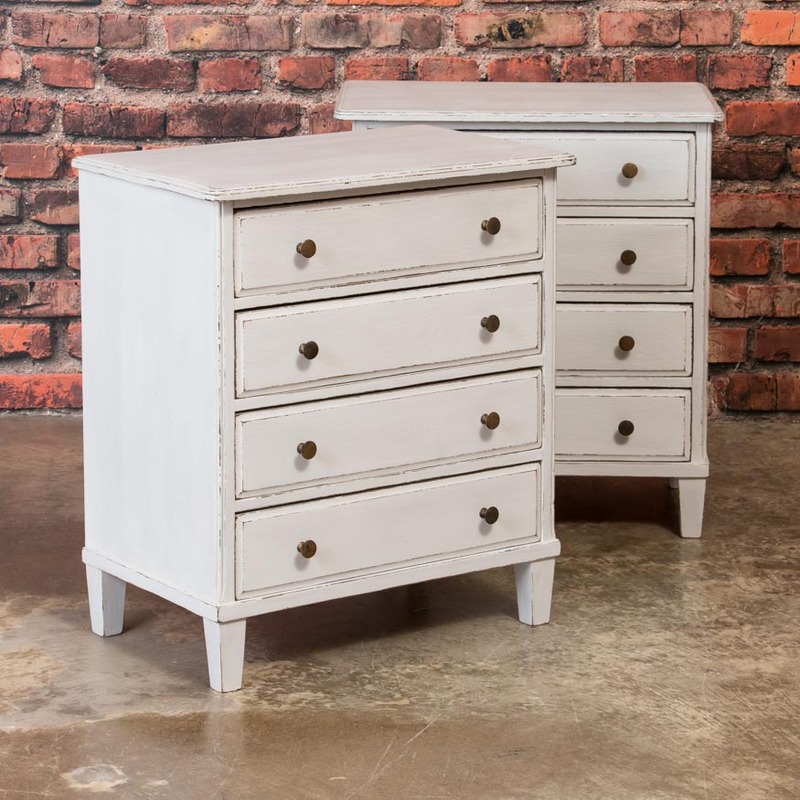 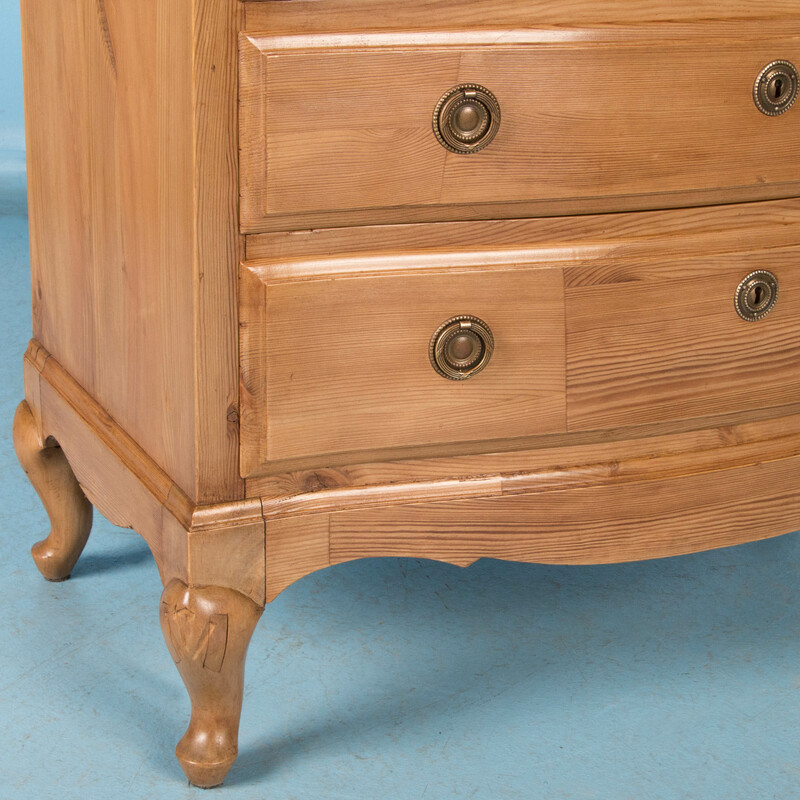 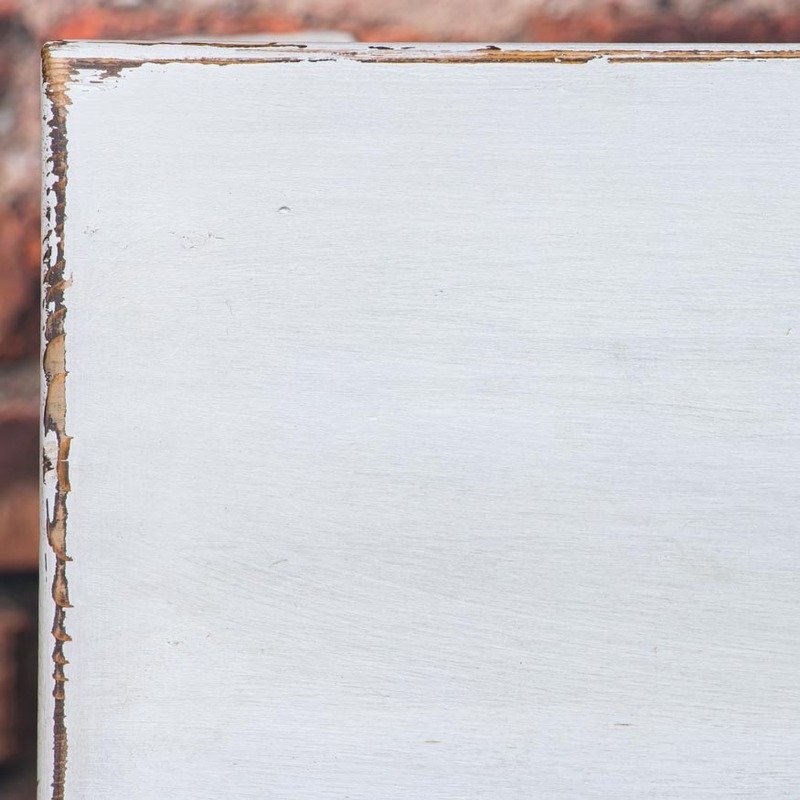 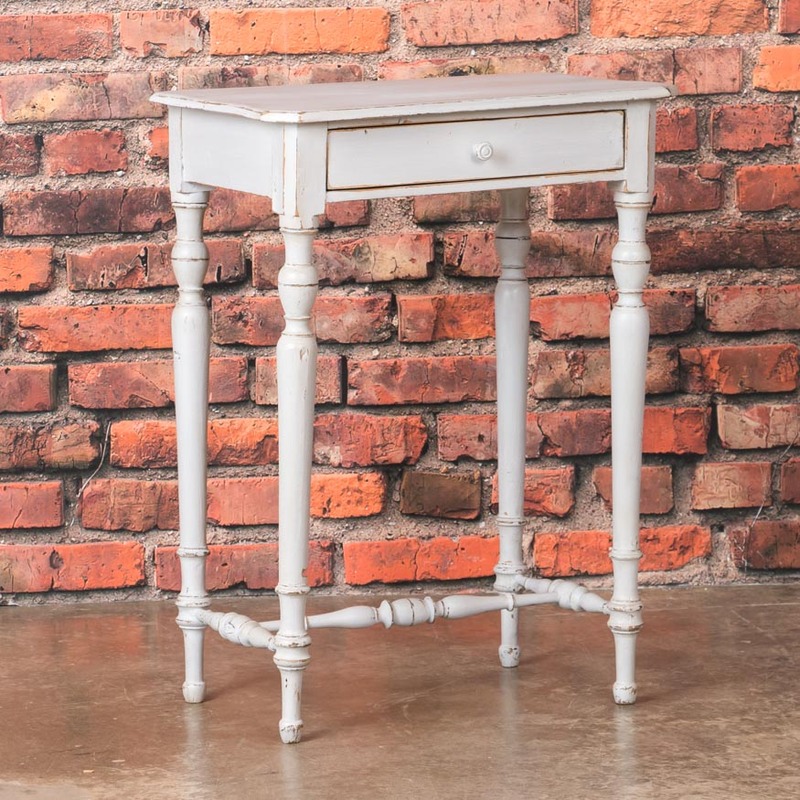 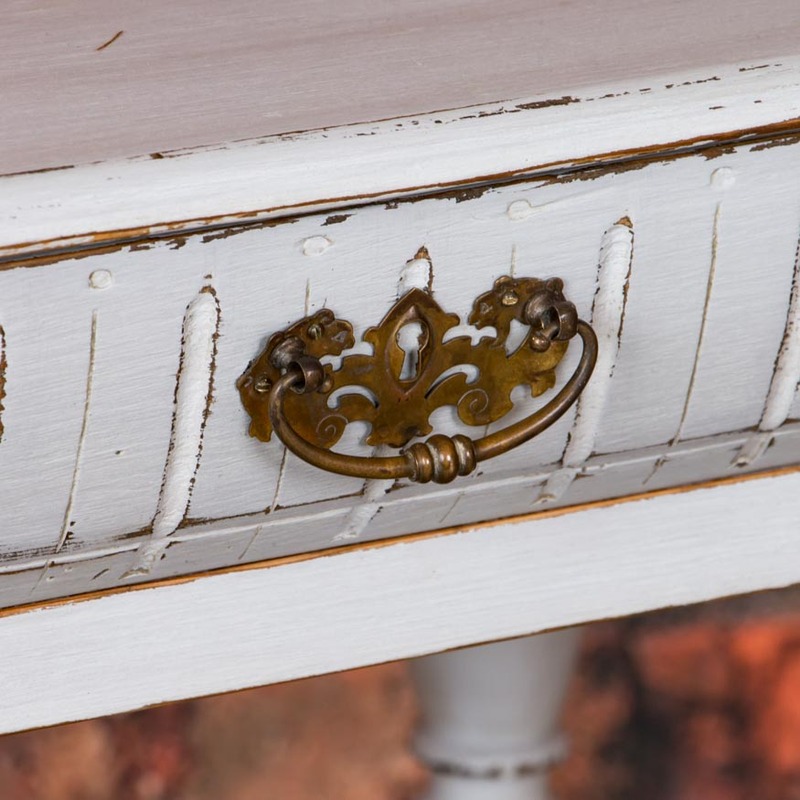 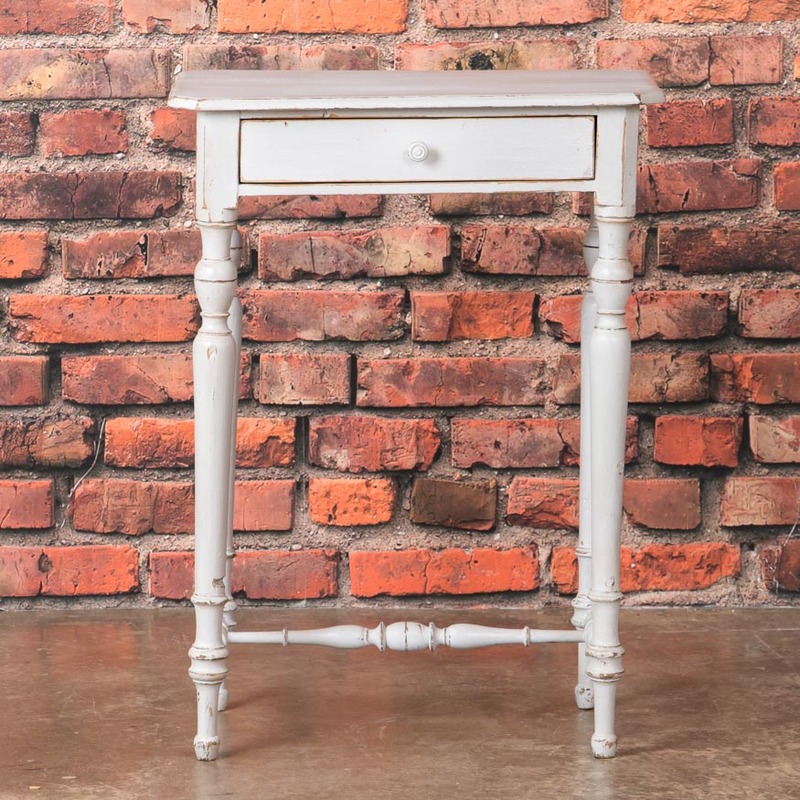 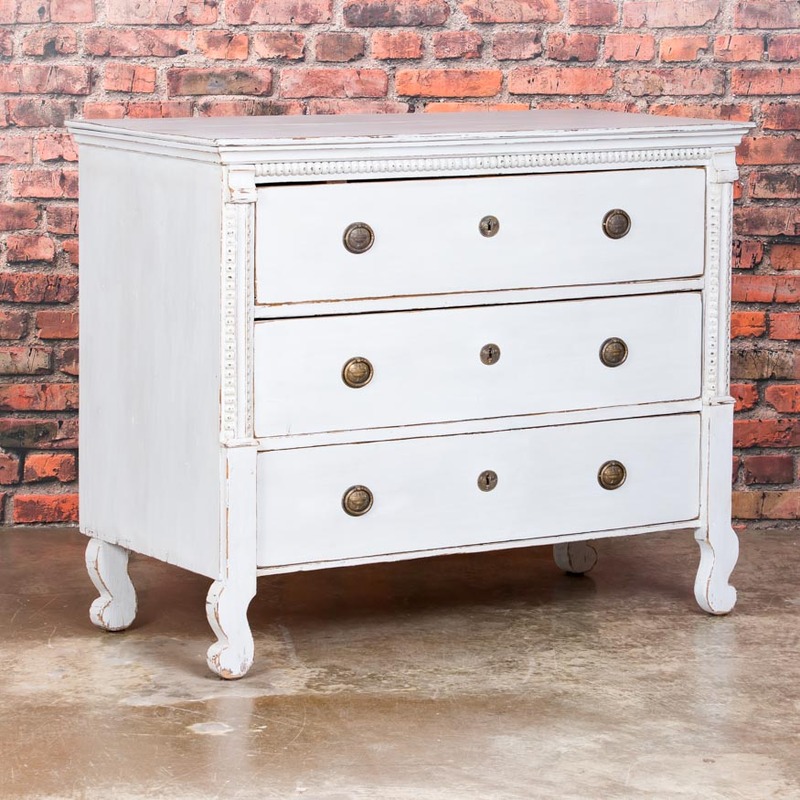 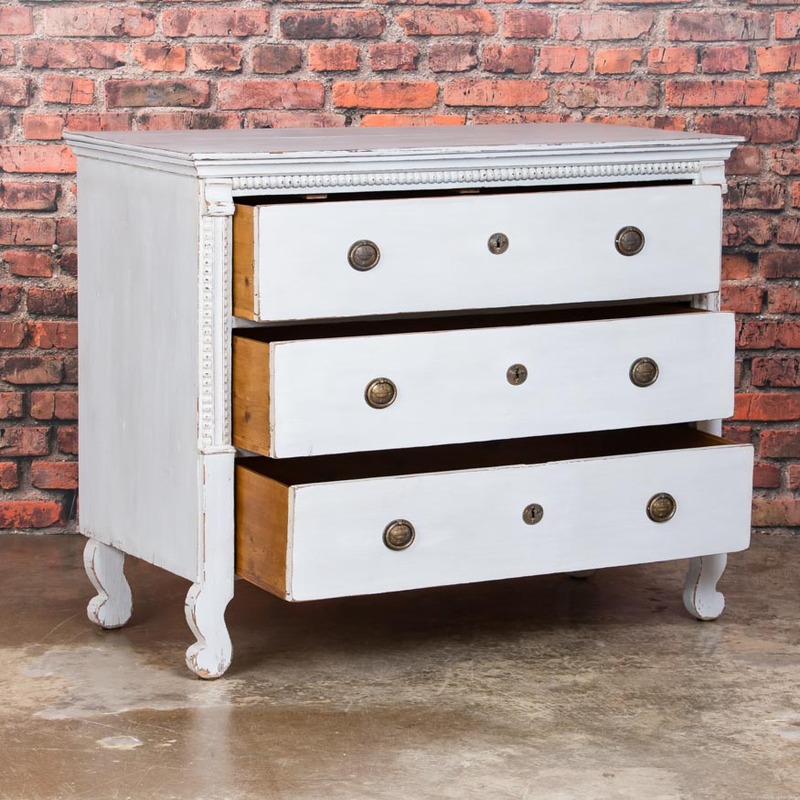 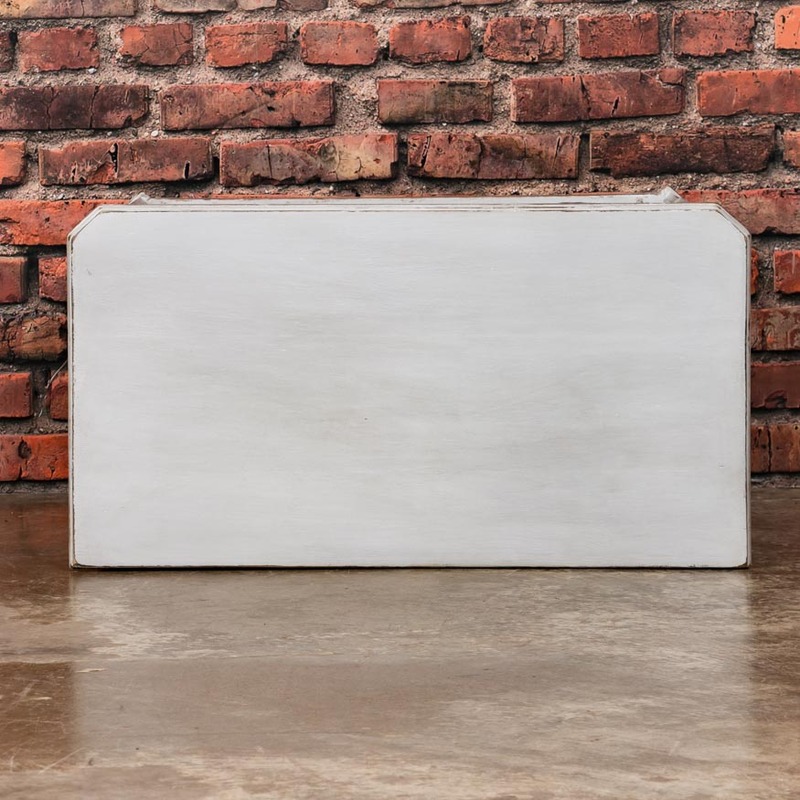 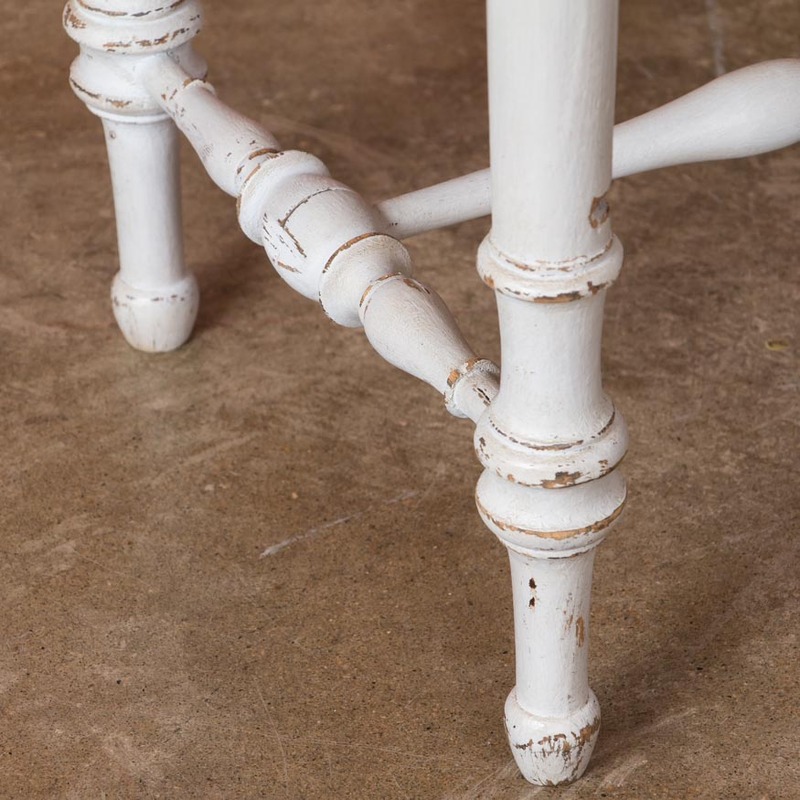 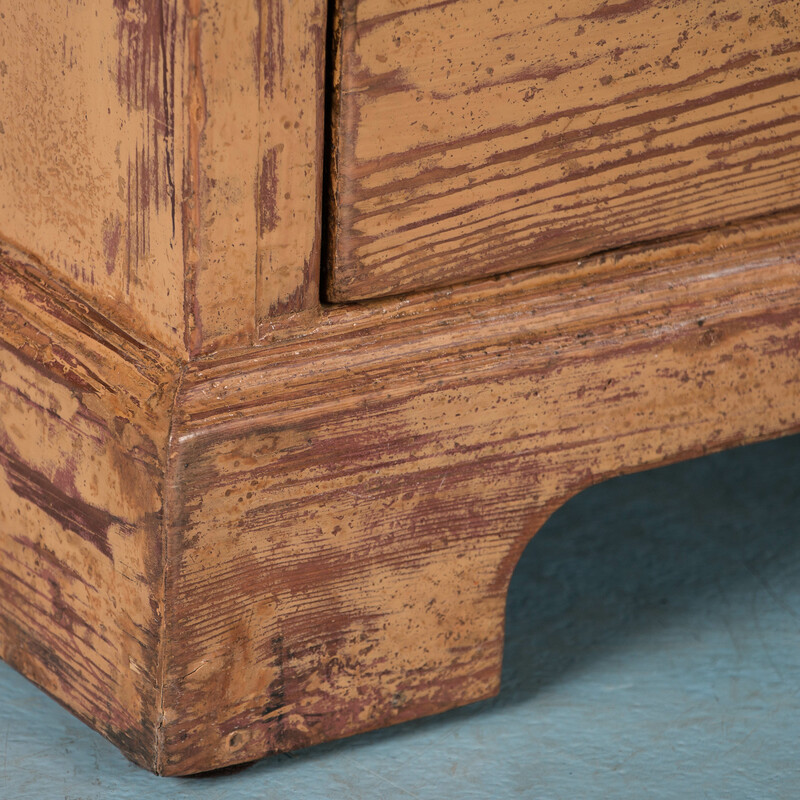 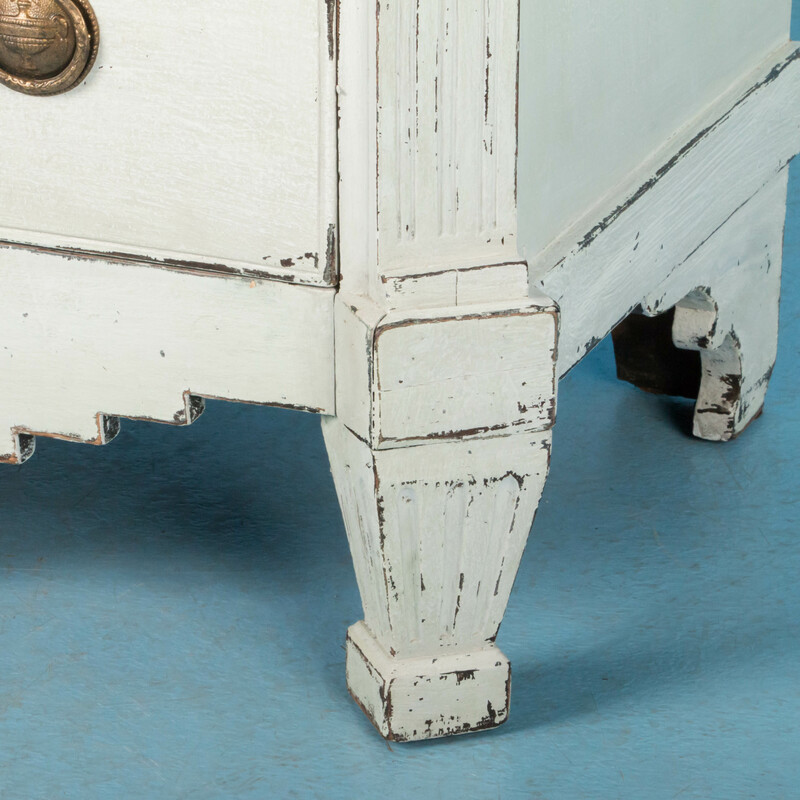 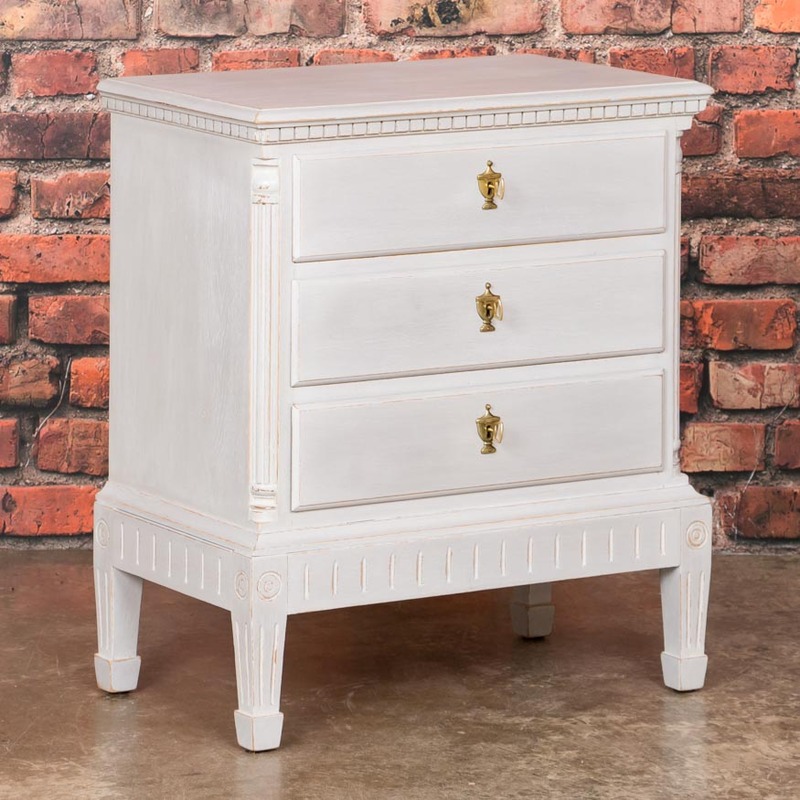 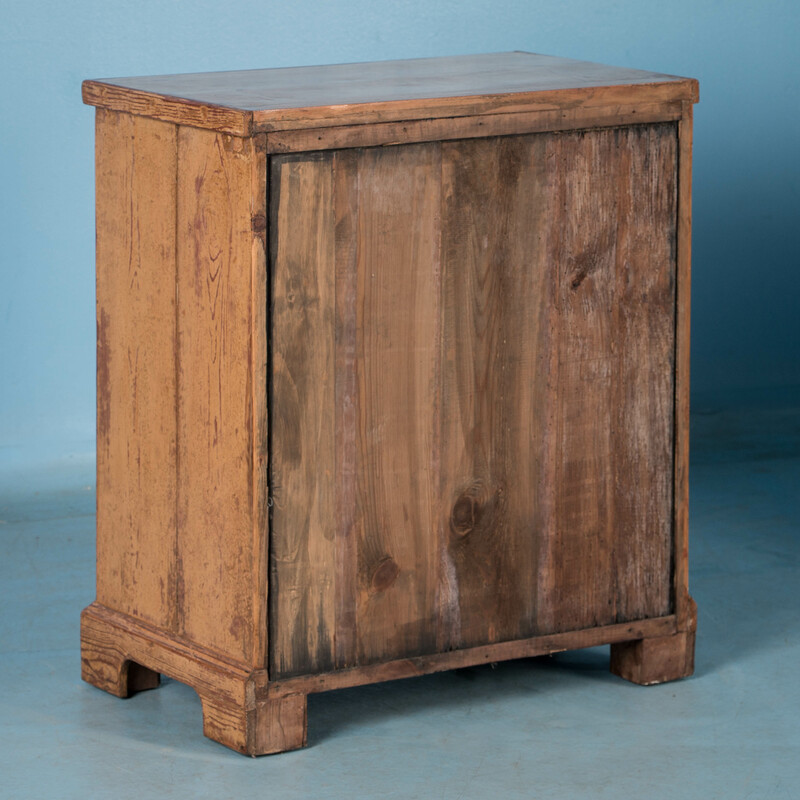 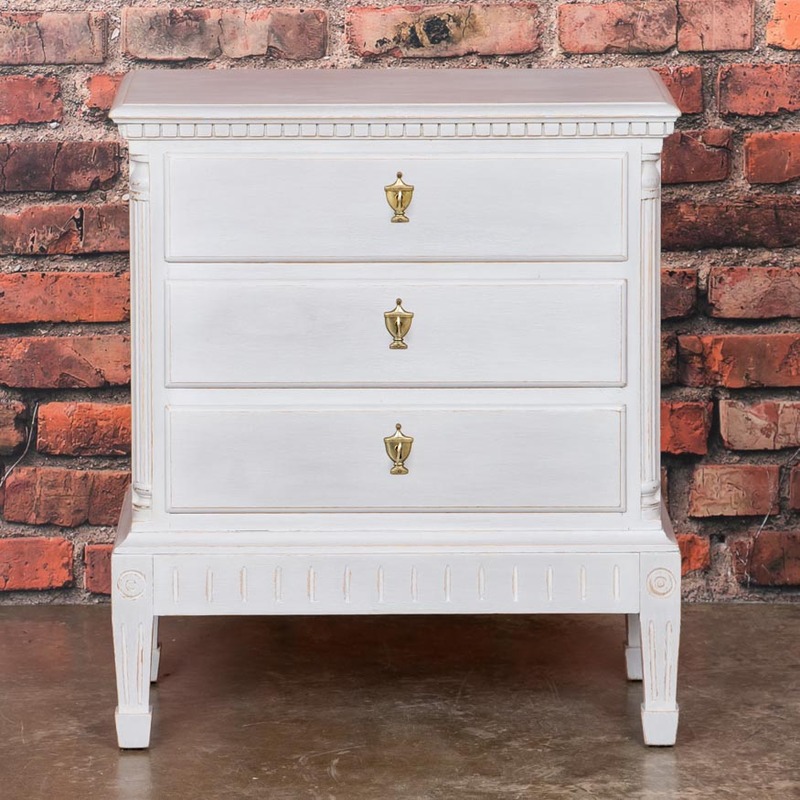 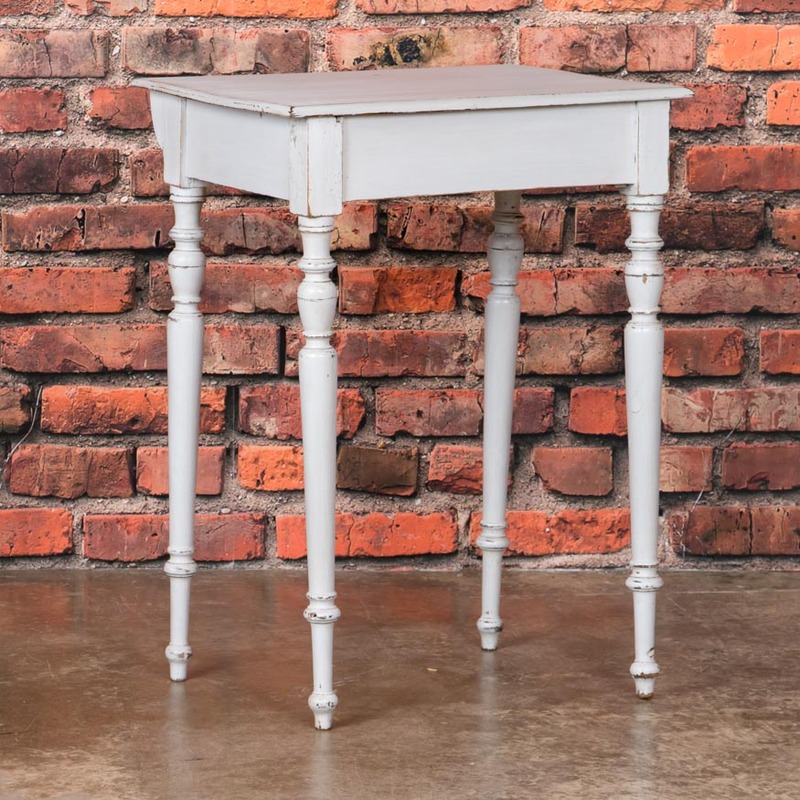 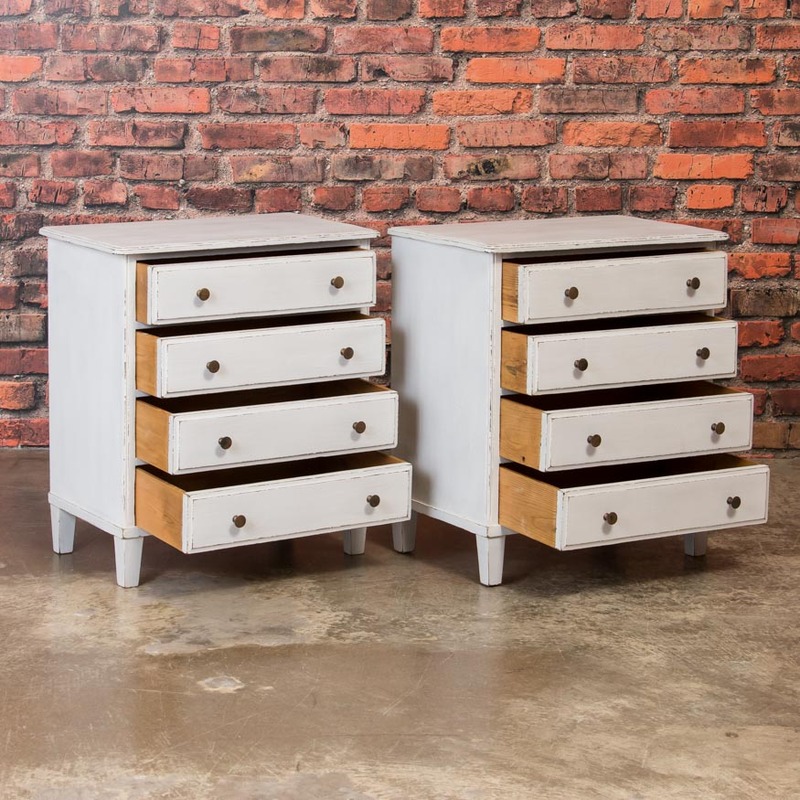 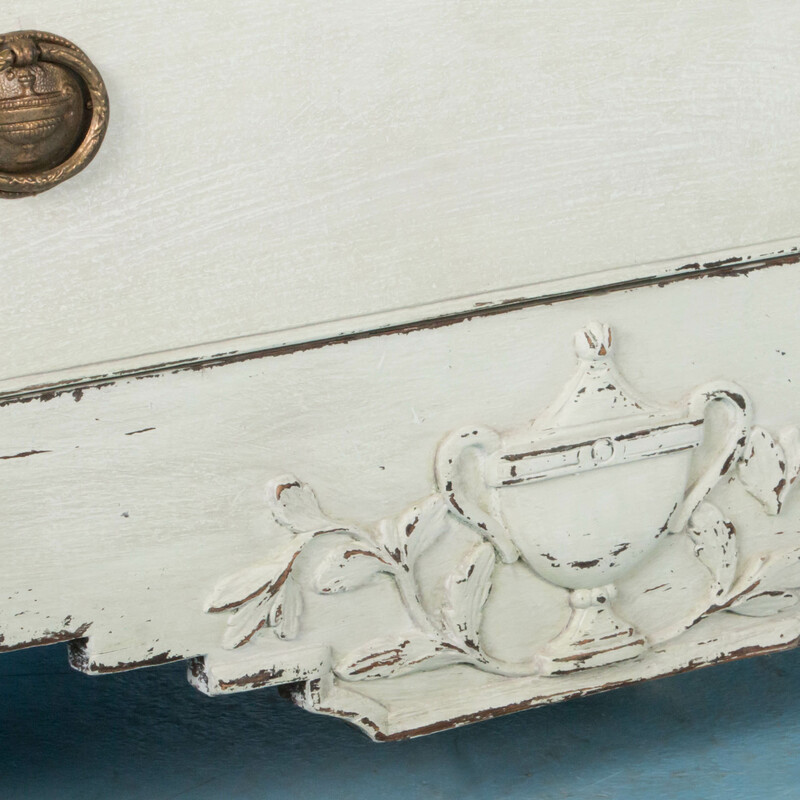 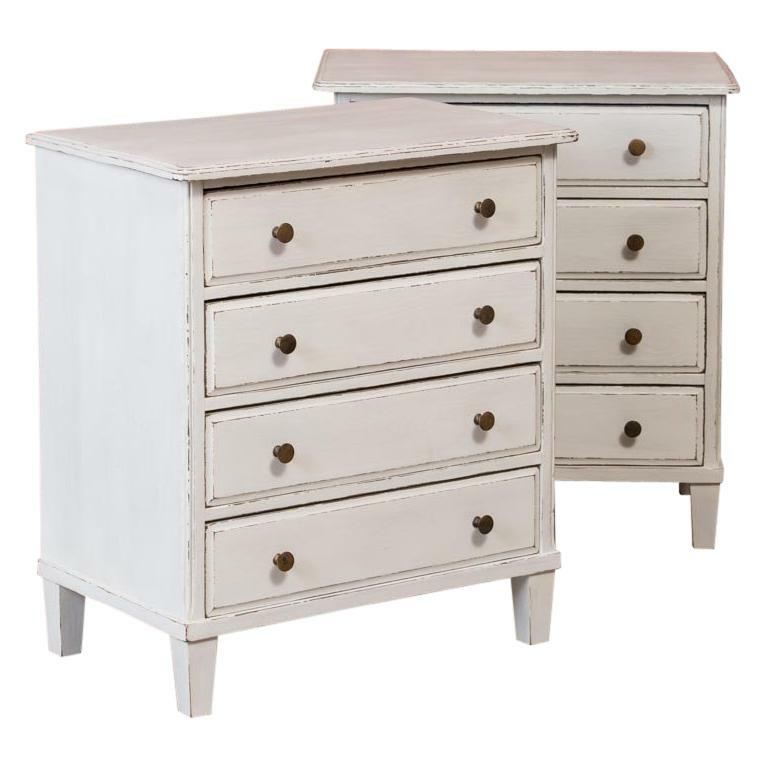 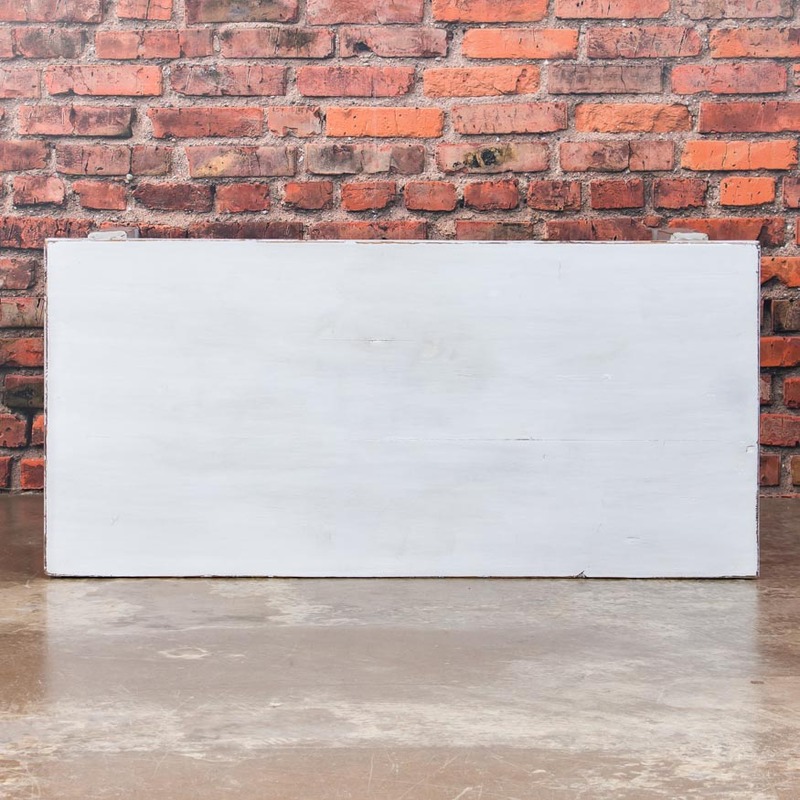 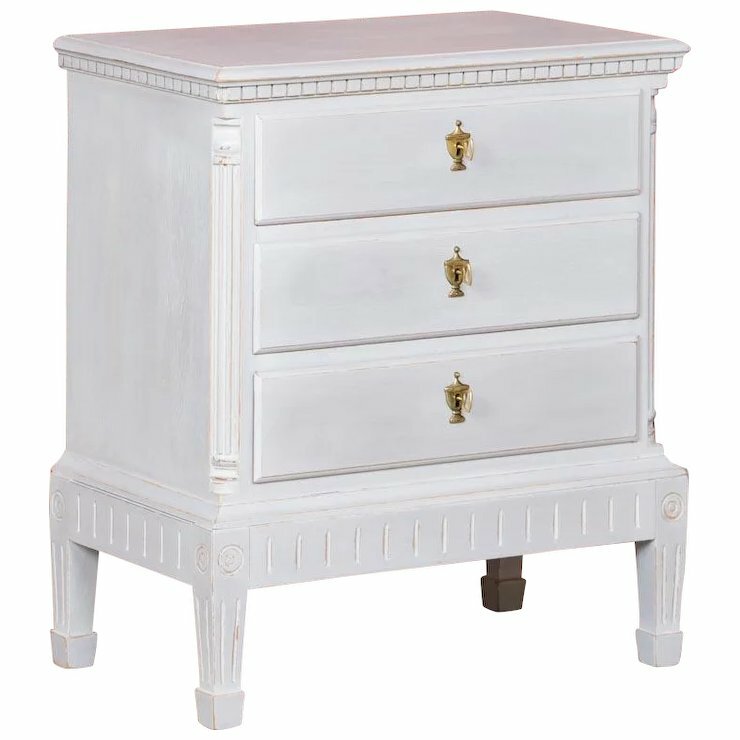 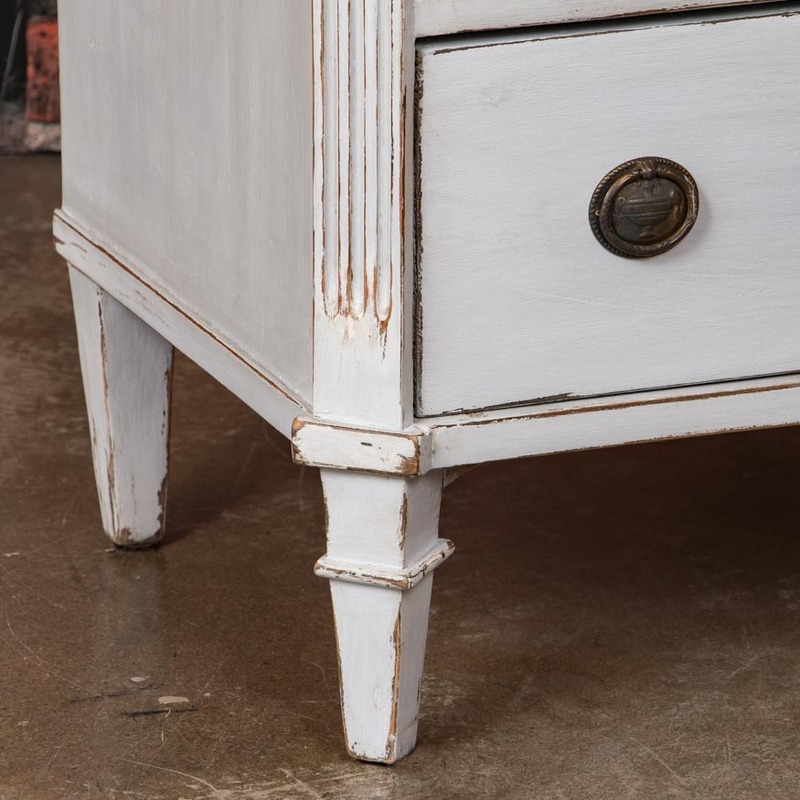 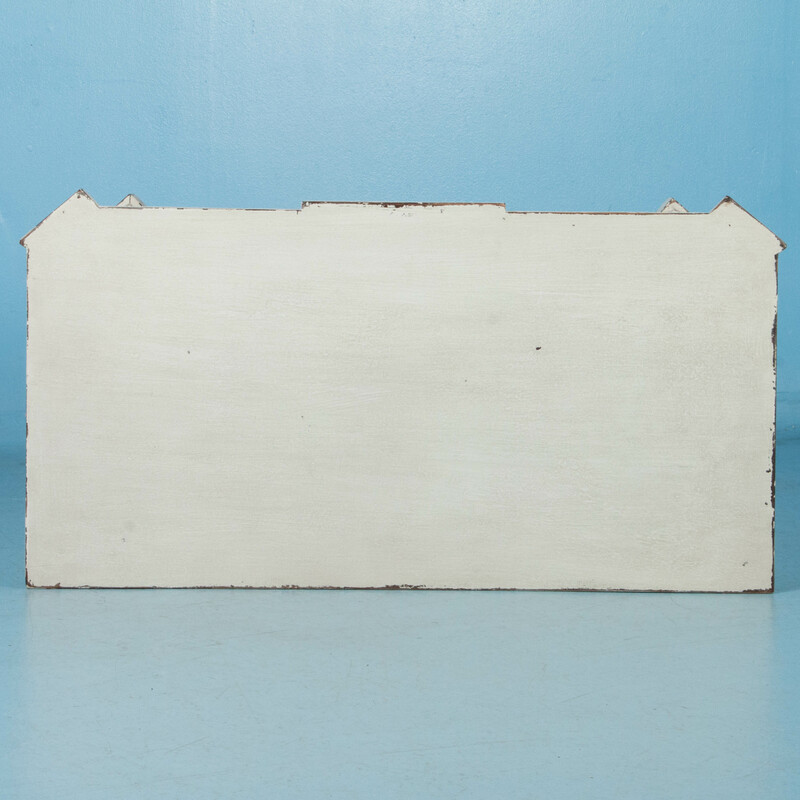 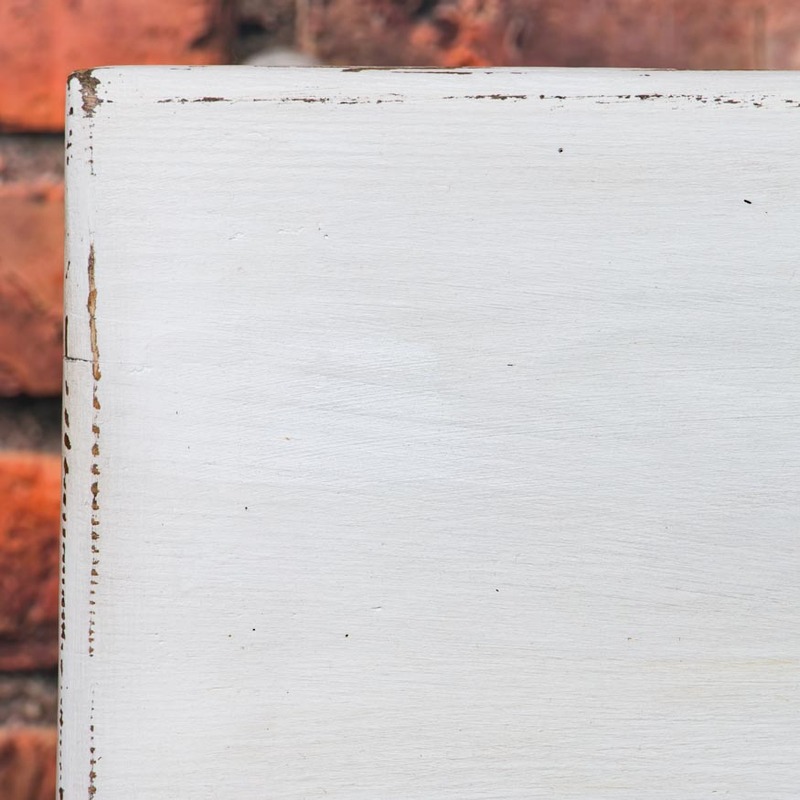 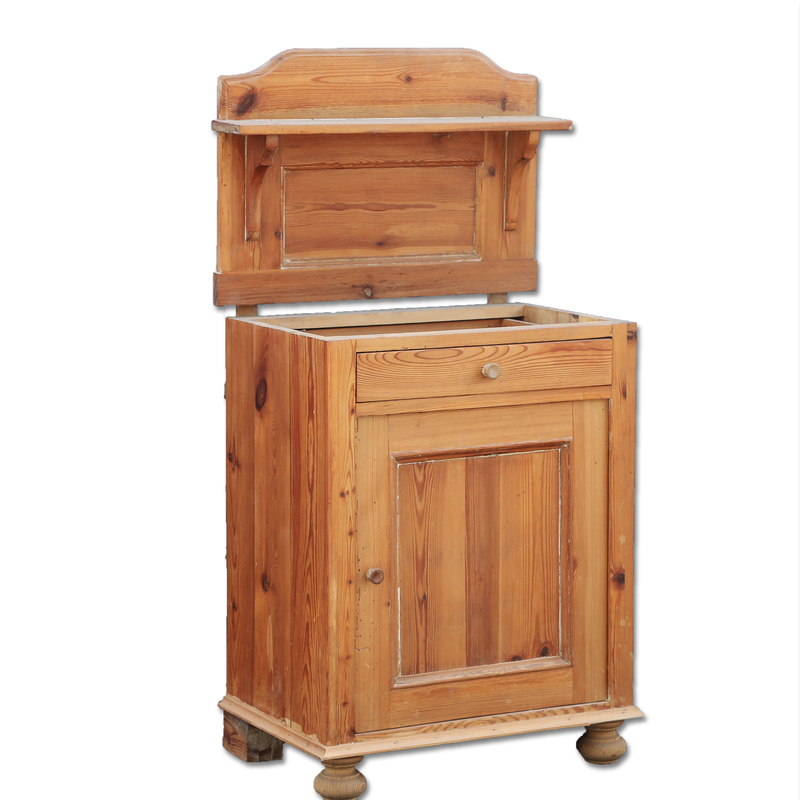 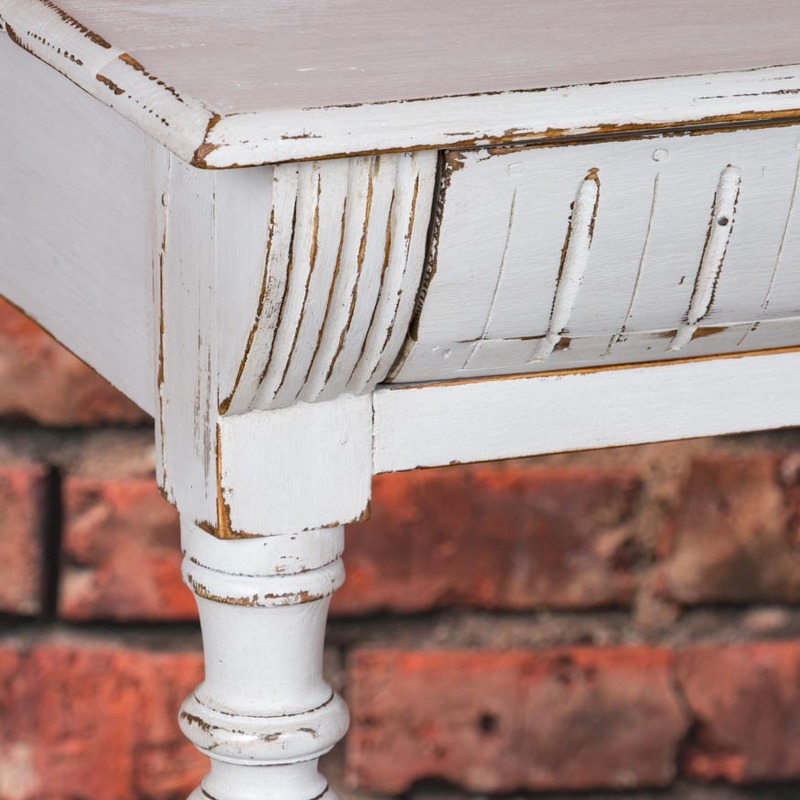 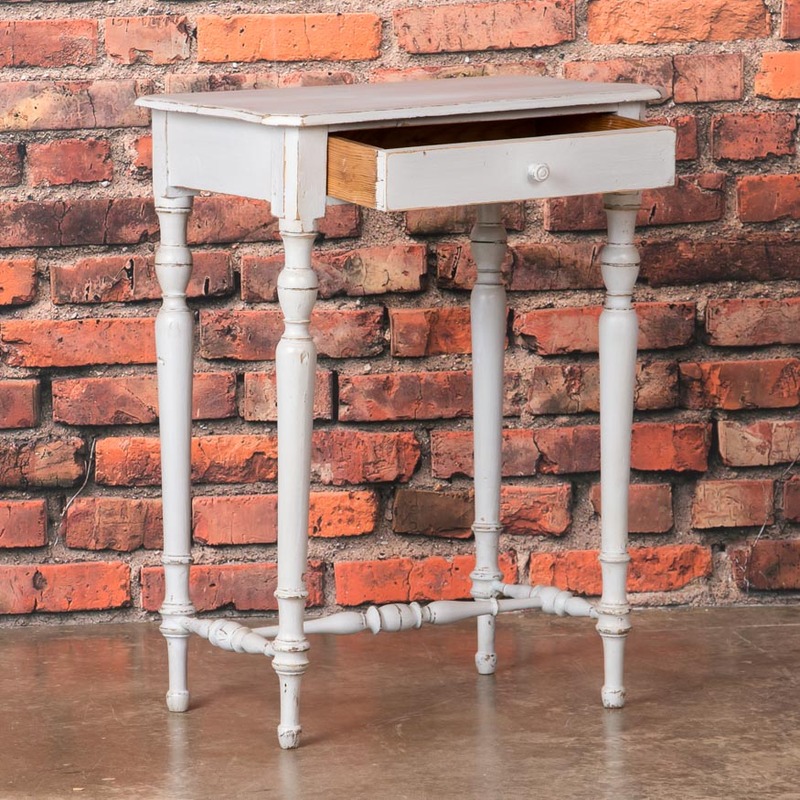 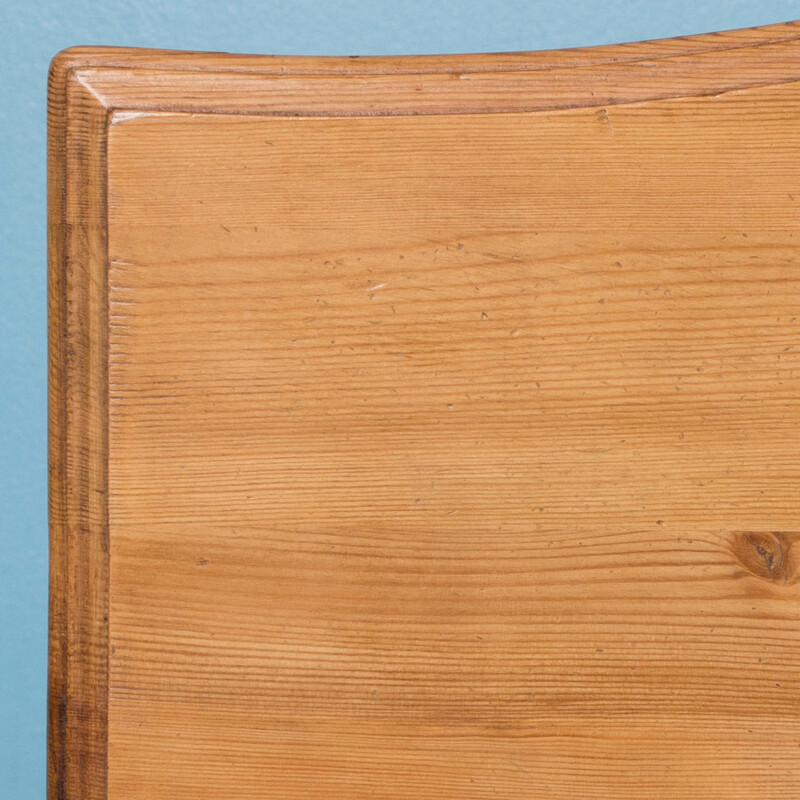 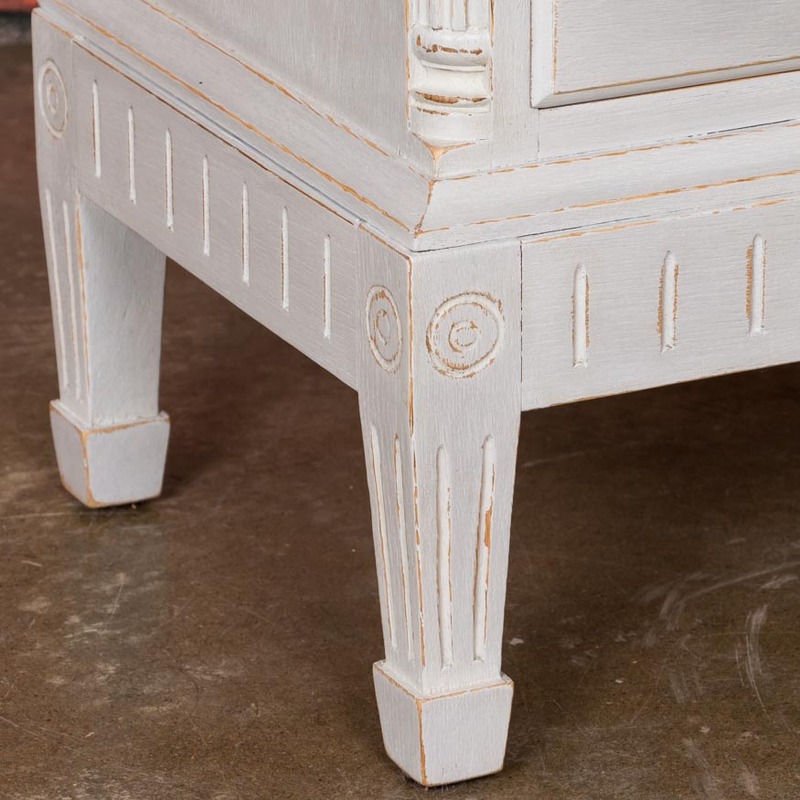 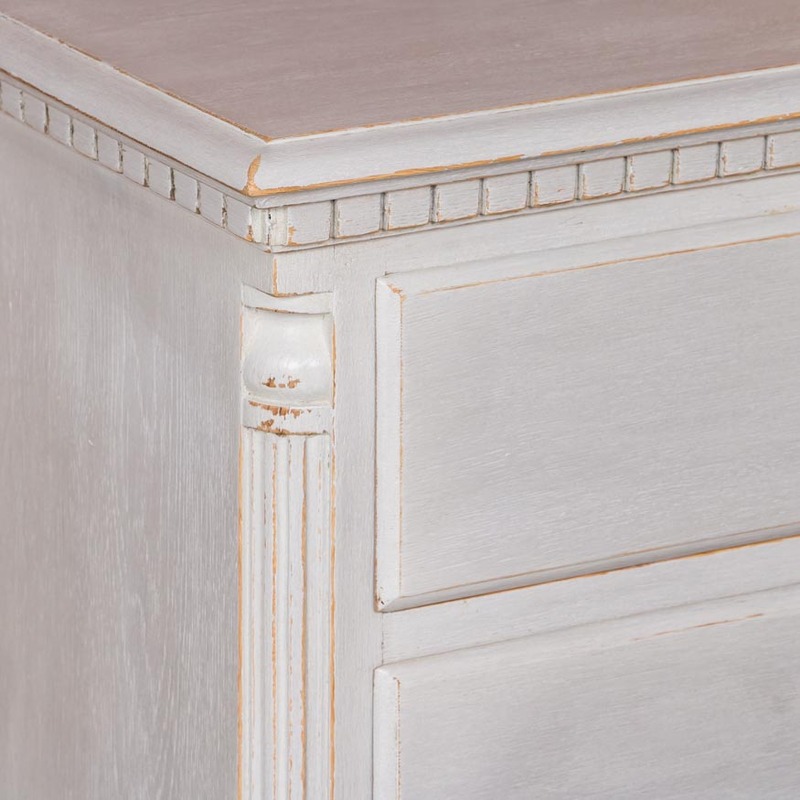 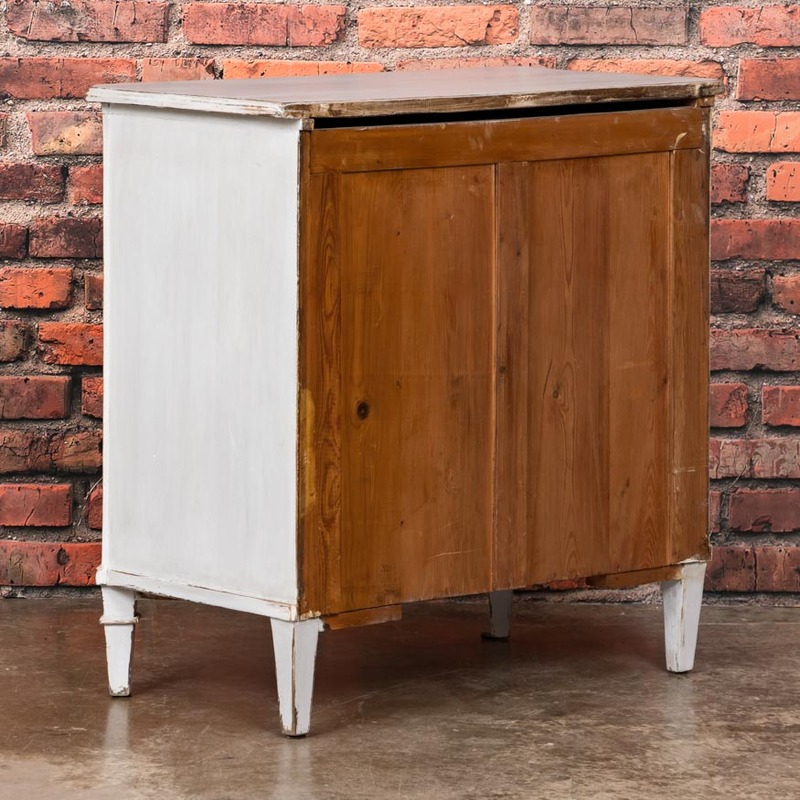 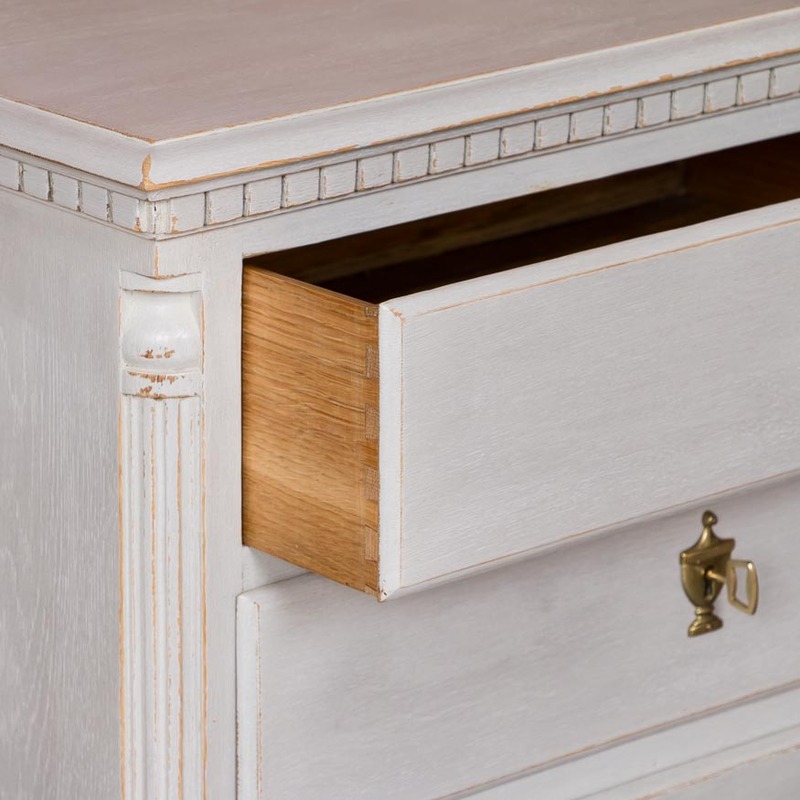 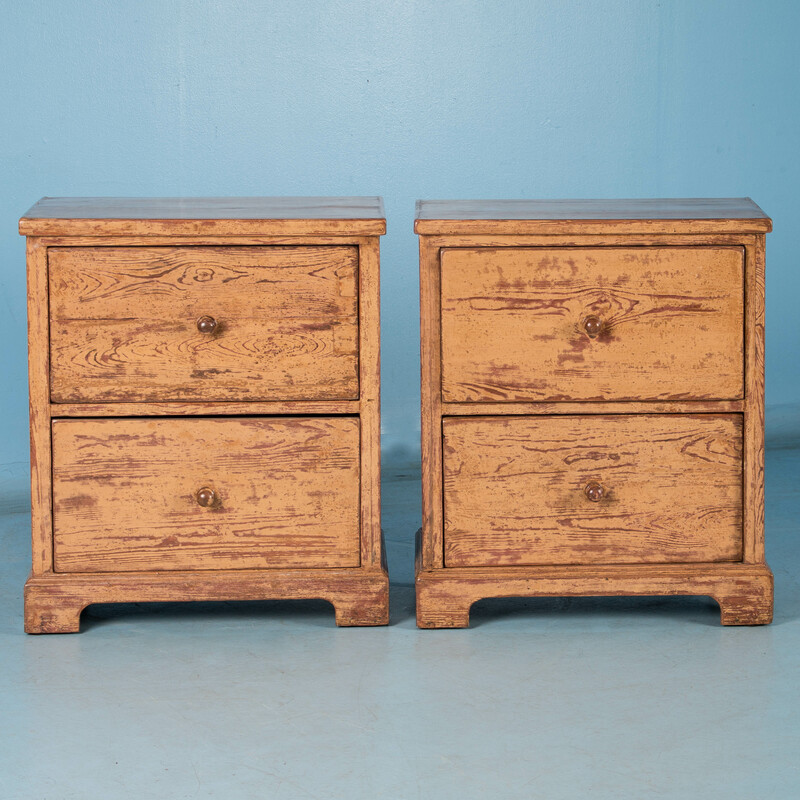 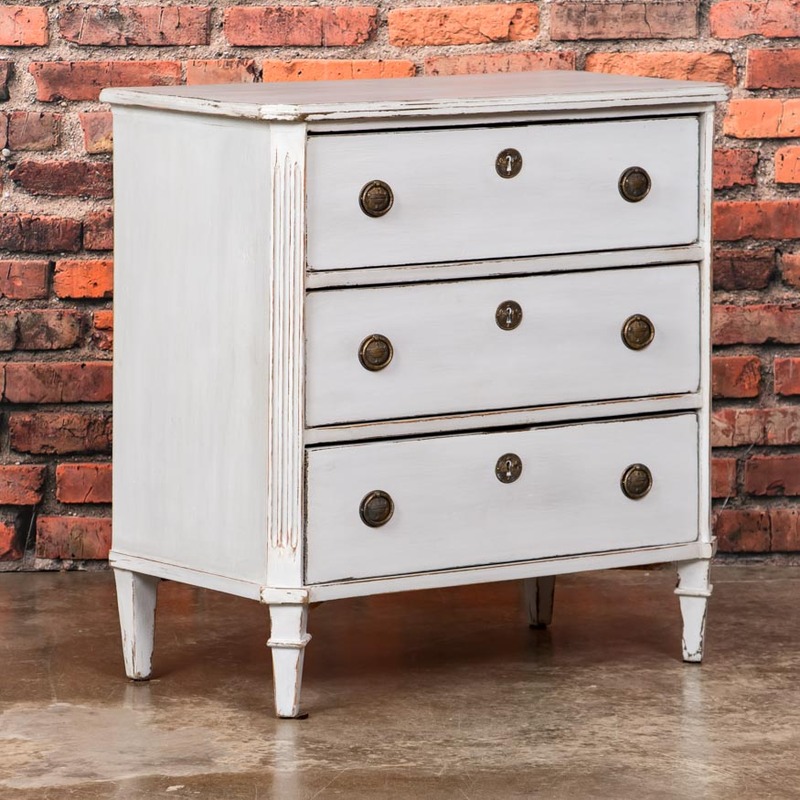 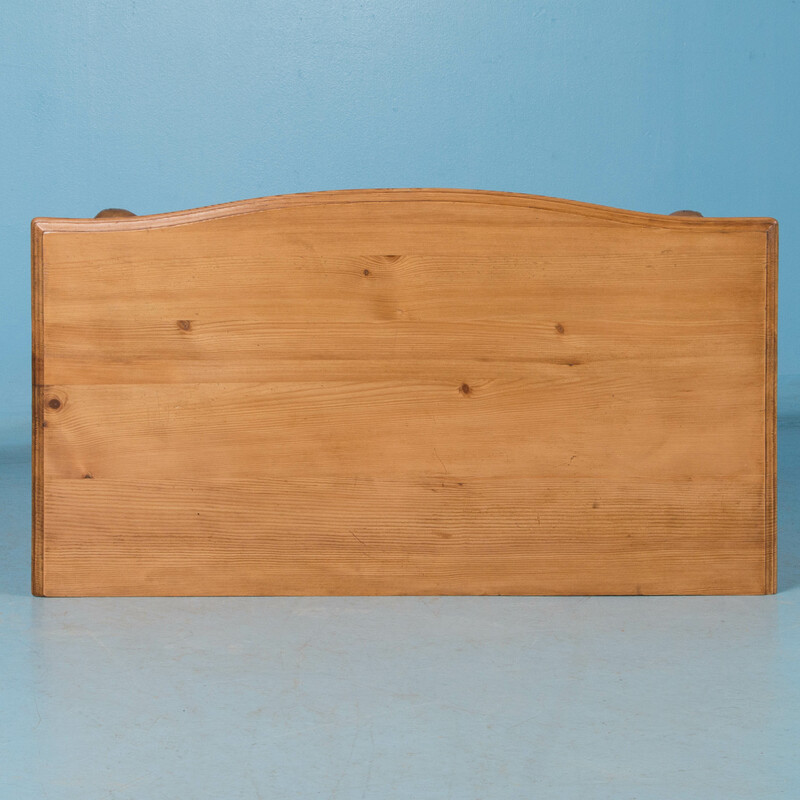 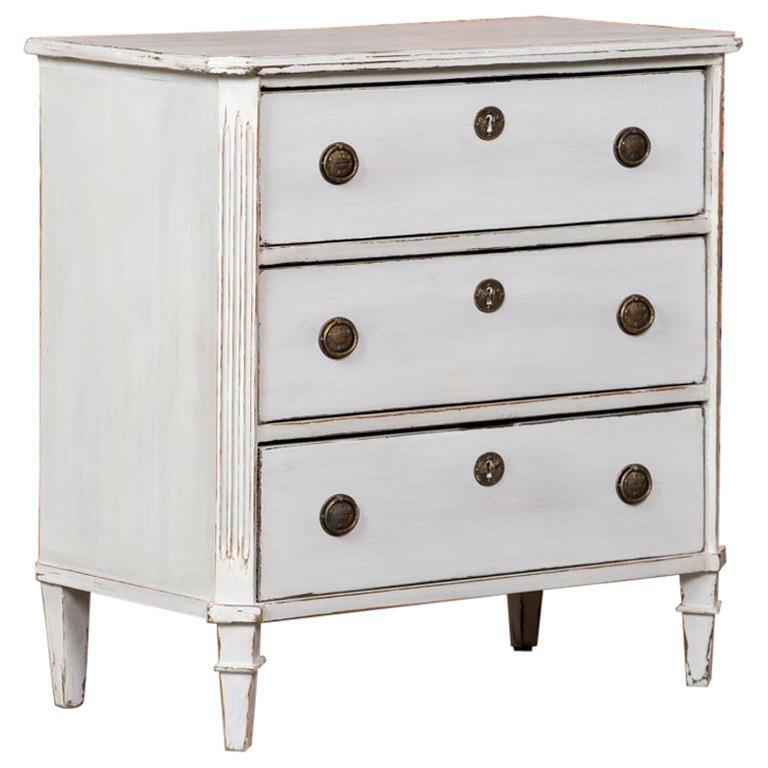 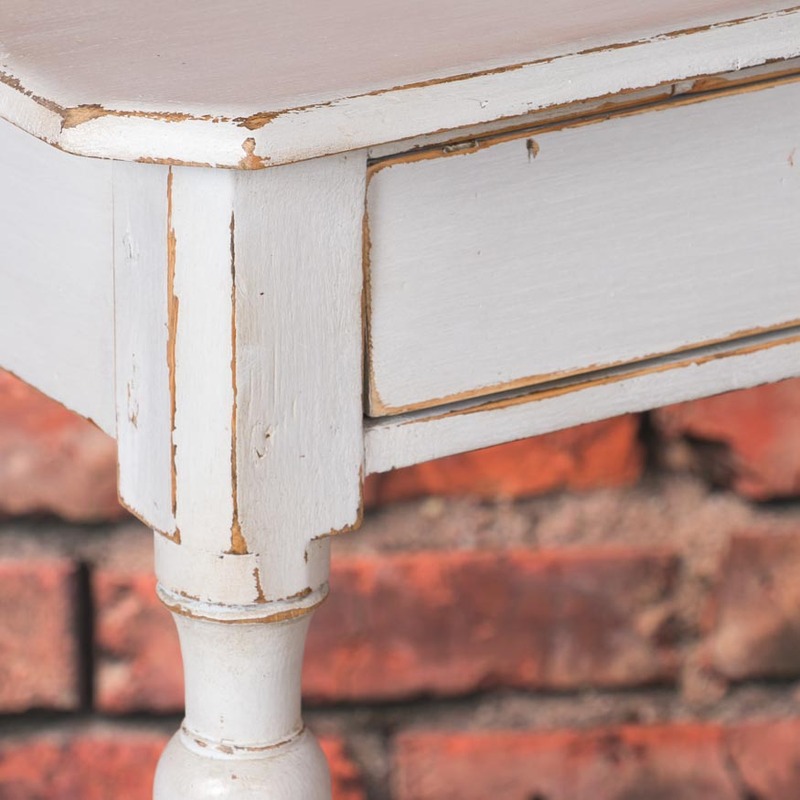 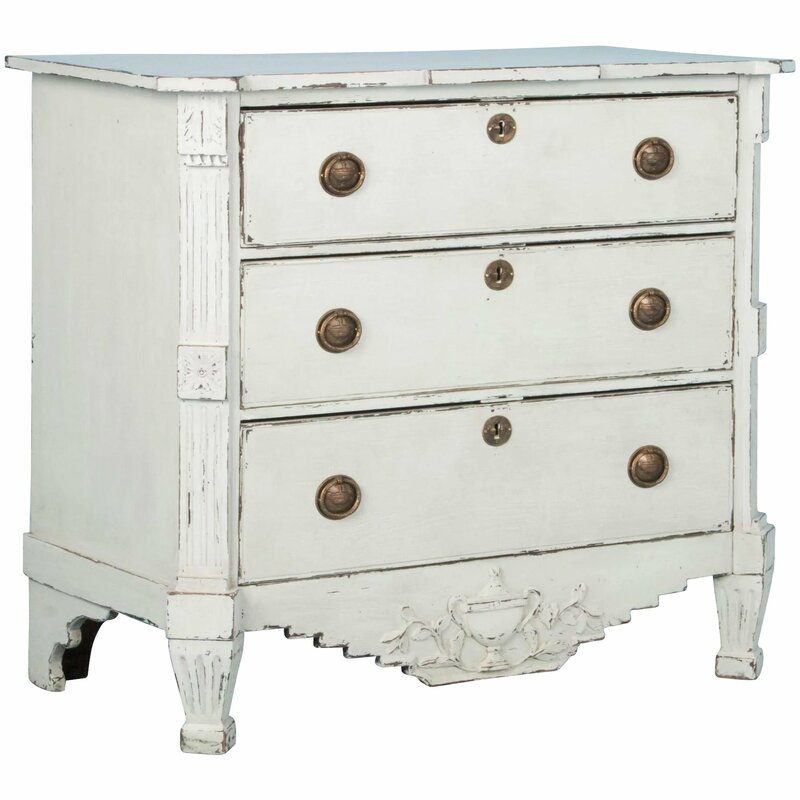 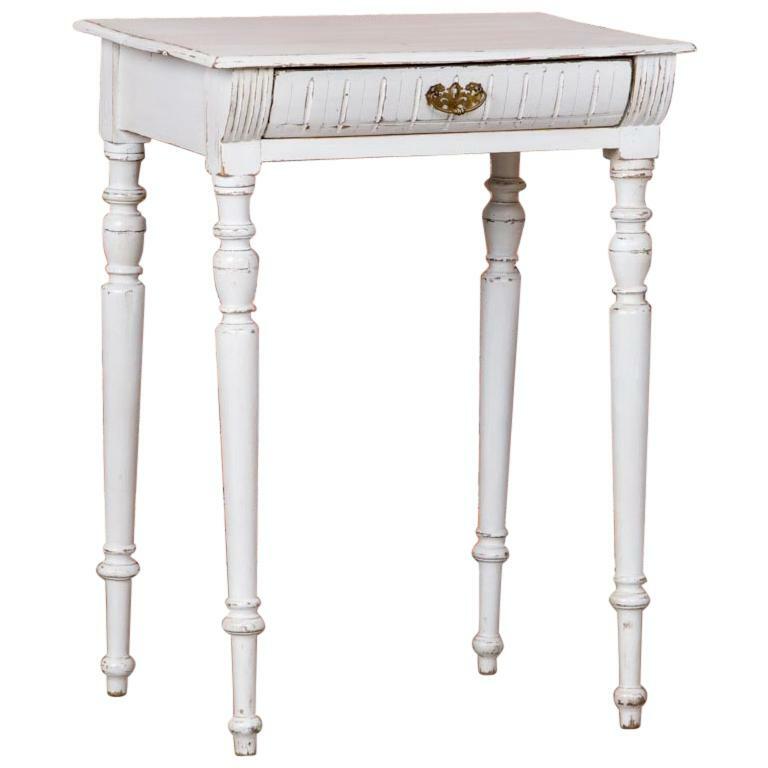 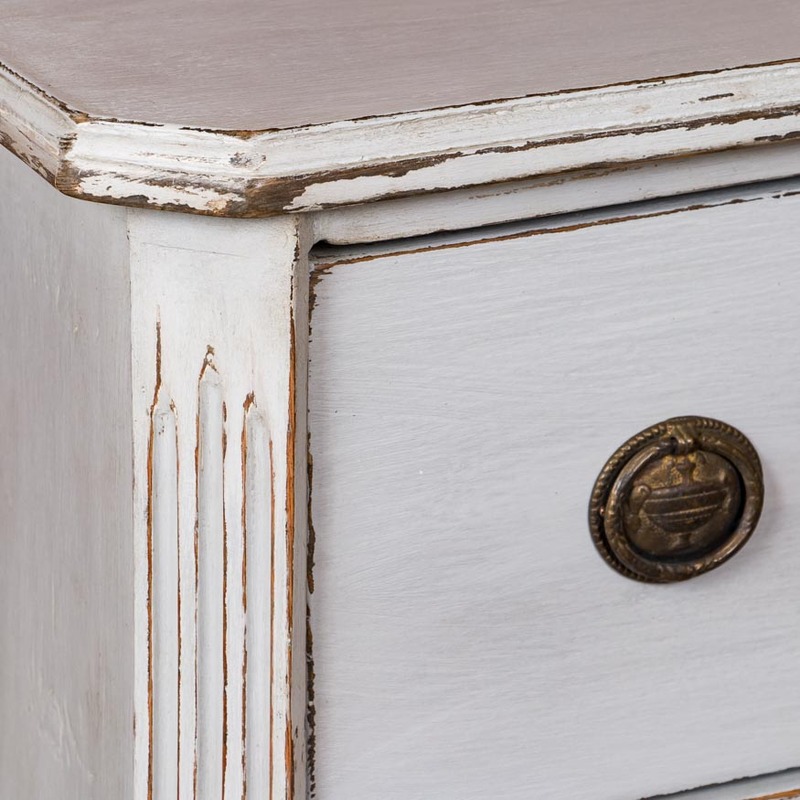 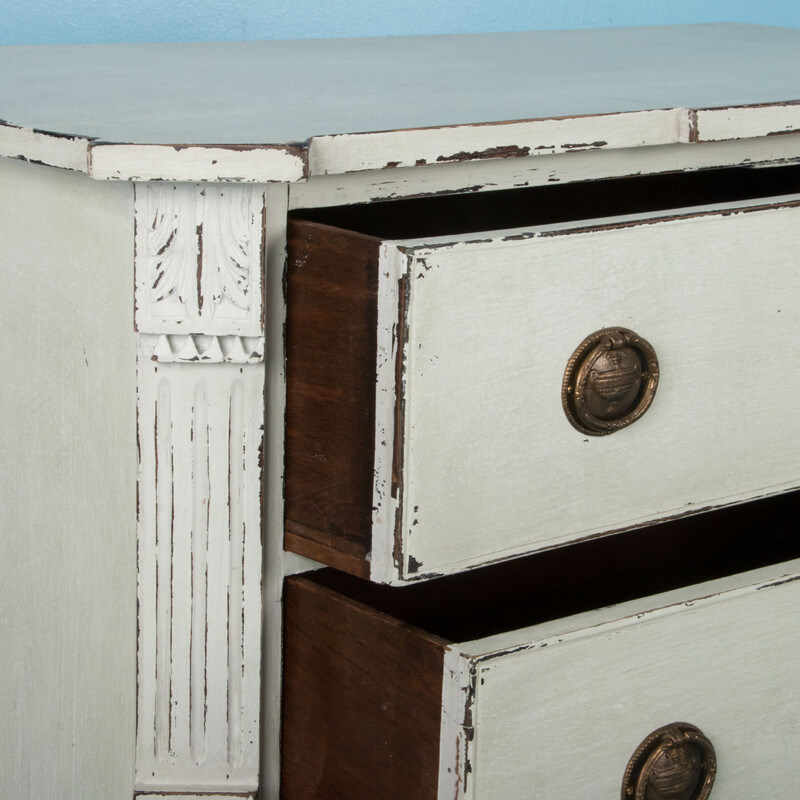 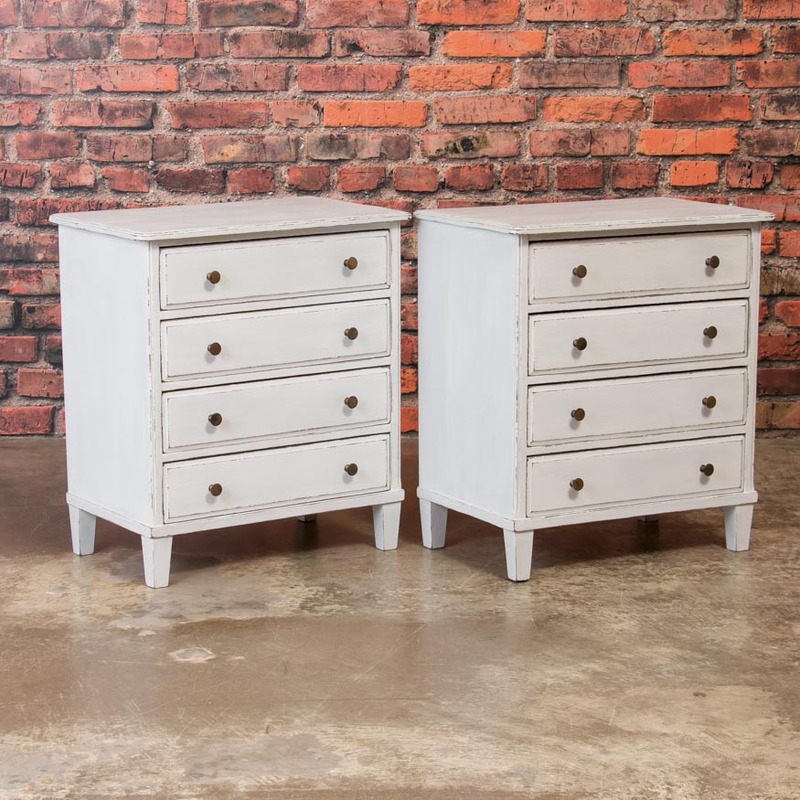 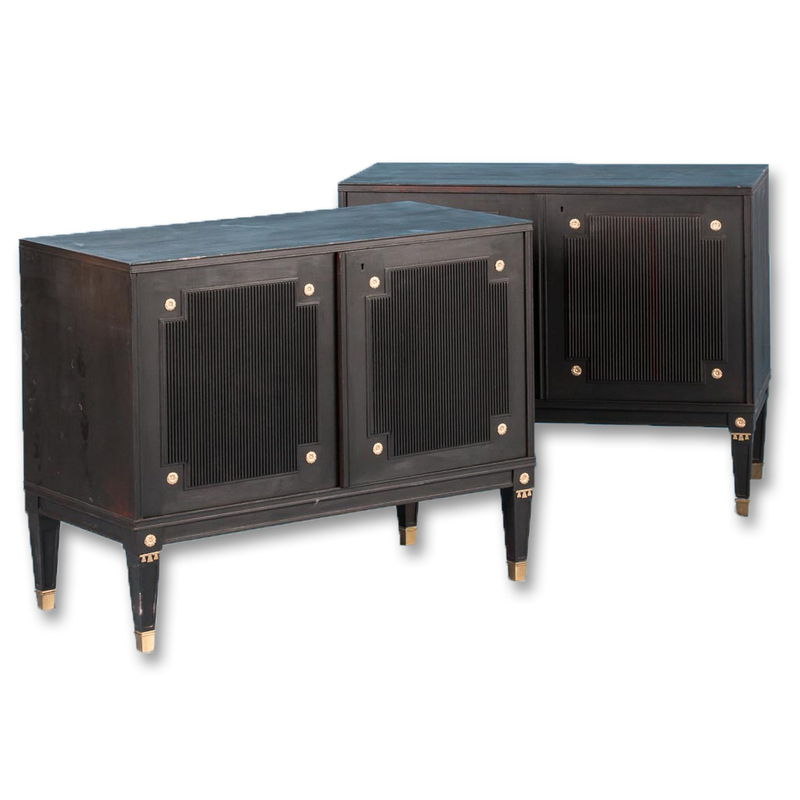 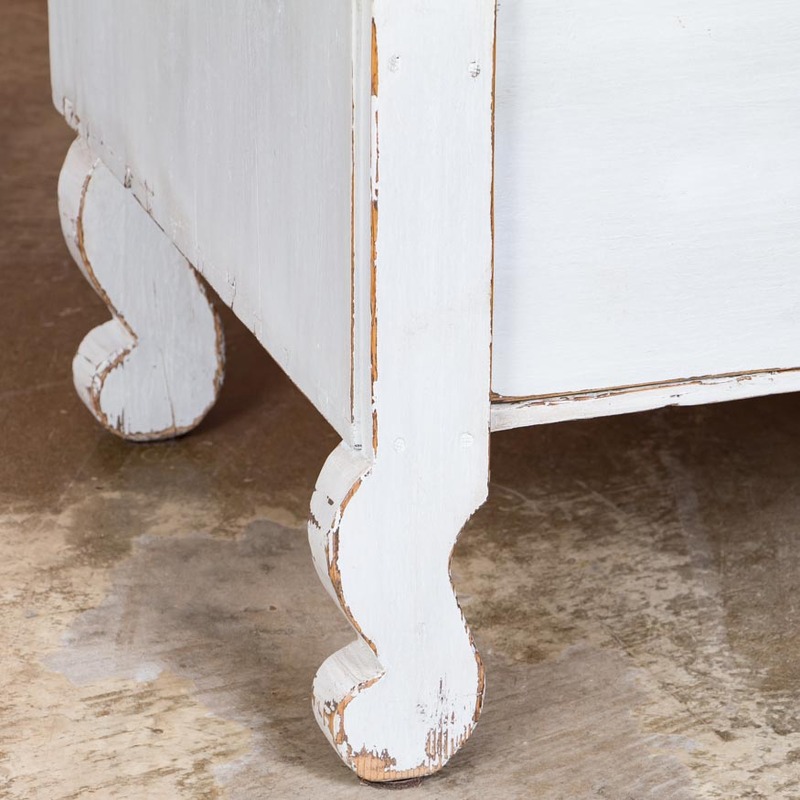 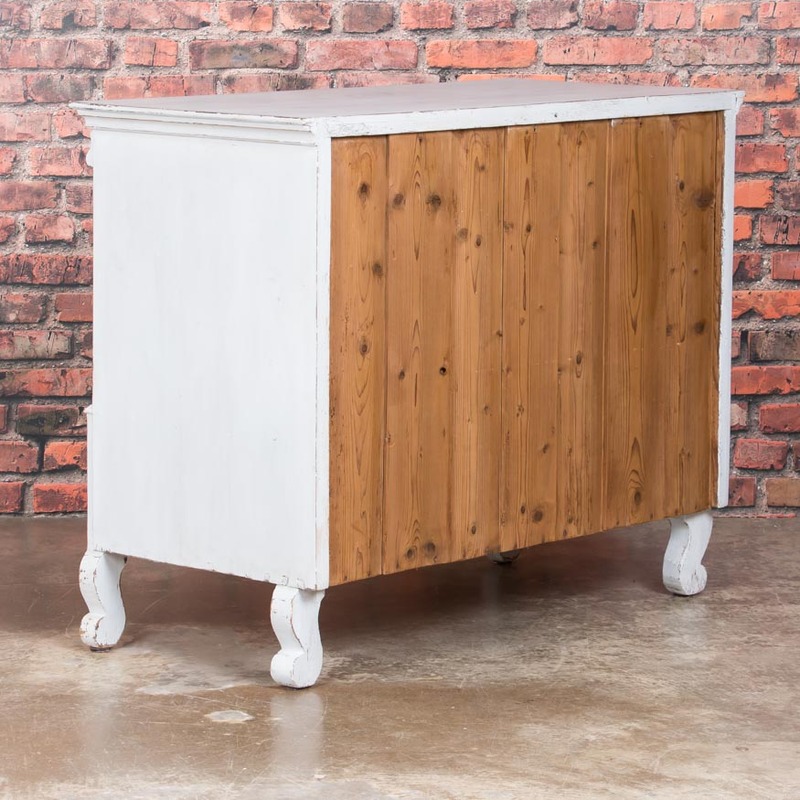 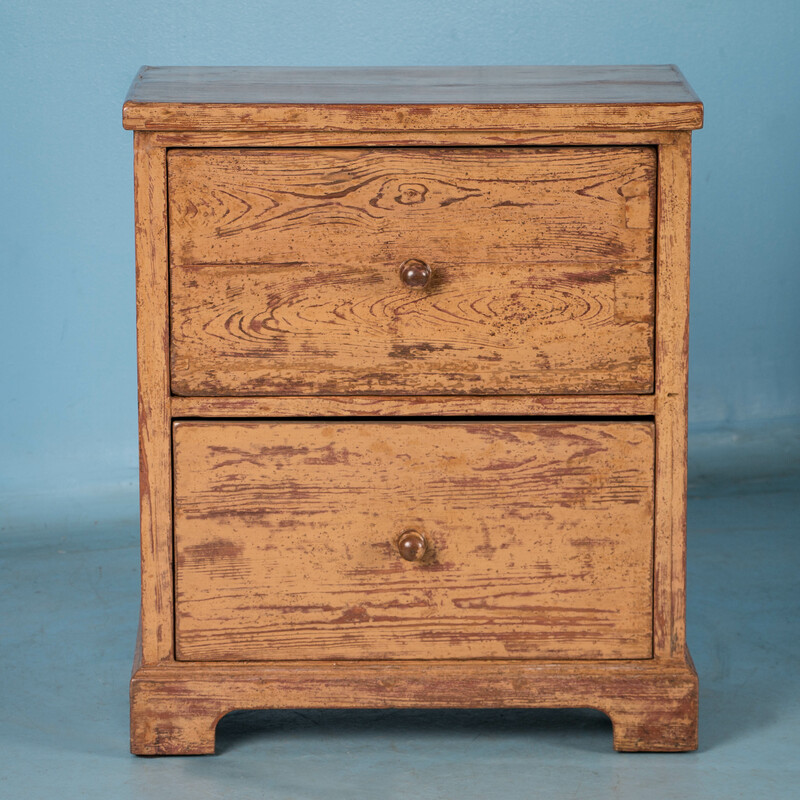 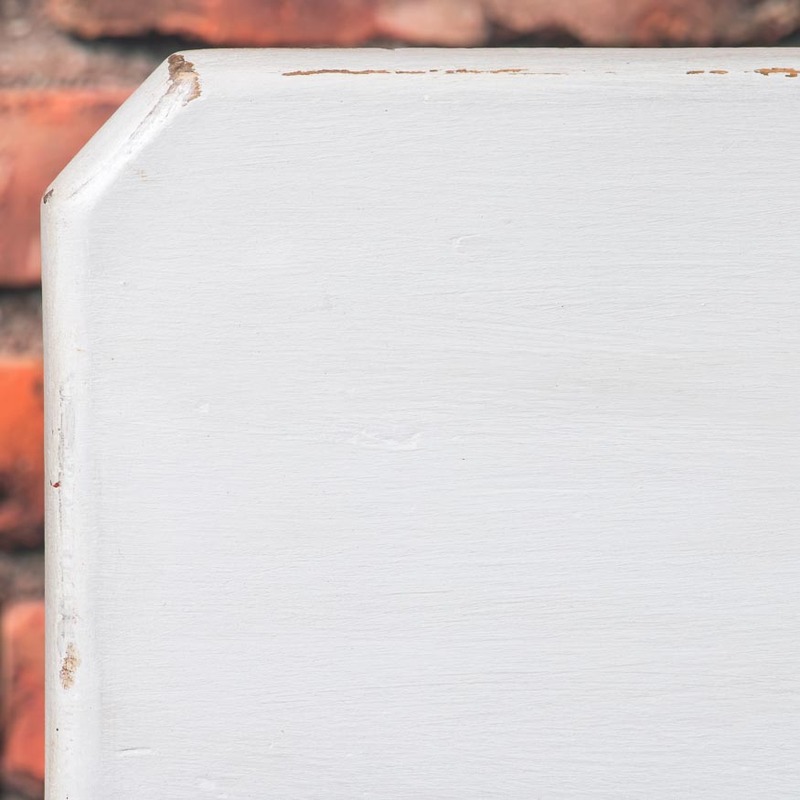 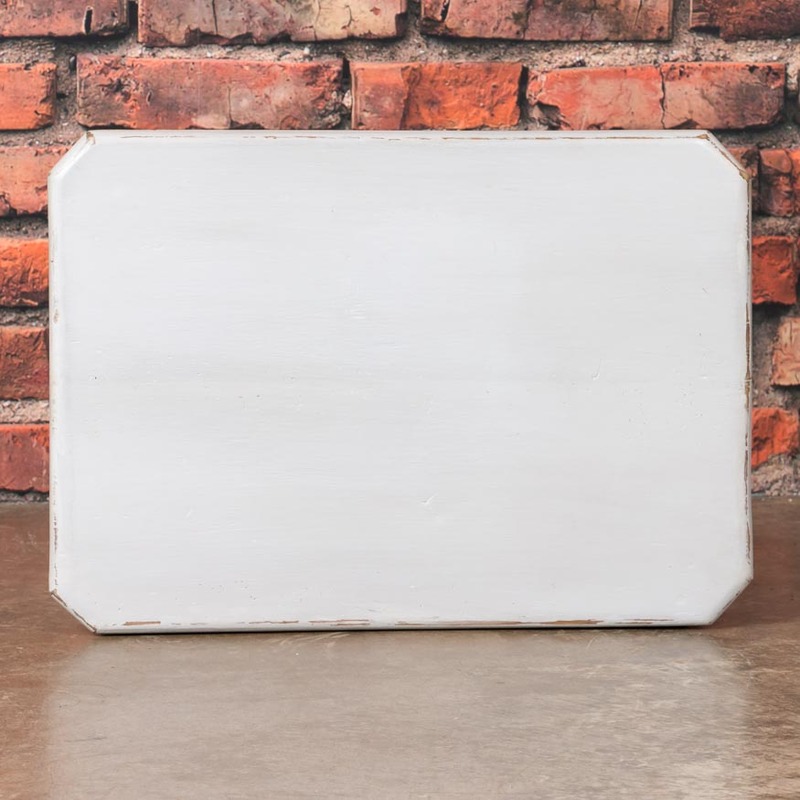 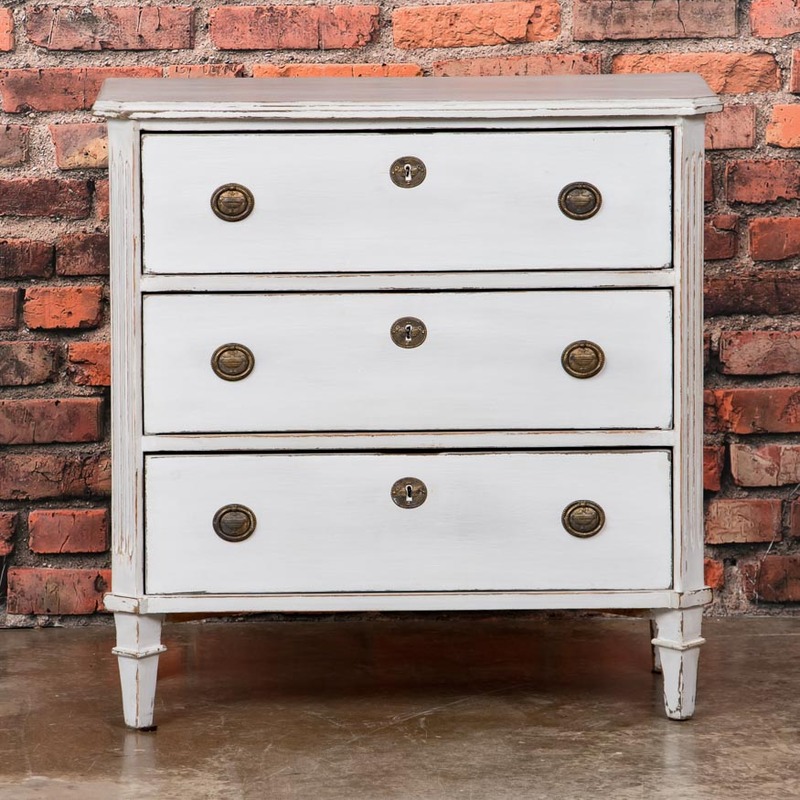 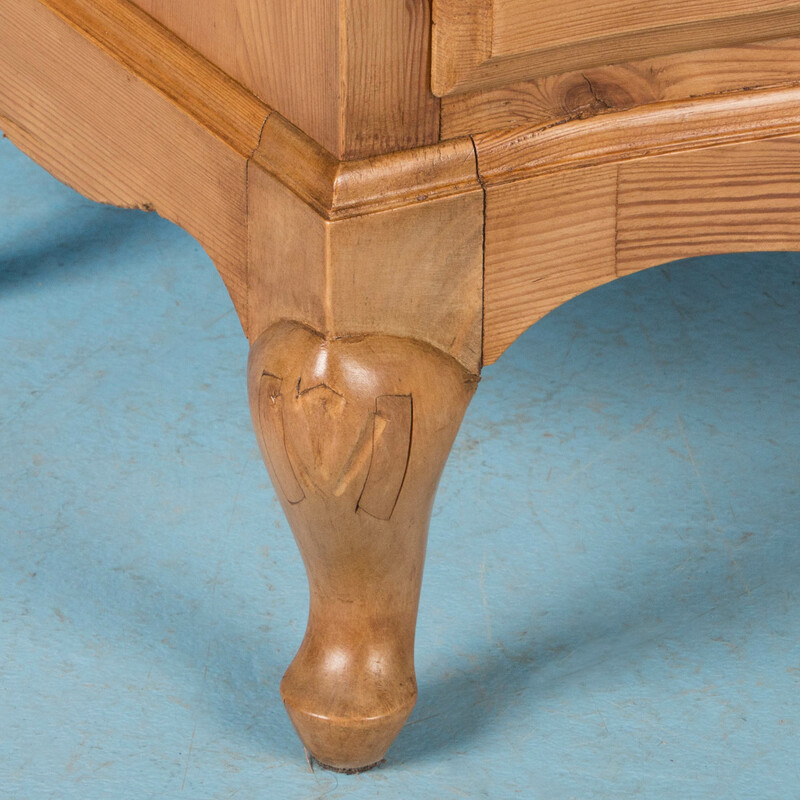 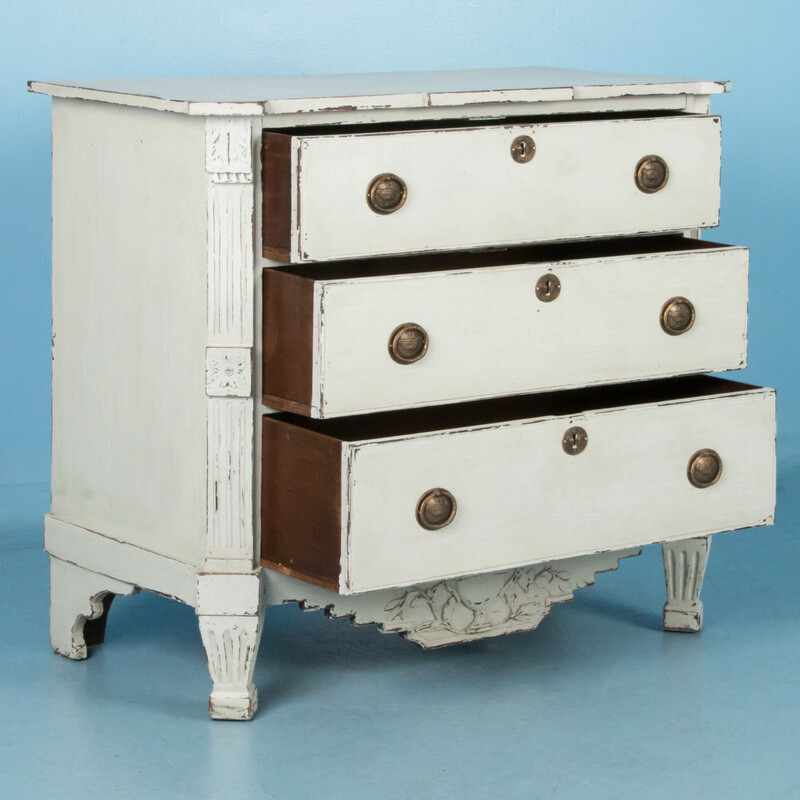 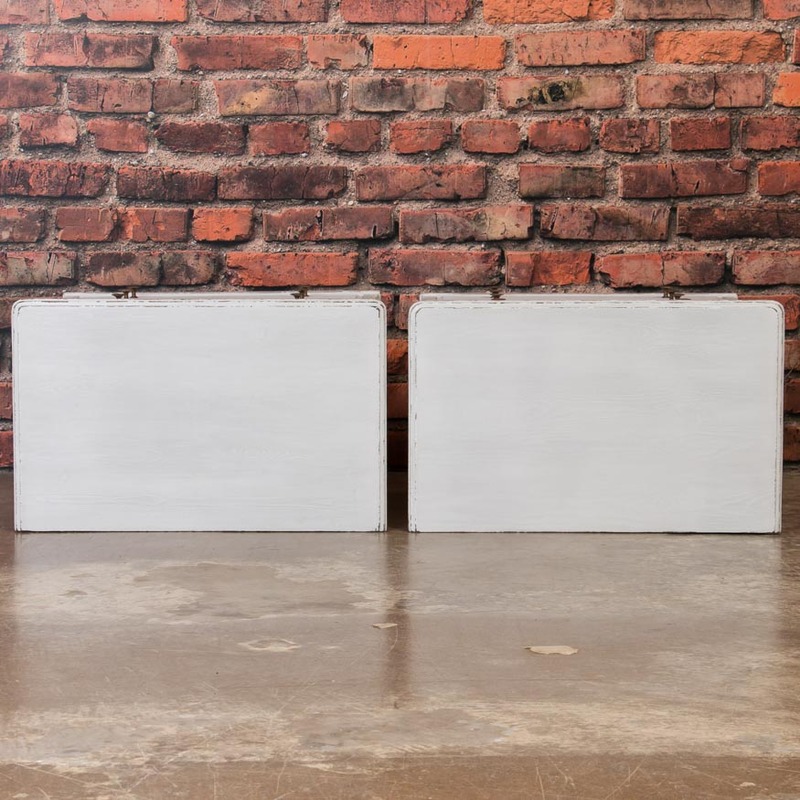 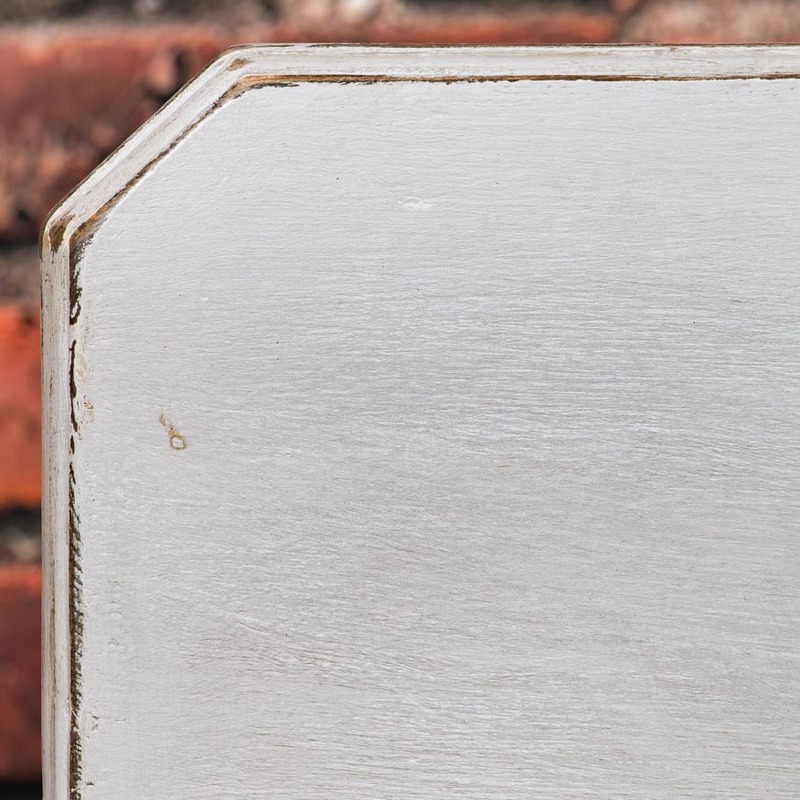 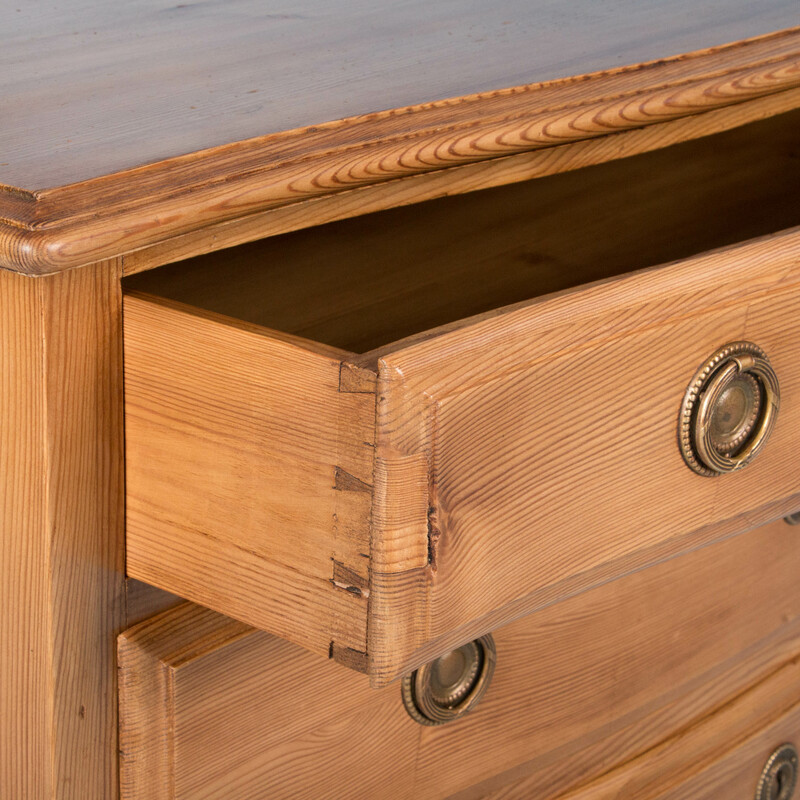 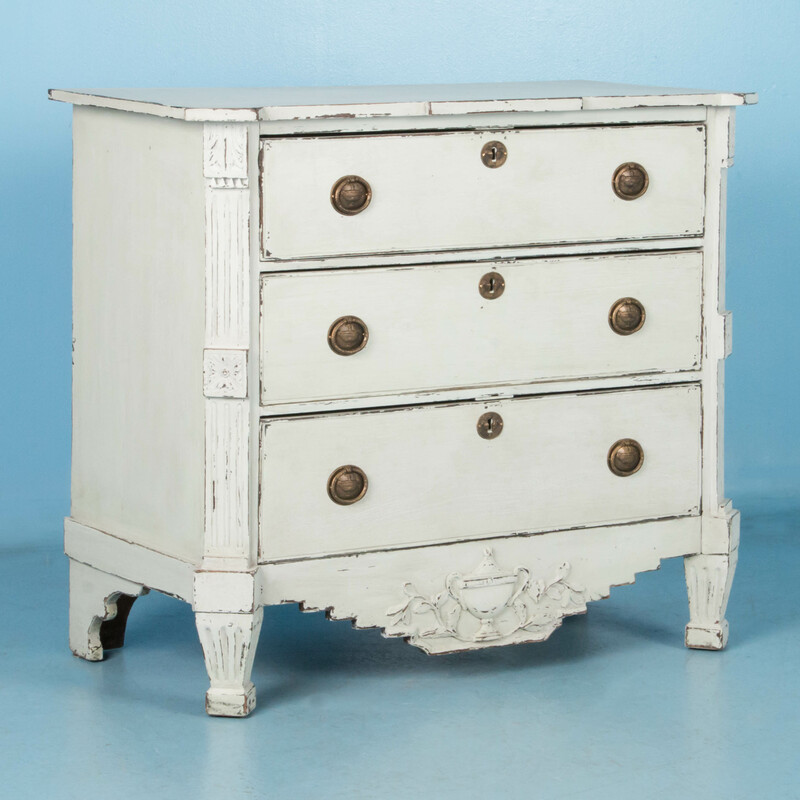 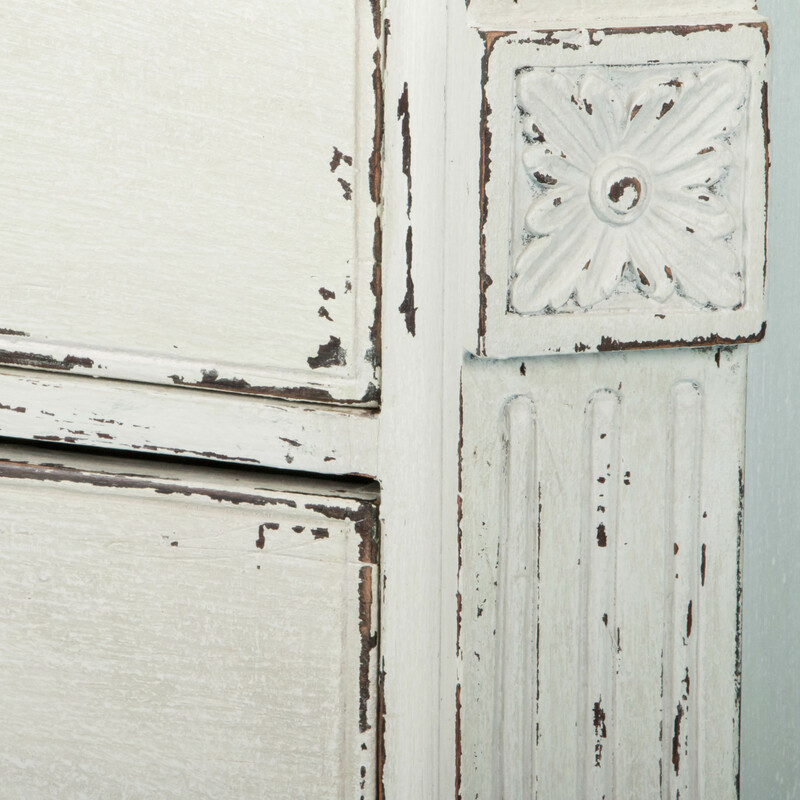 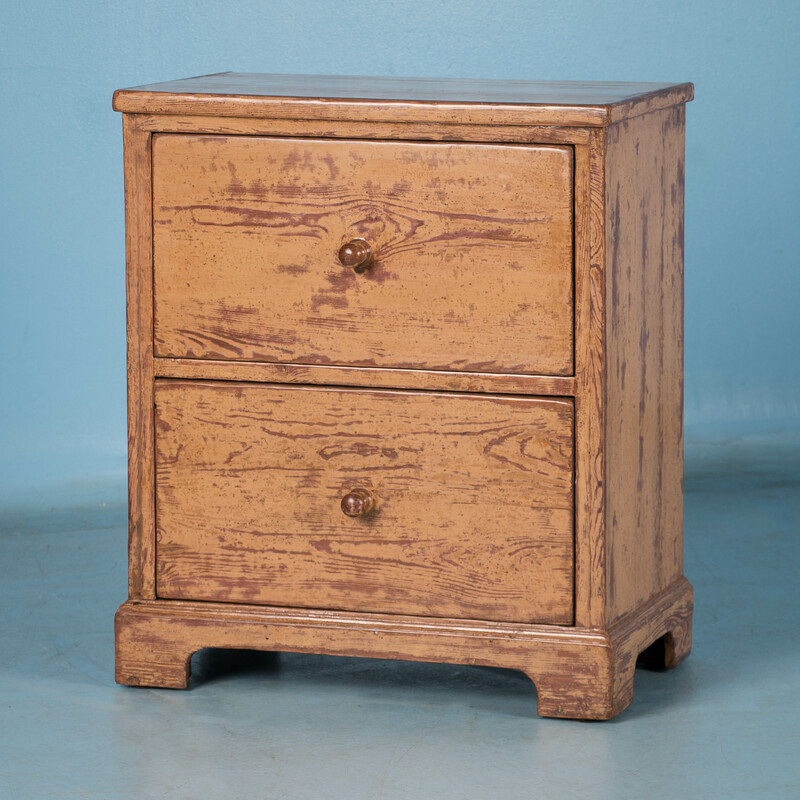 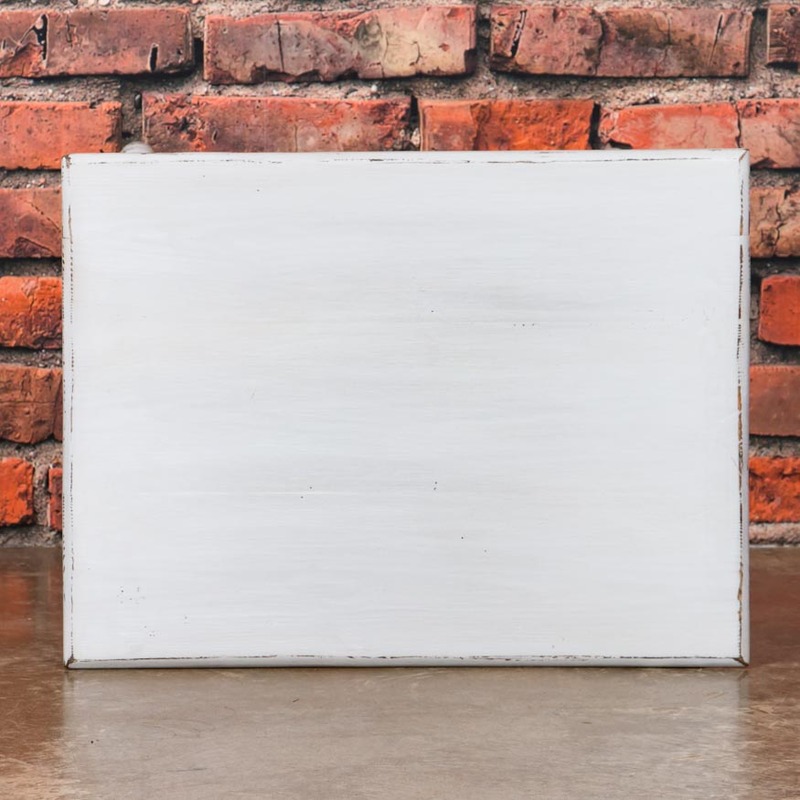 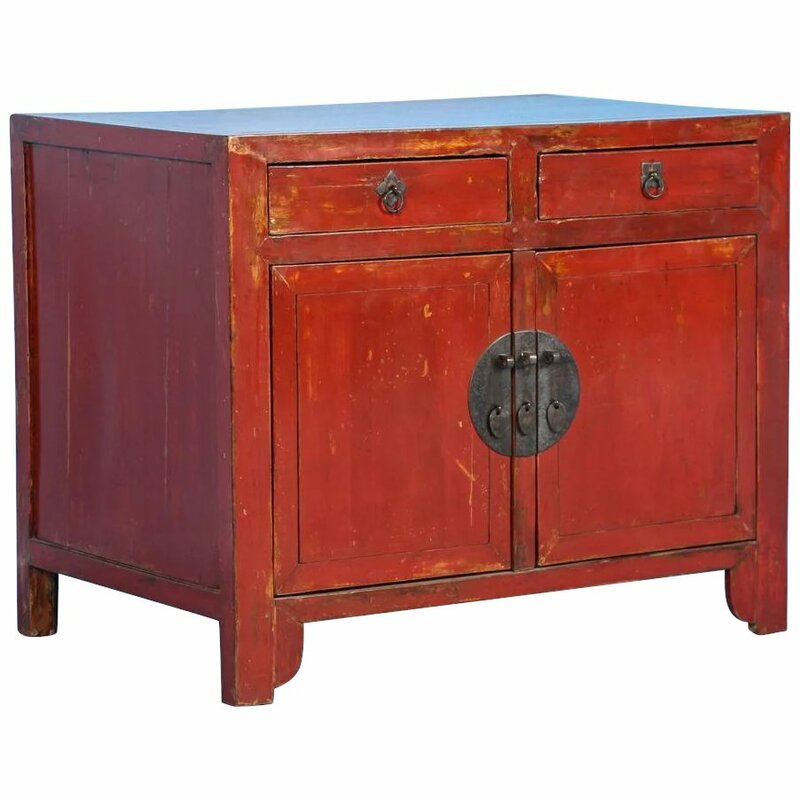 These pine nightstands with old vintage paint are lightly distressed and feature a single drawer and cupboard door. 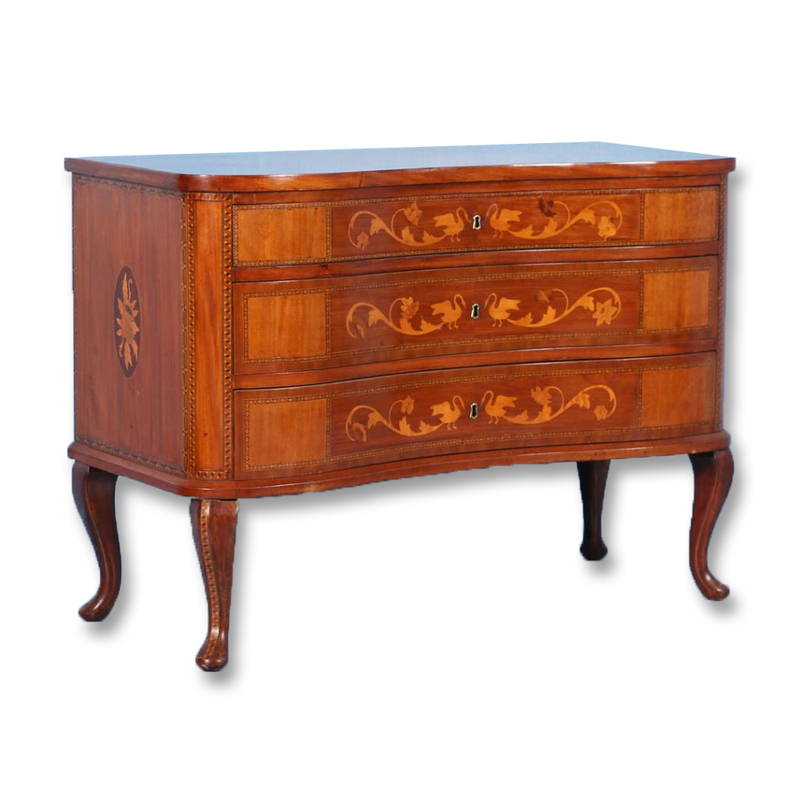 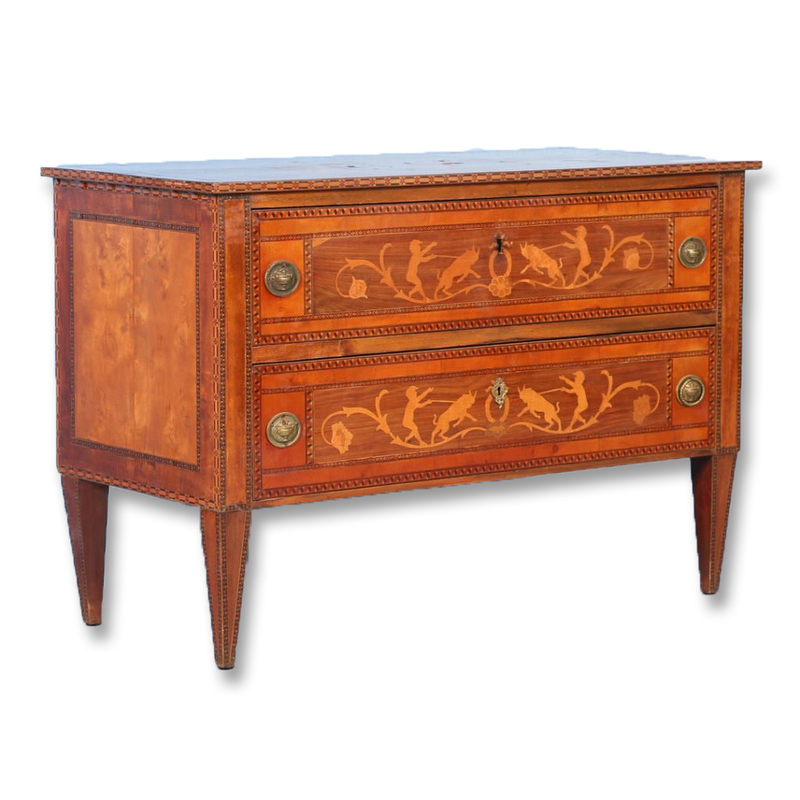 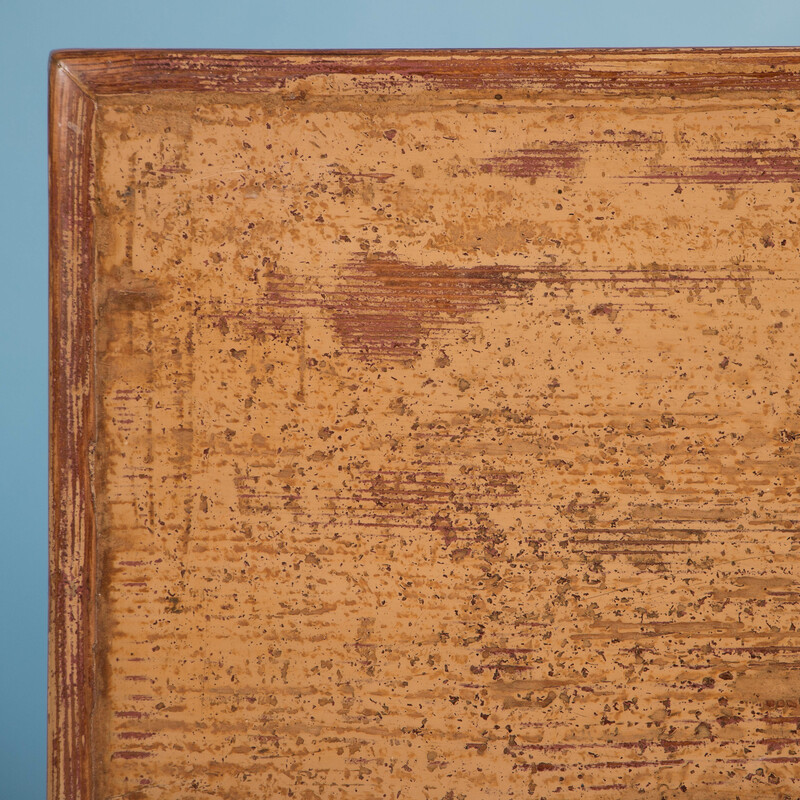 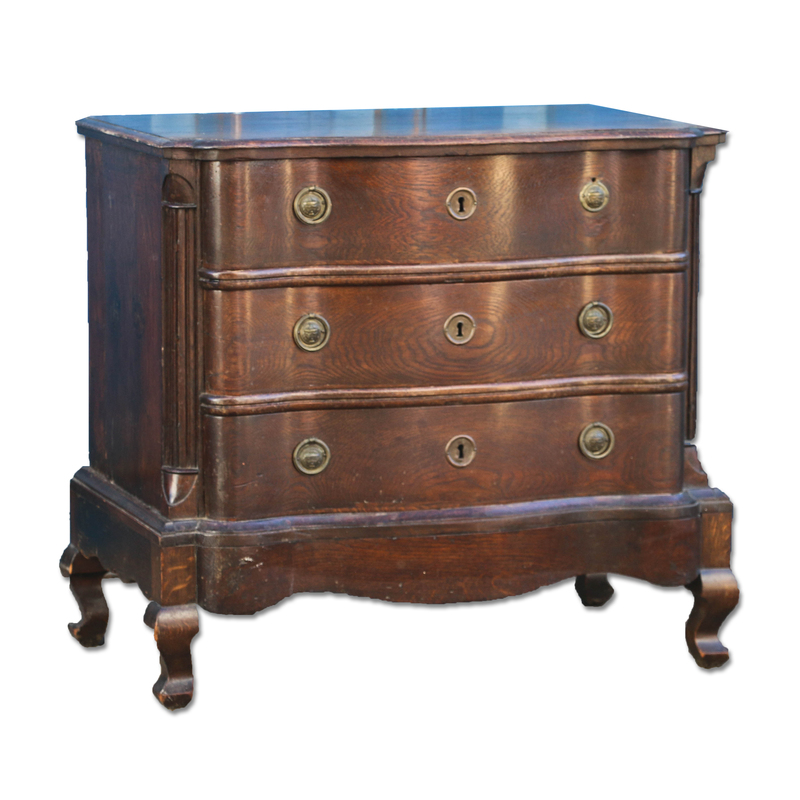 Antique Italian chest of drawers with 2 inlaid drawer fronts, circa 1860-1880. 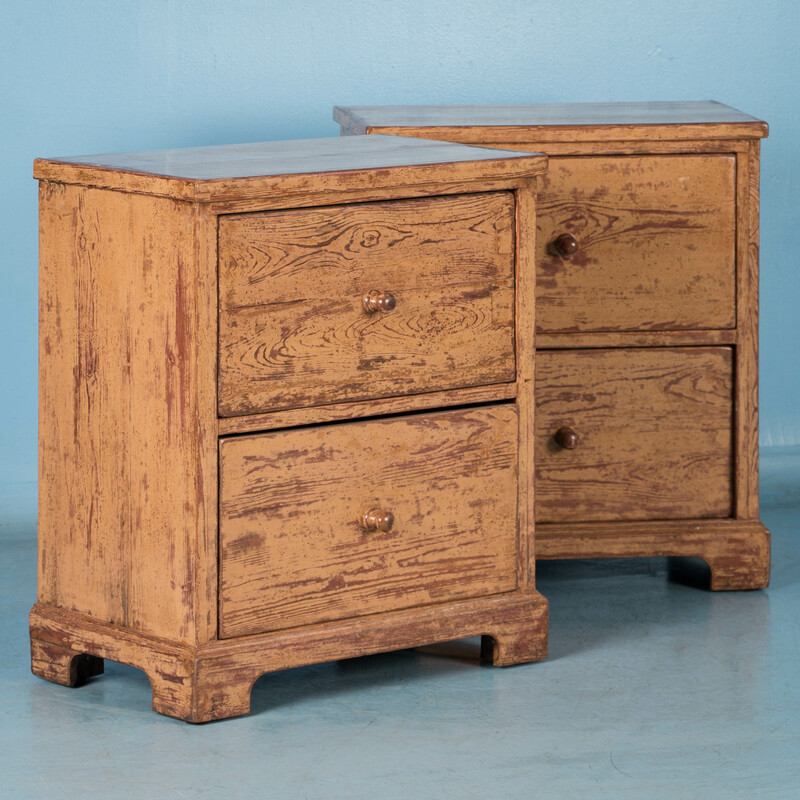 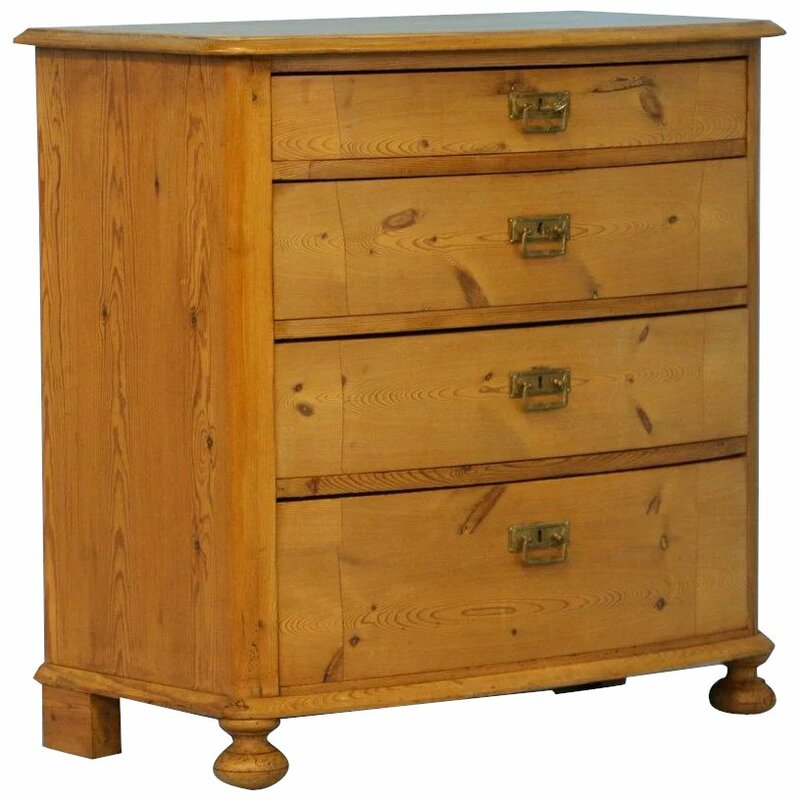 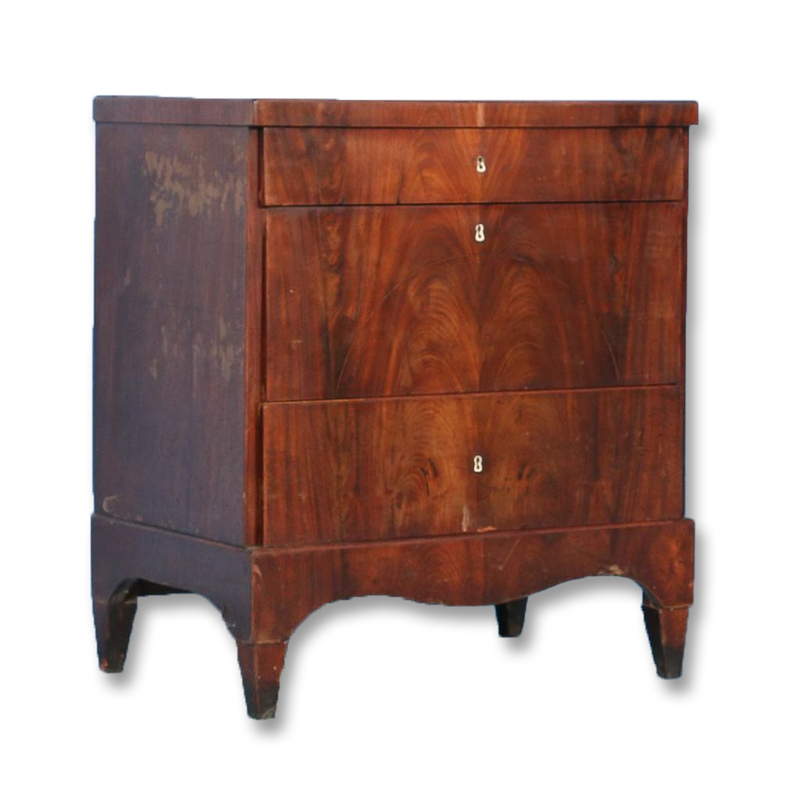 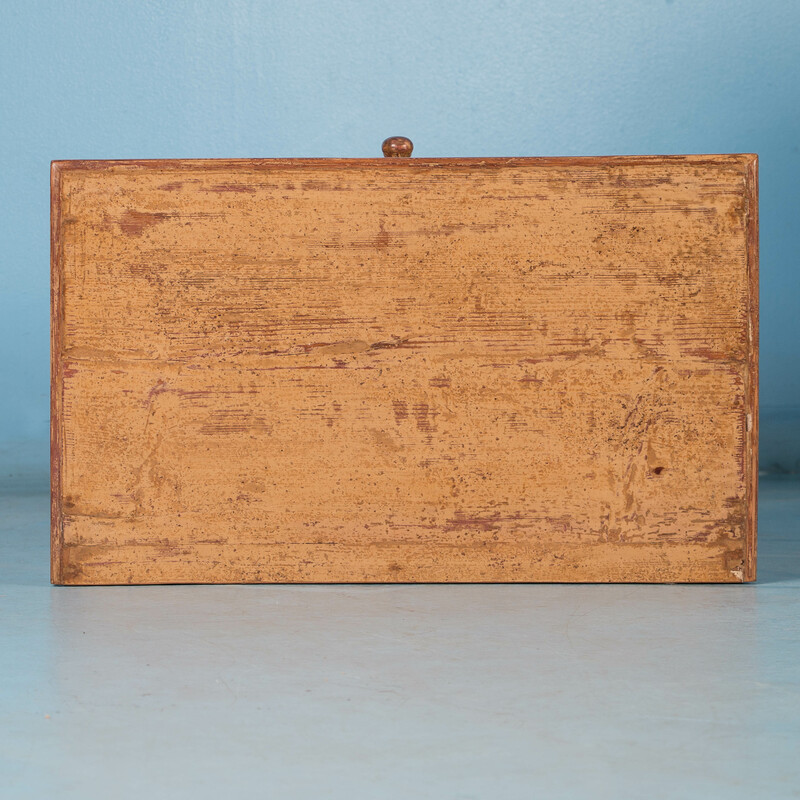 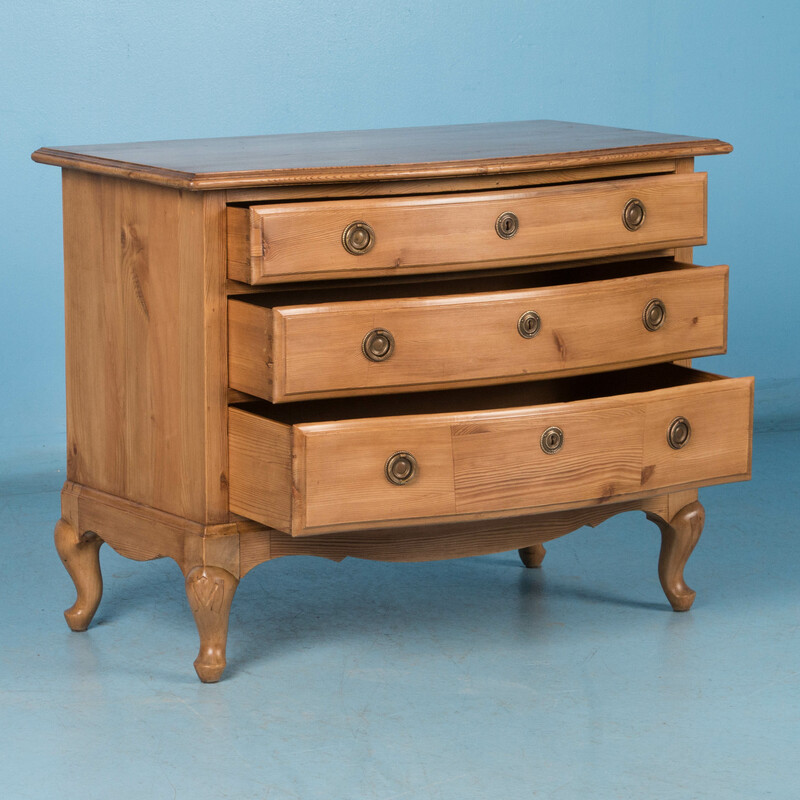 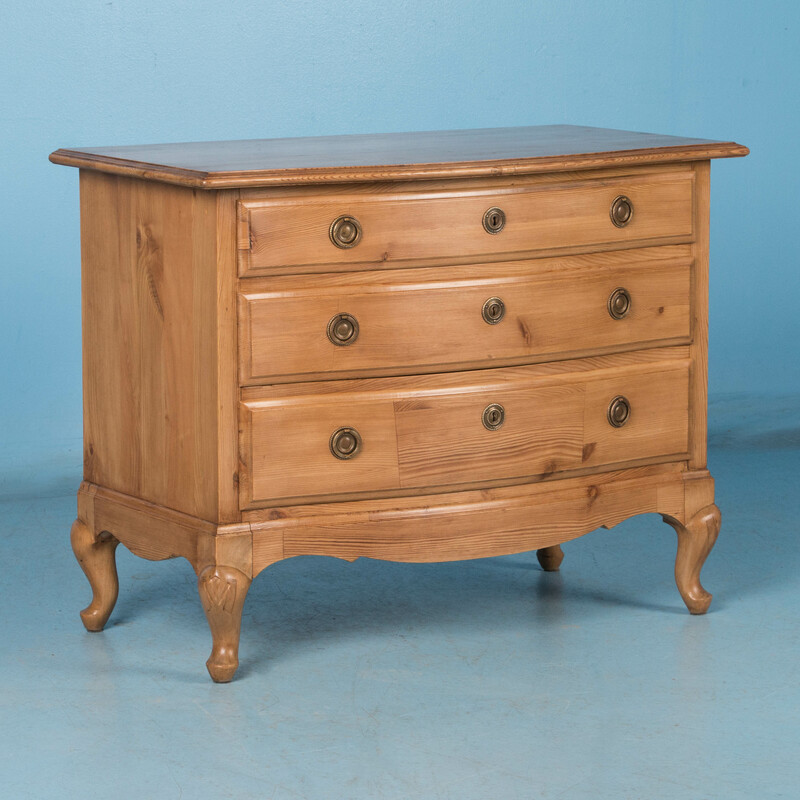 Small antique oak chest of drawers from Denmark, circa 1820-1840, with 4 drawers. 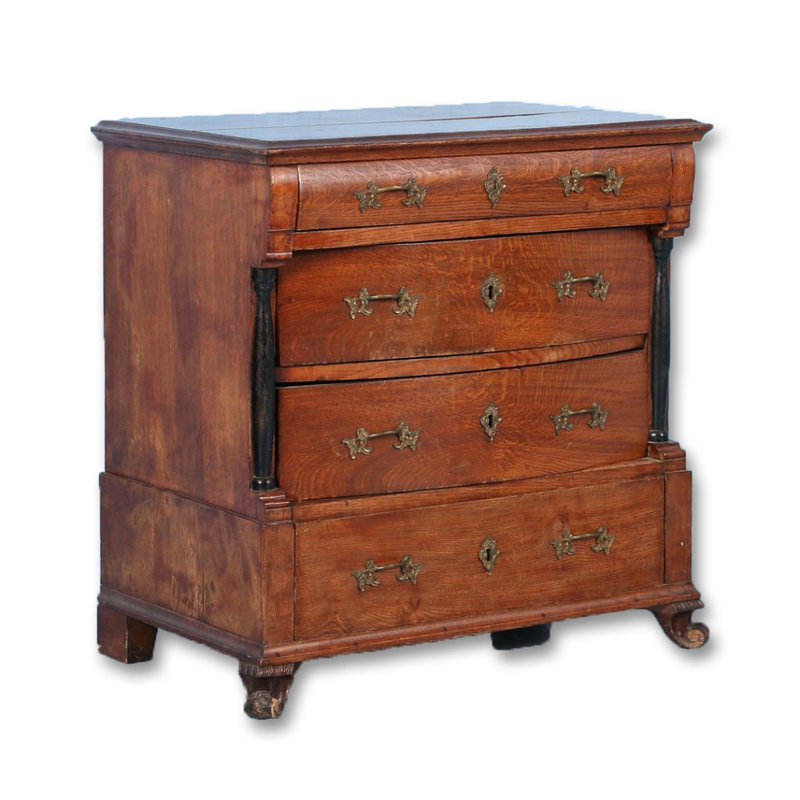 Antique Danish Oak Chest of Drawers, circa 1740-1760. 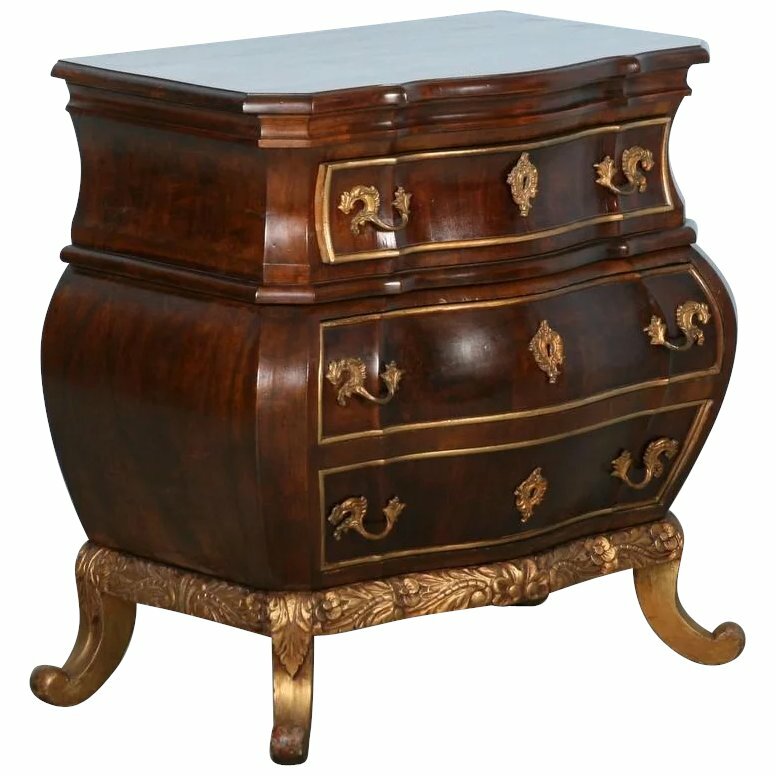 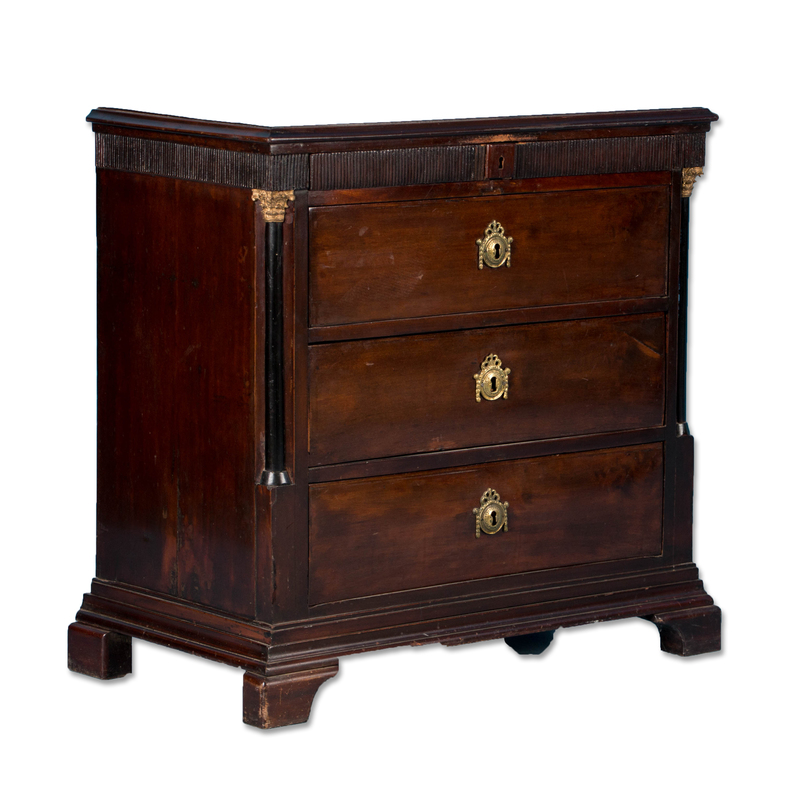 This circa 1780-1800 chest of drawers features bracket feet, ebonized pilasters with brass capitals and the original brass key escutcheons. 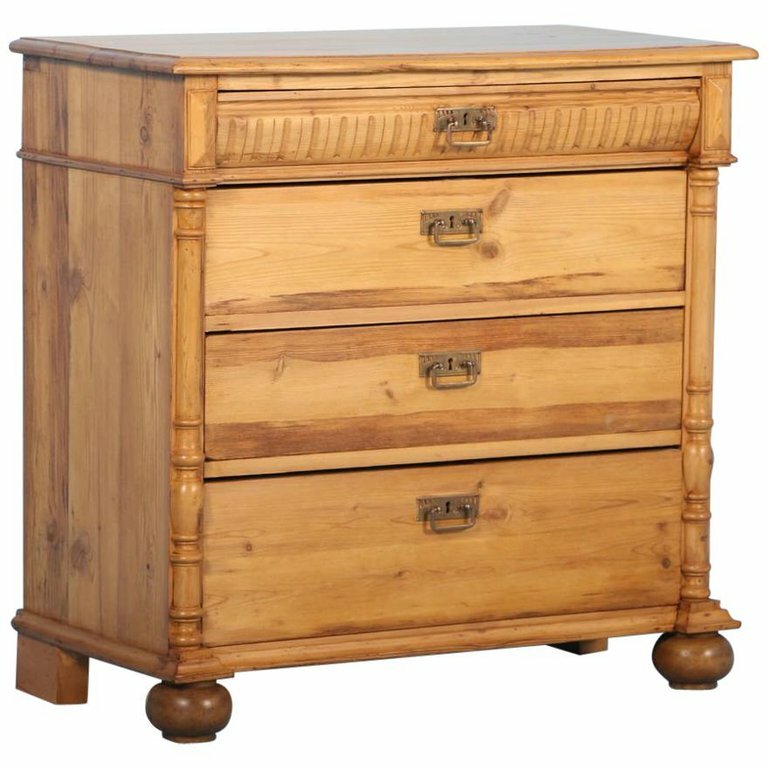 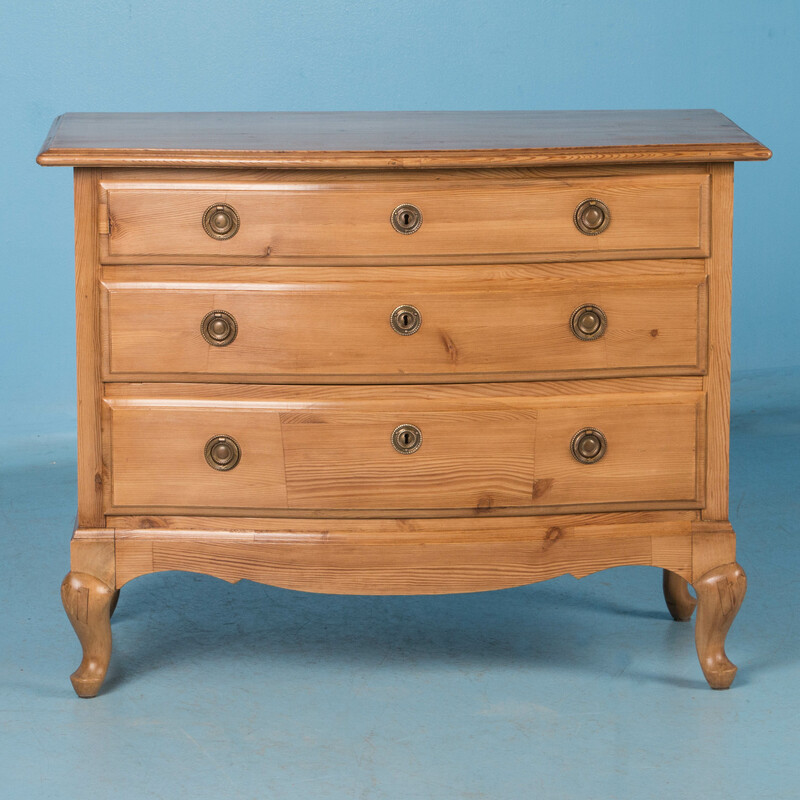 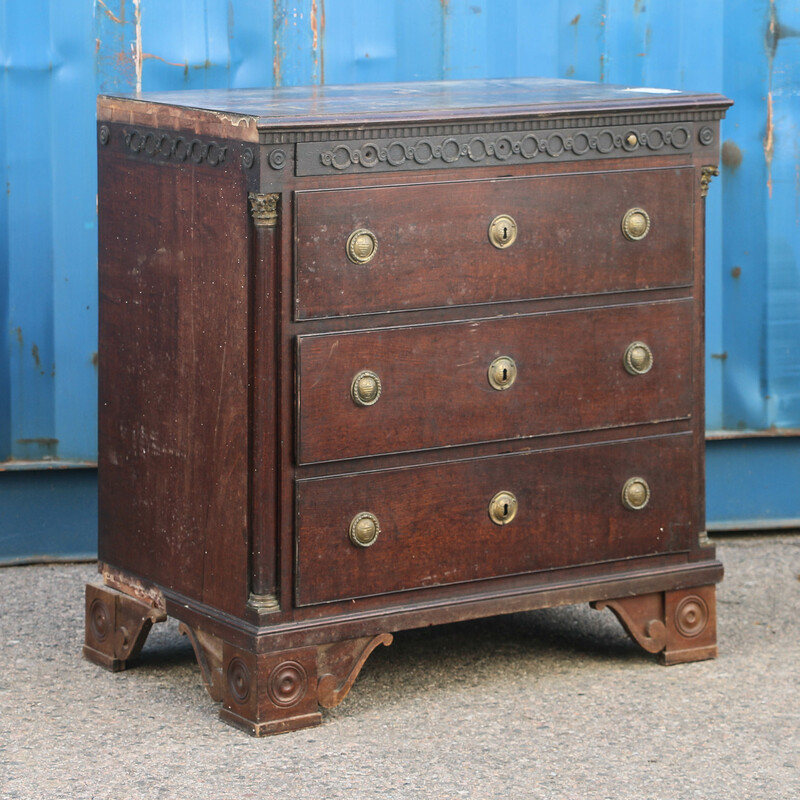 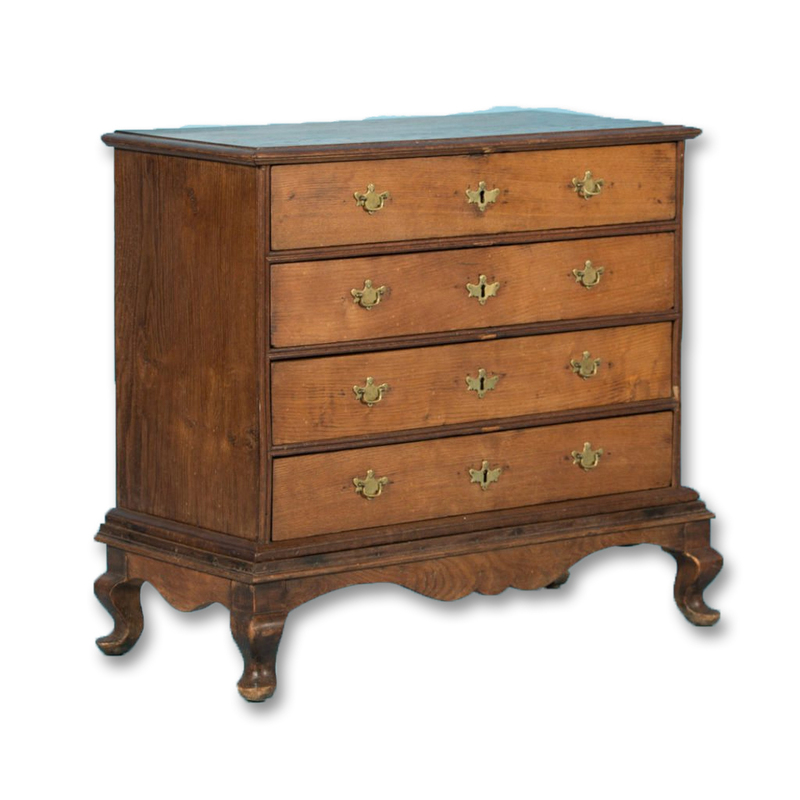 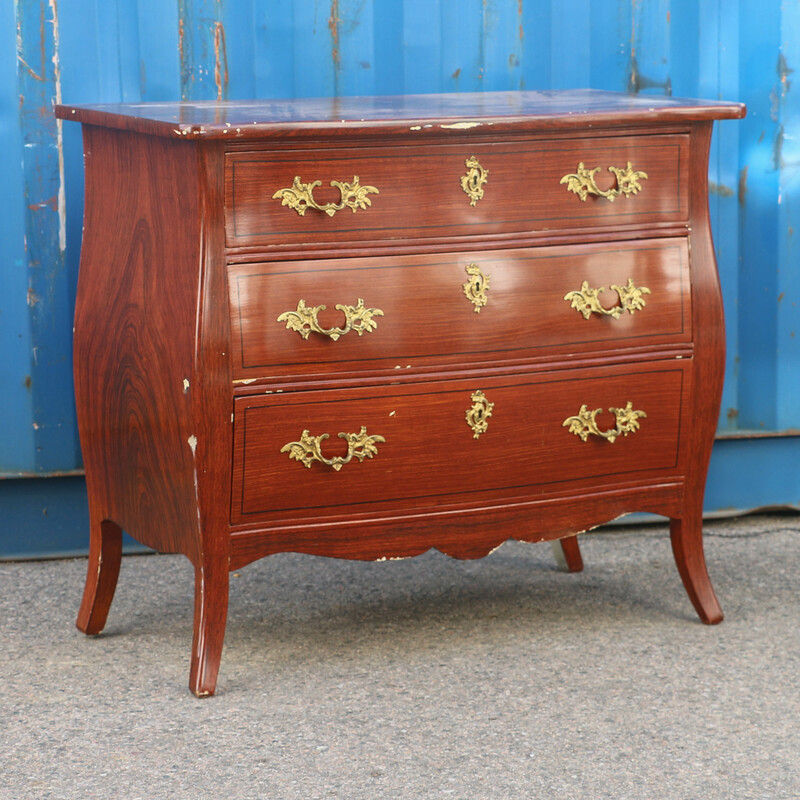 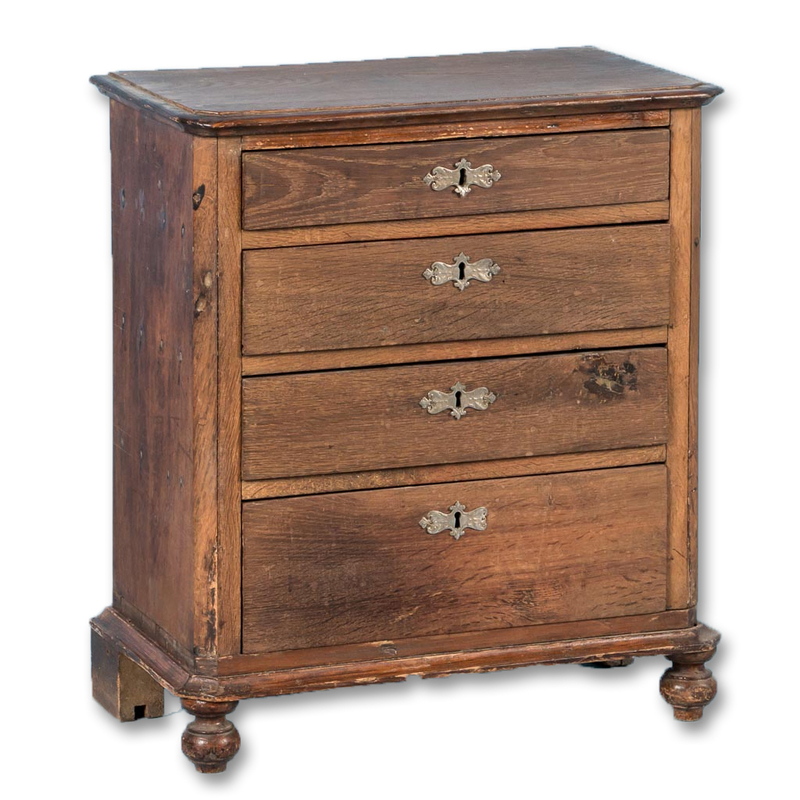 Small antique oak chest of drawers from Denmark circa 1880, with brass key escutcheons and four graduated drawers.